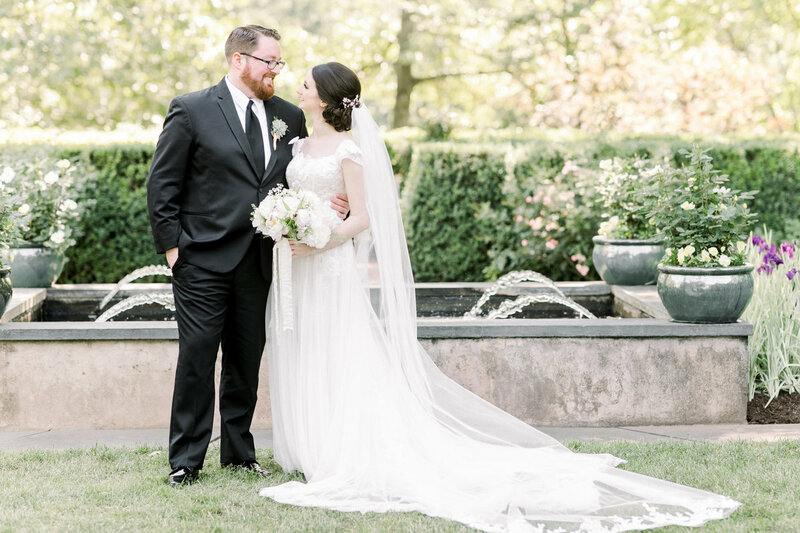 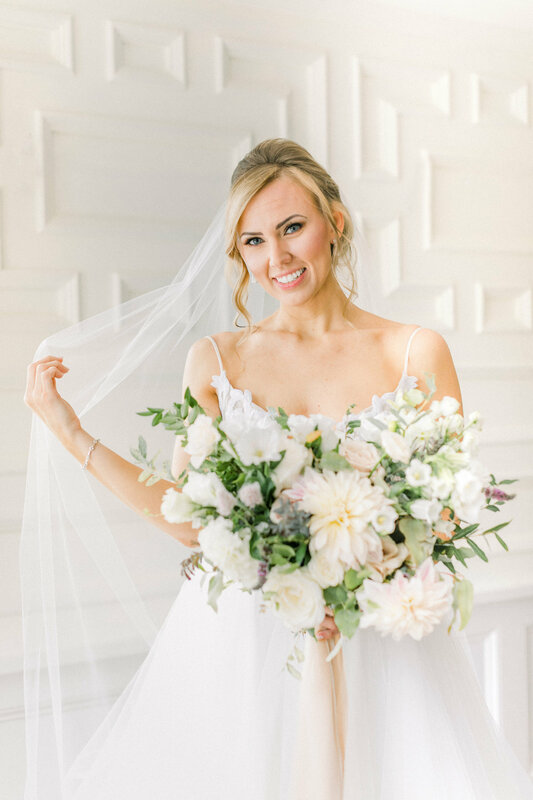 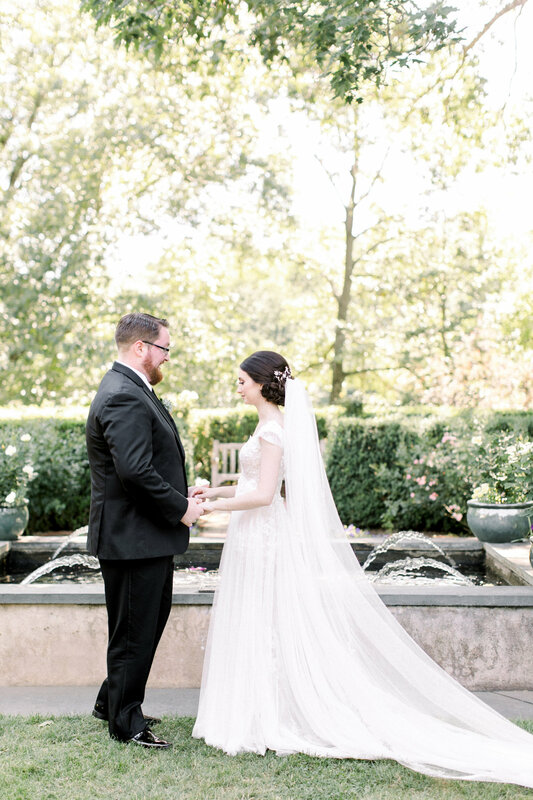 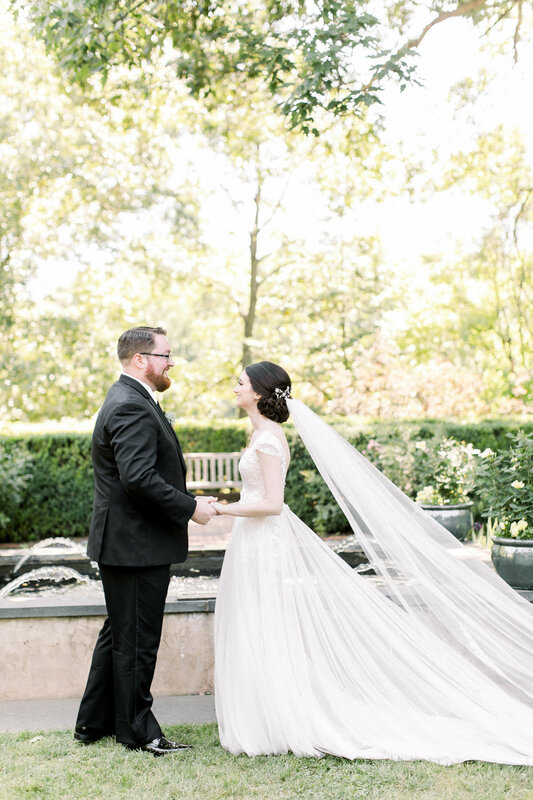 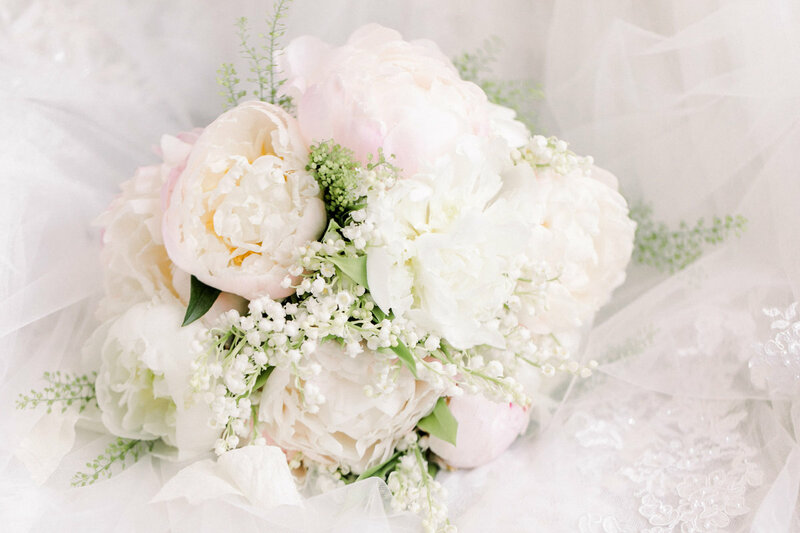 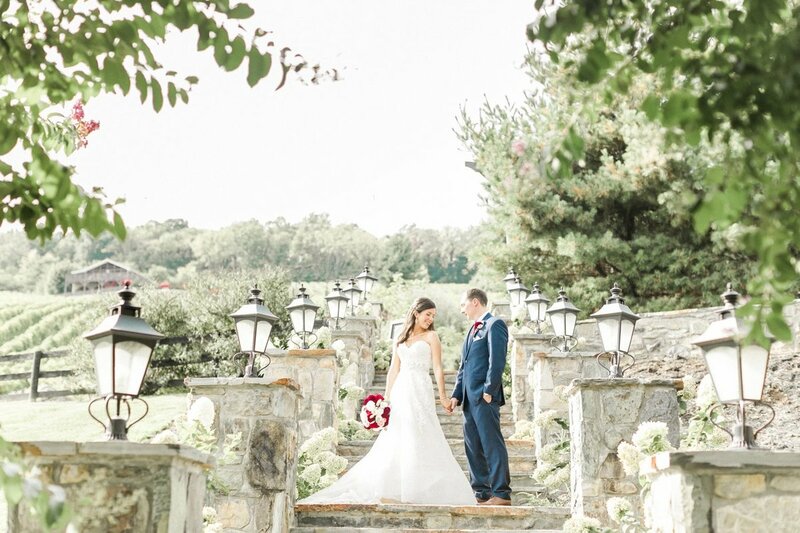 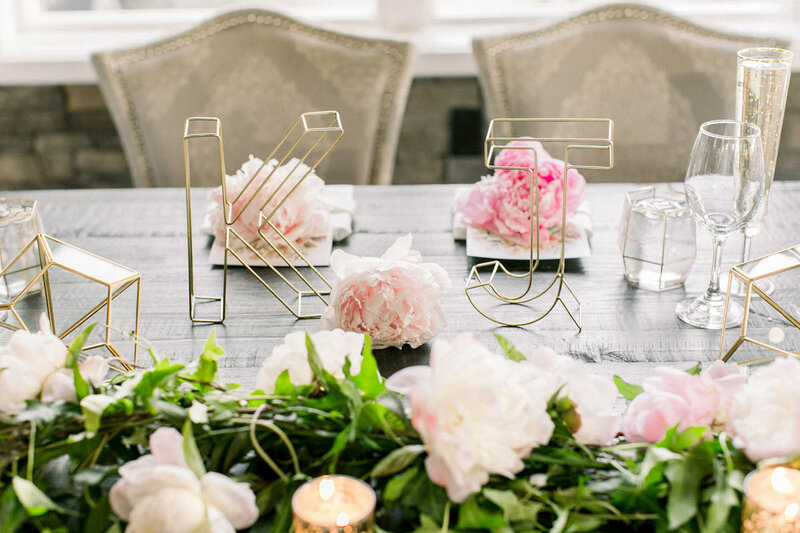 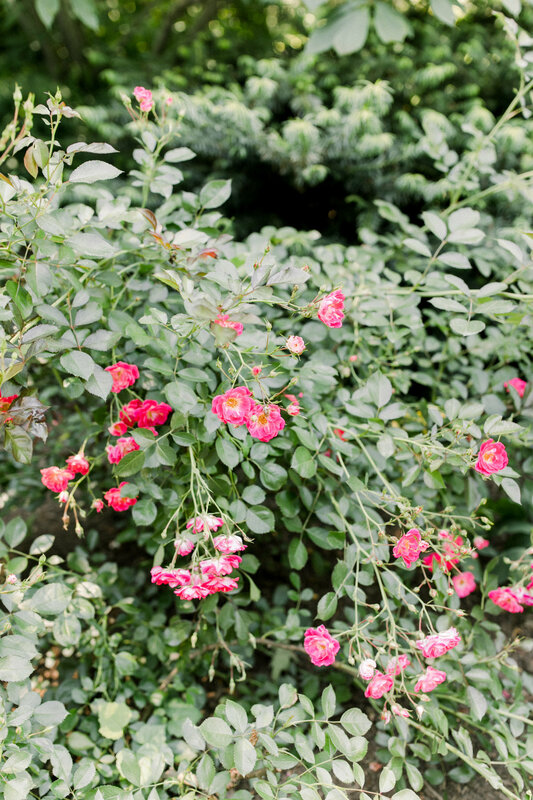 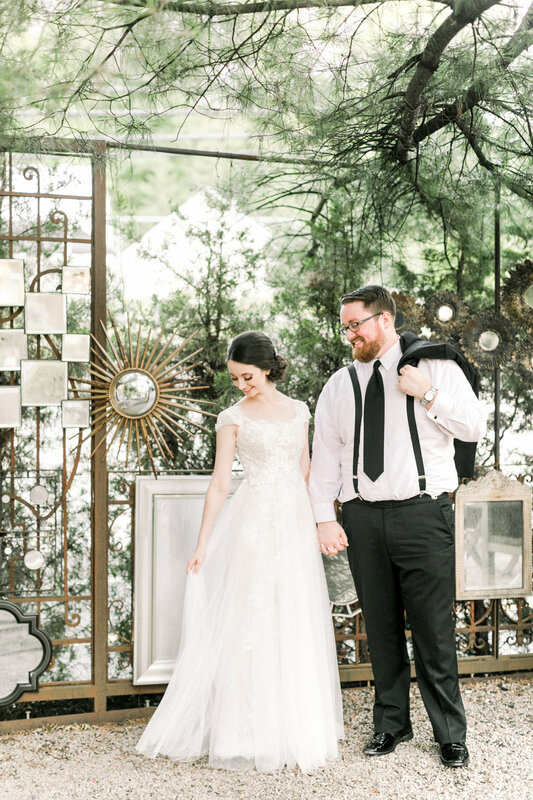 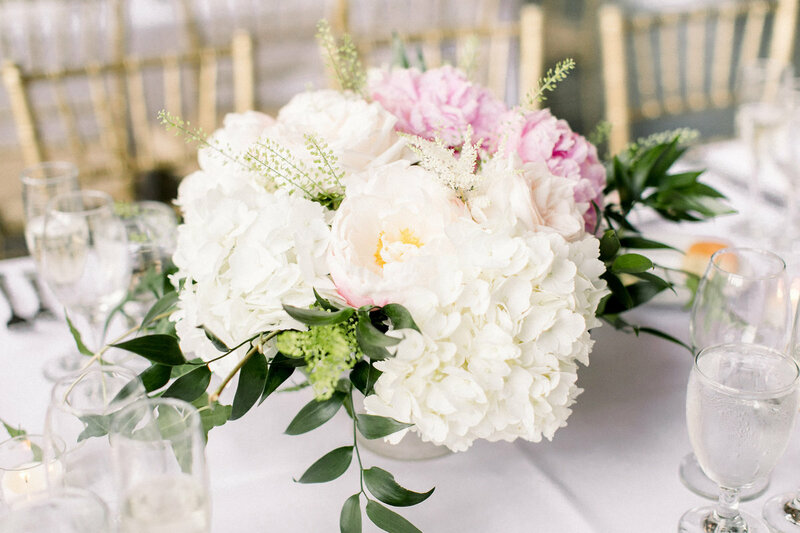 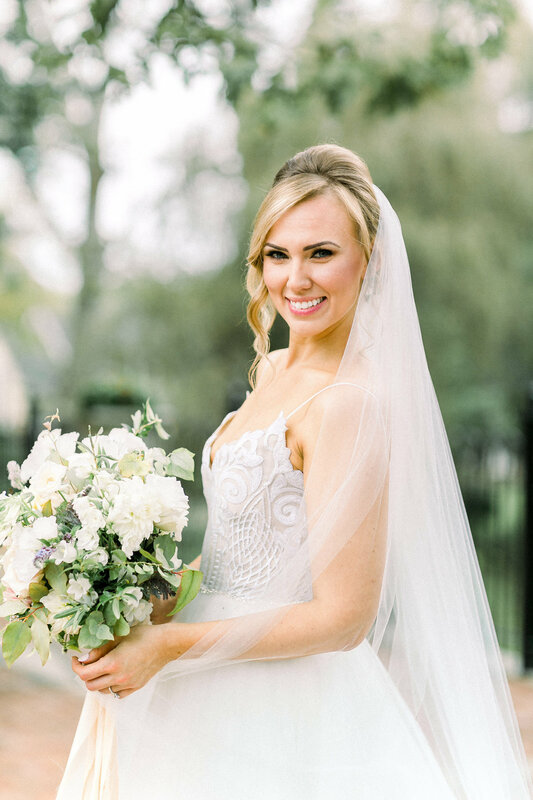 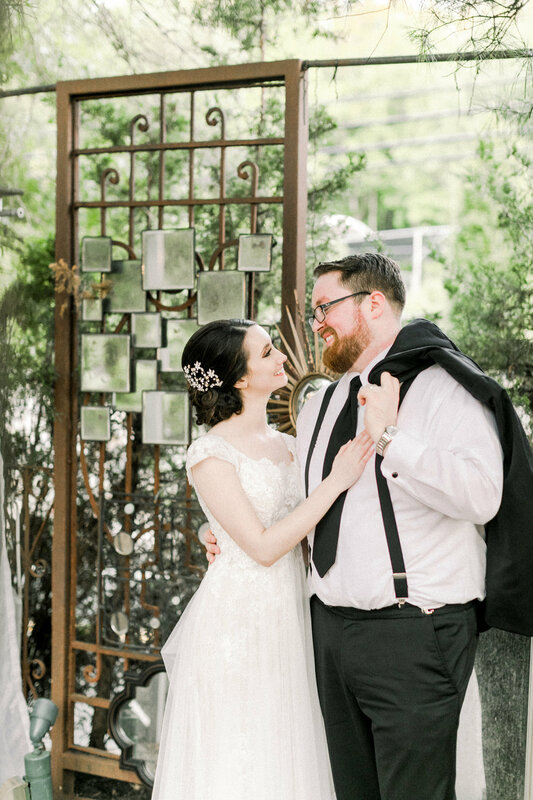 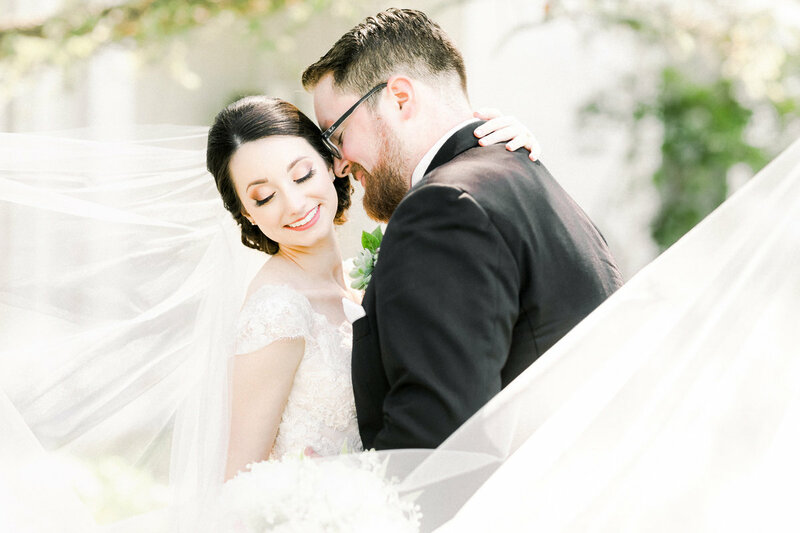 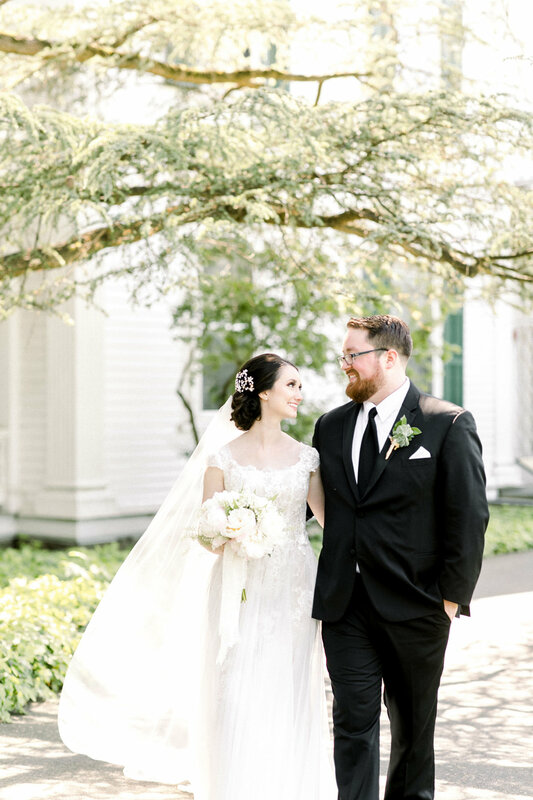 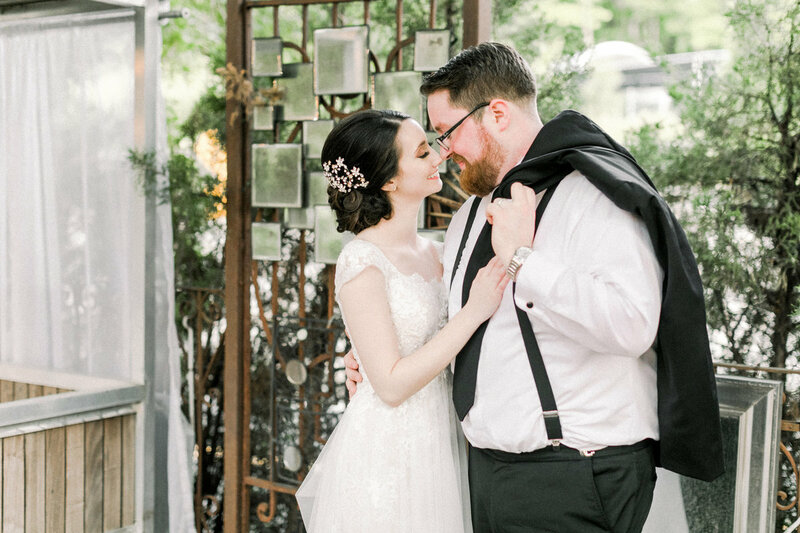 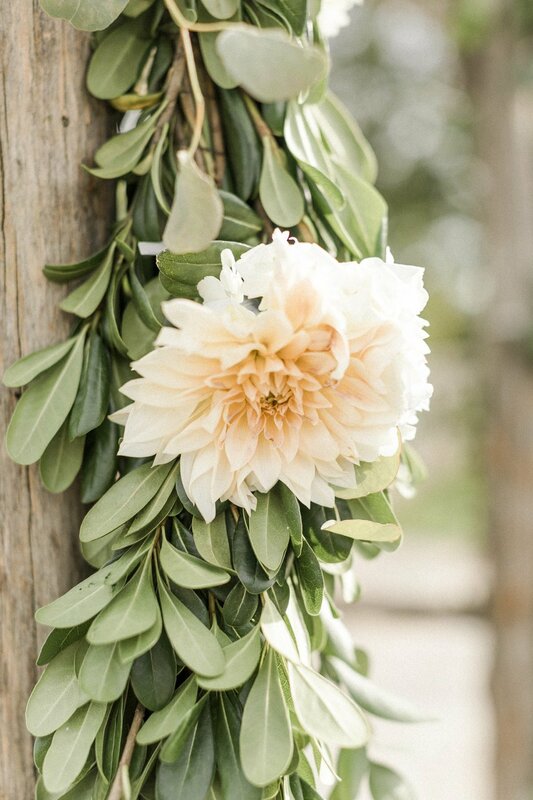 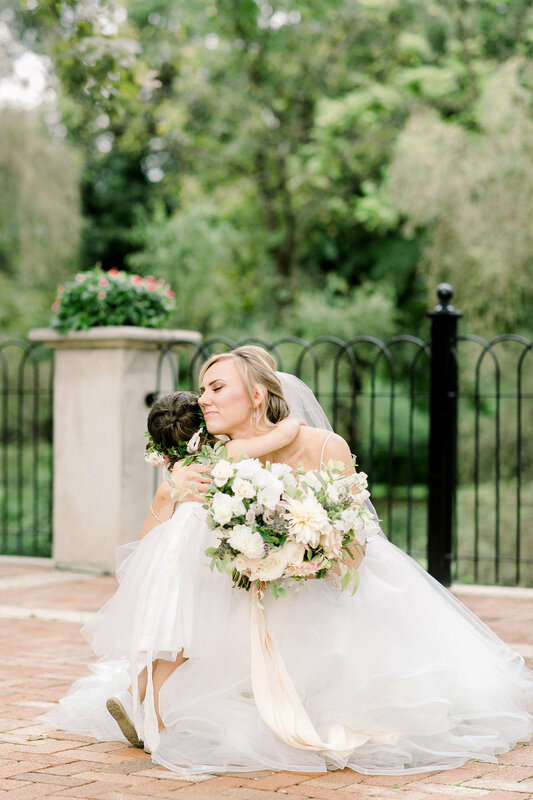 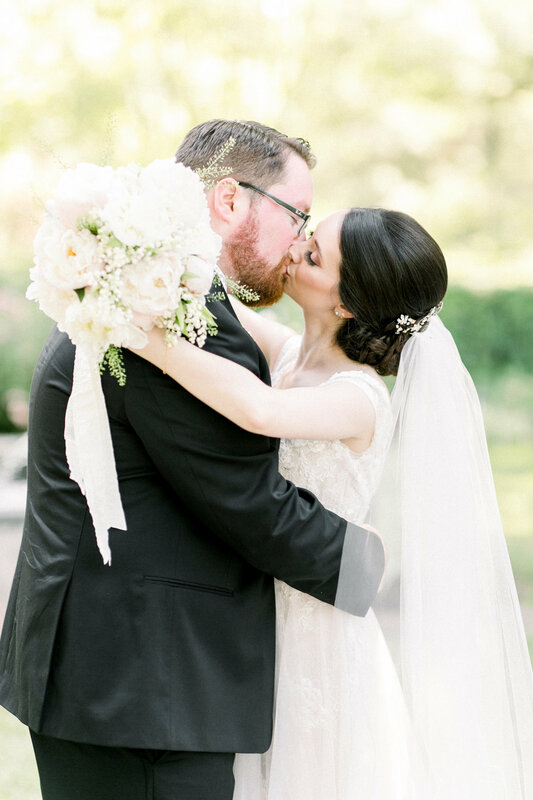 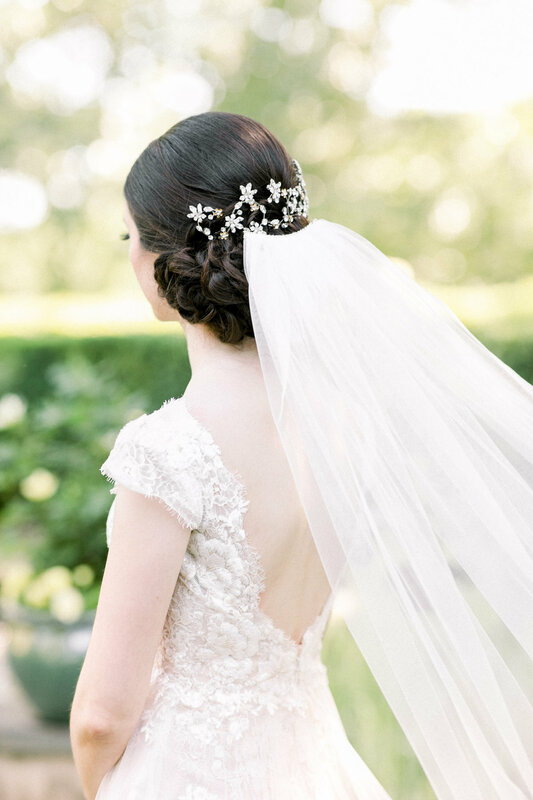 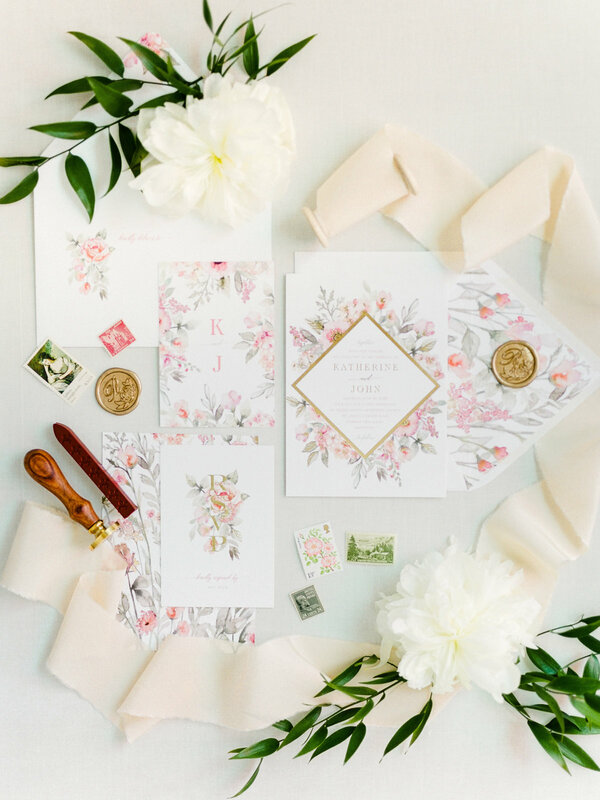 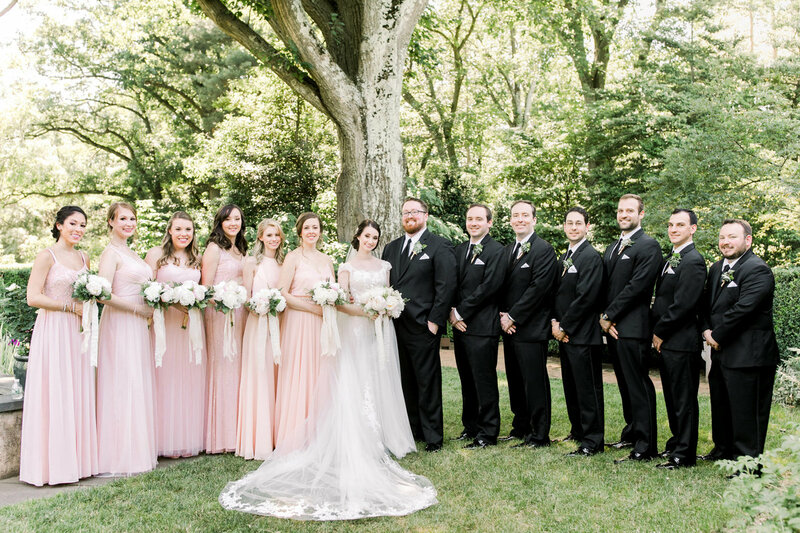 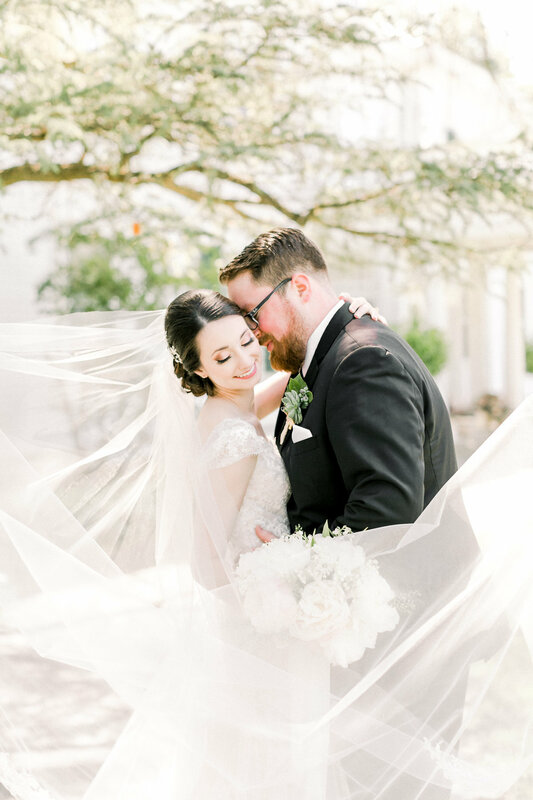 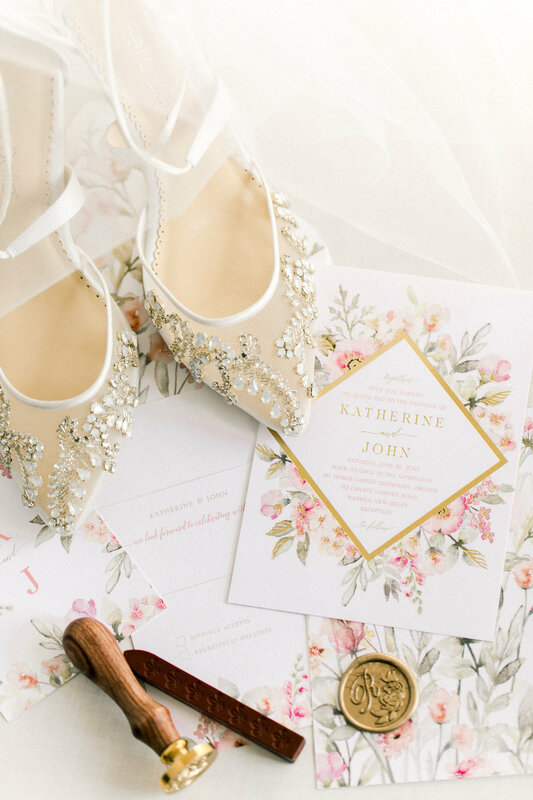 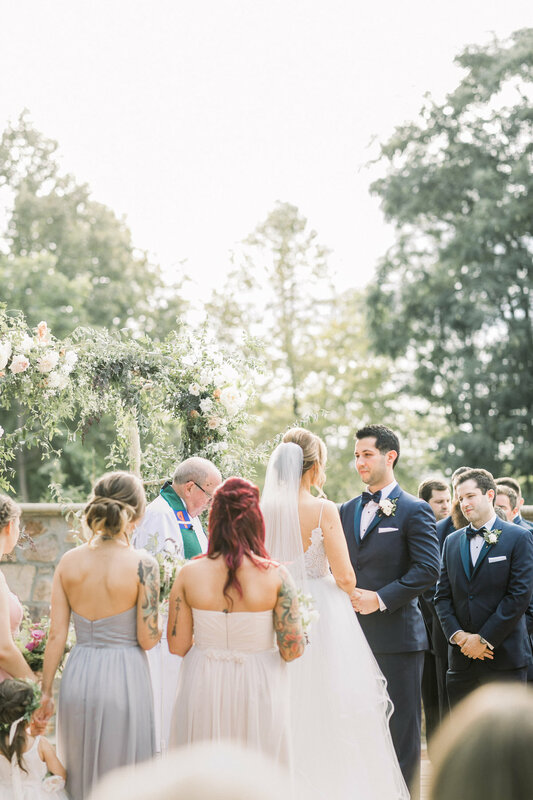 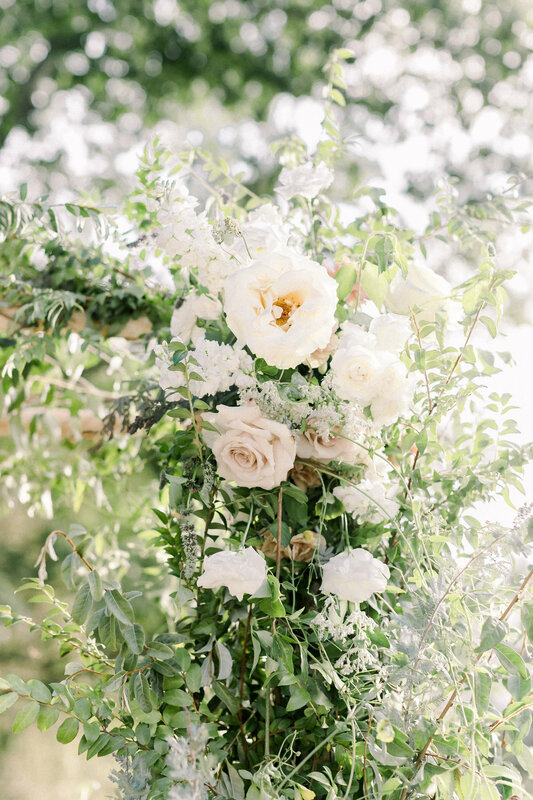 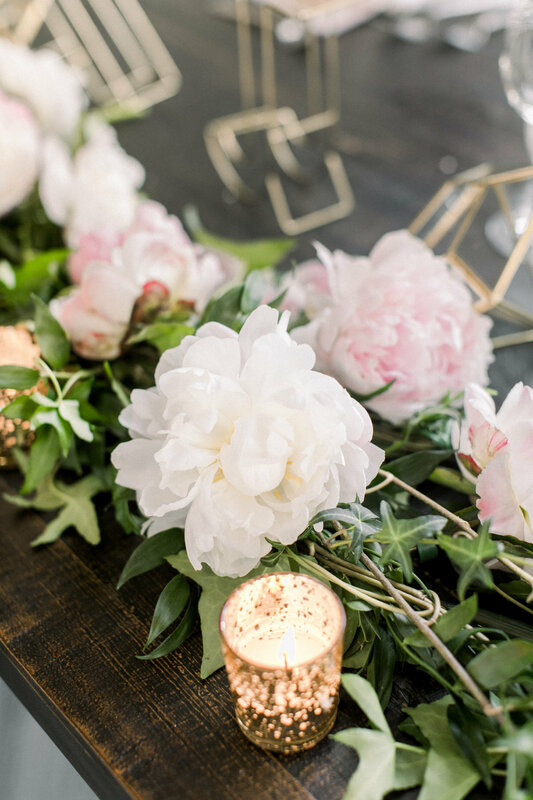 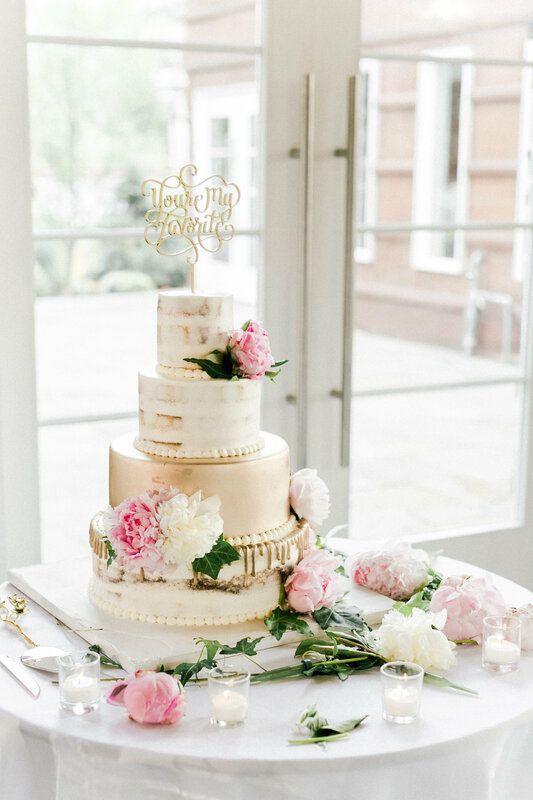 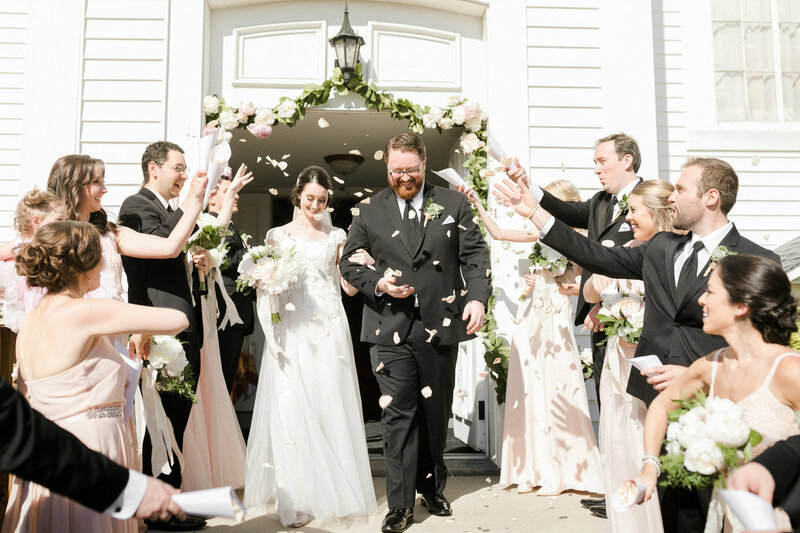 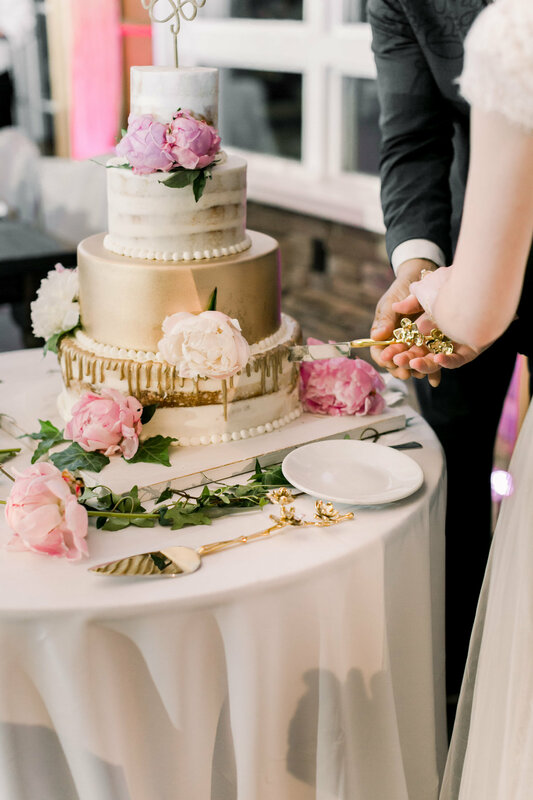 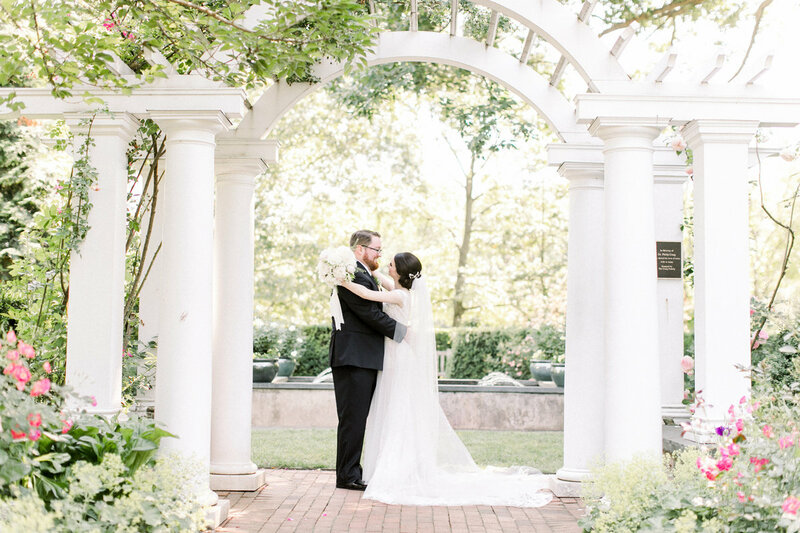 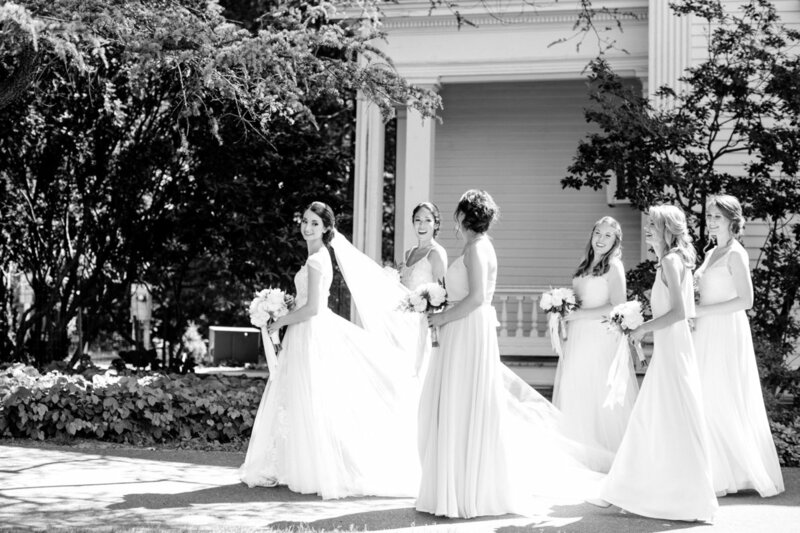 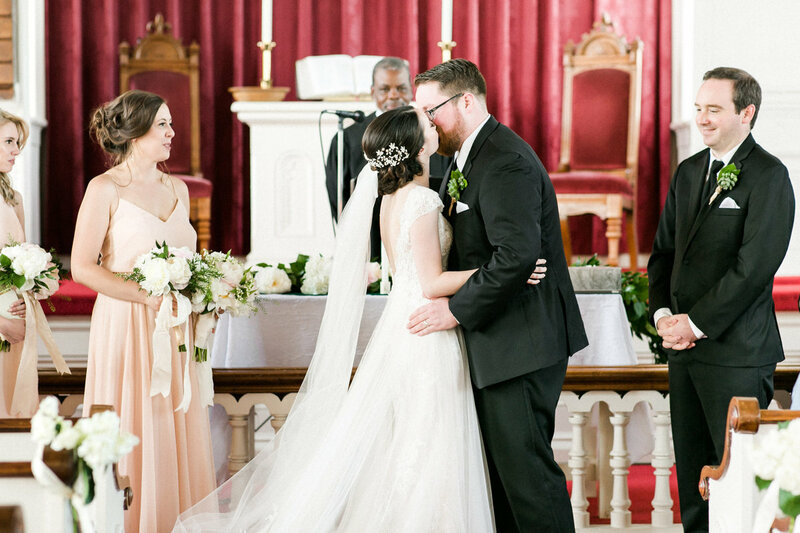 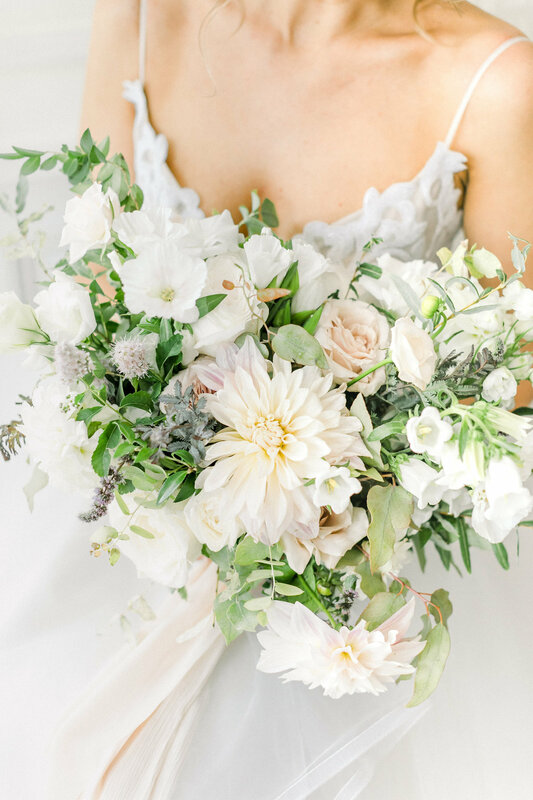 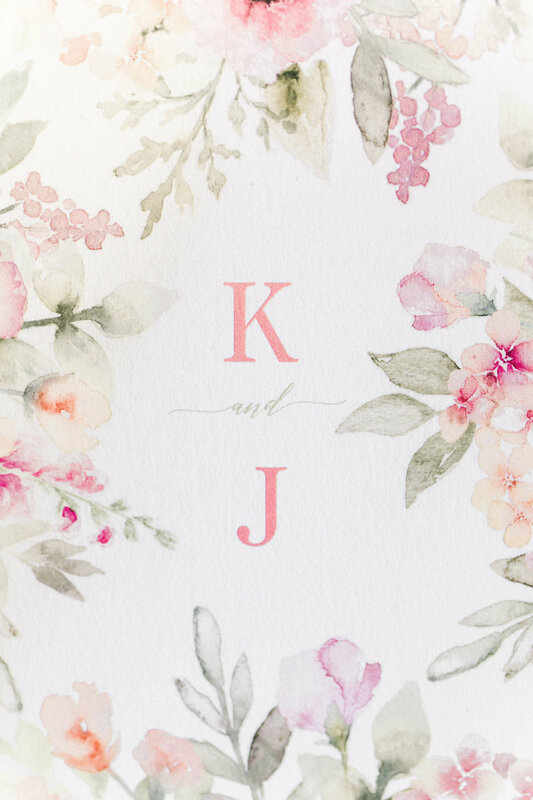 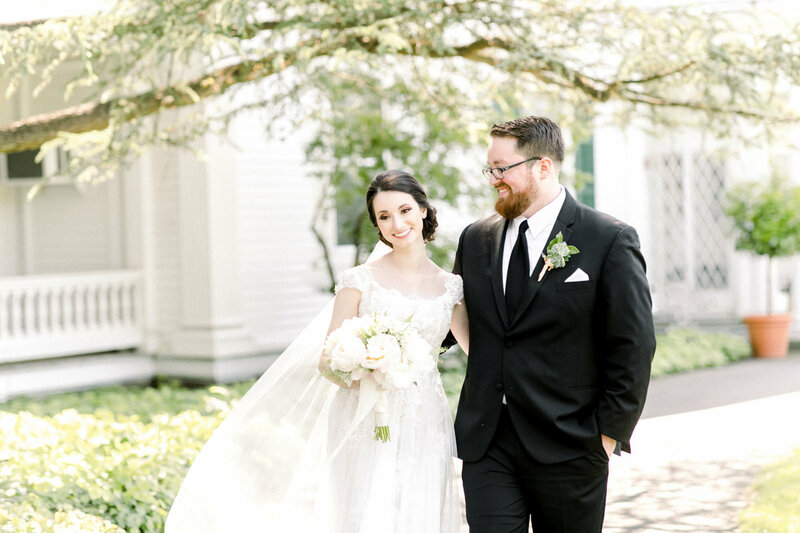 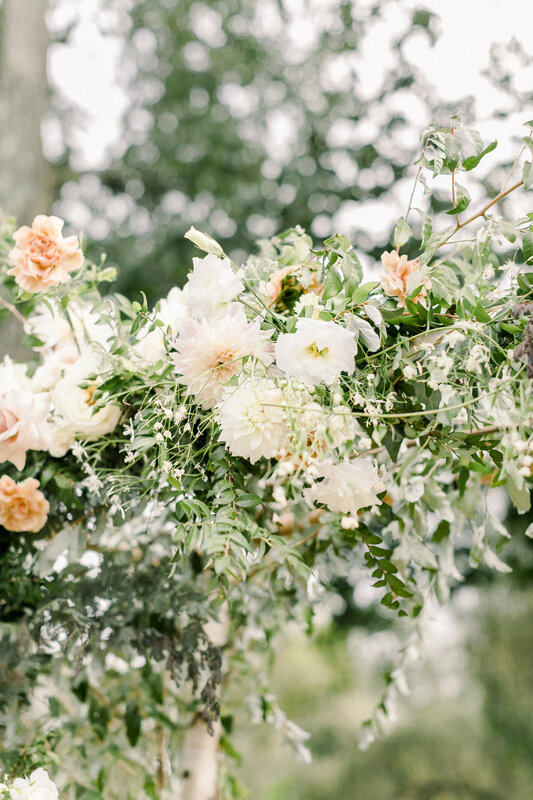 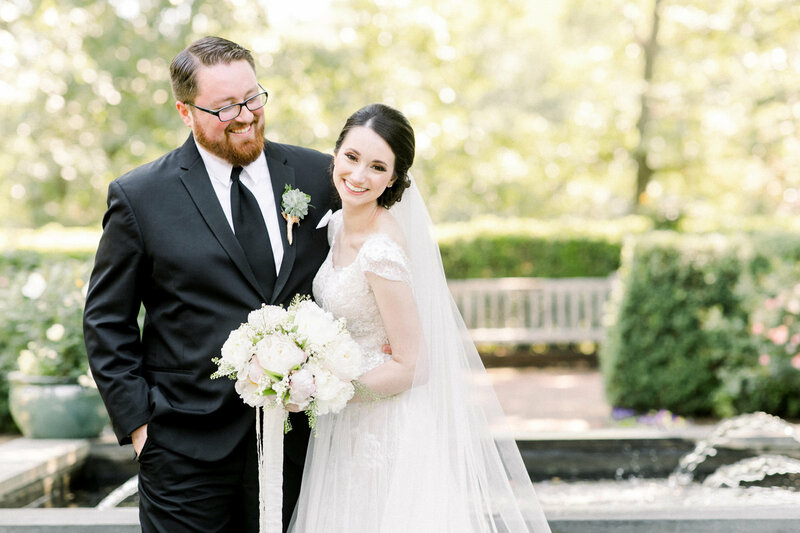 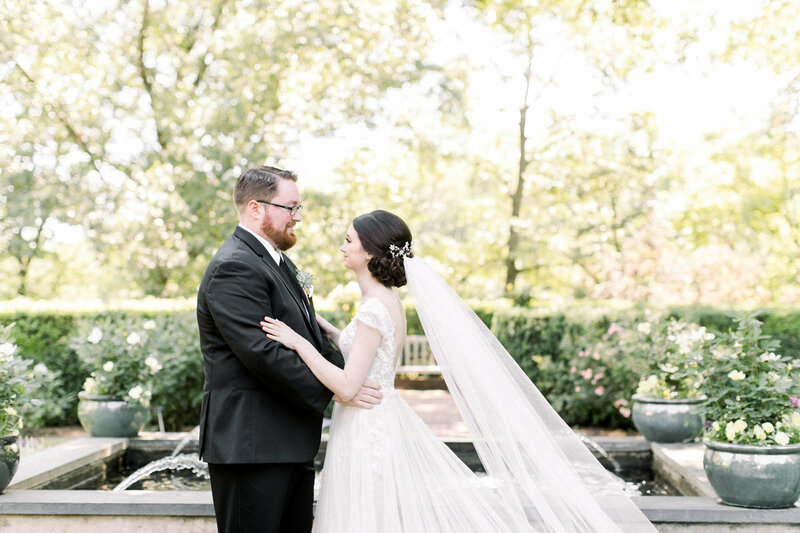 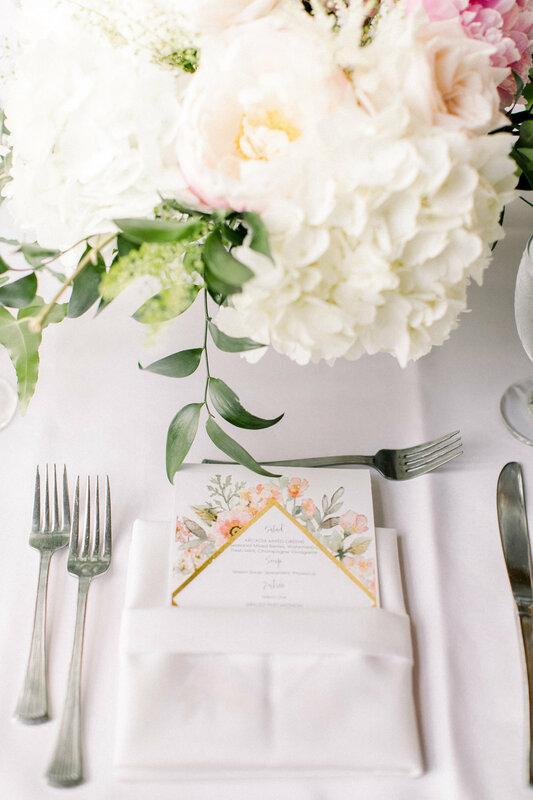 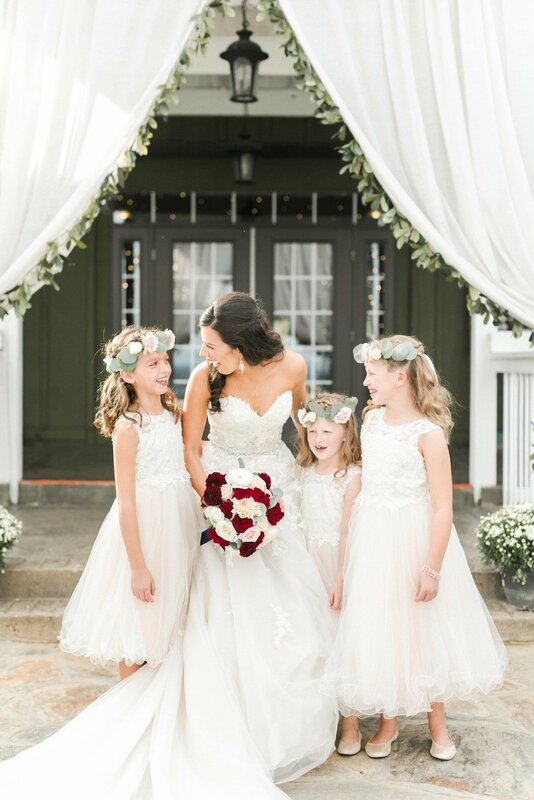 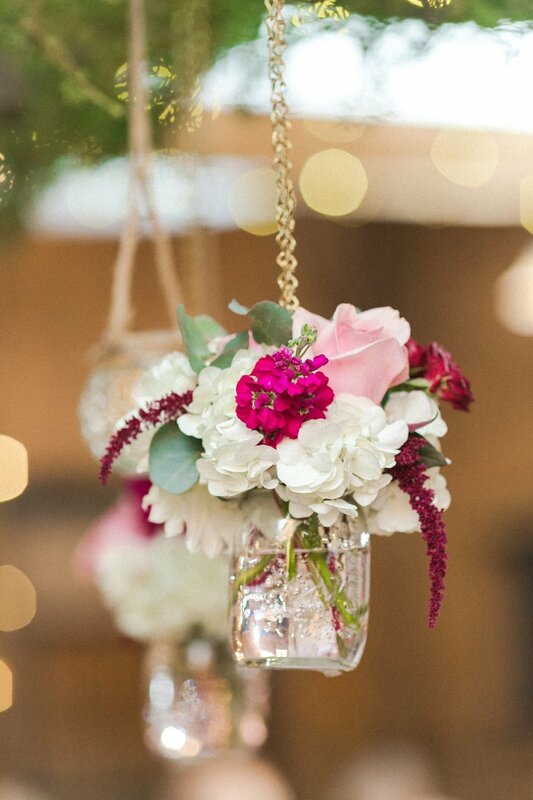 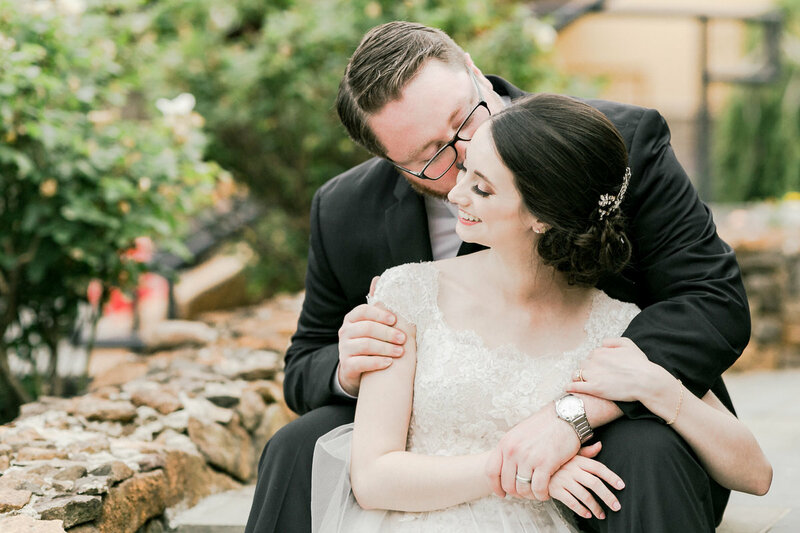 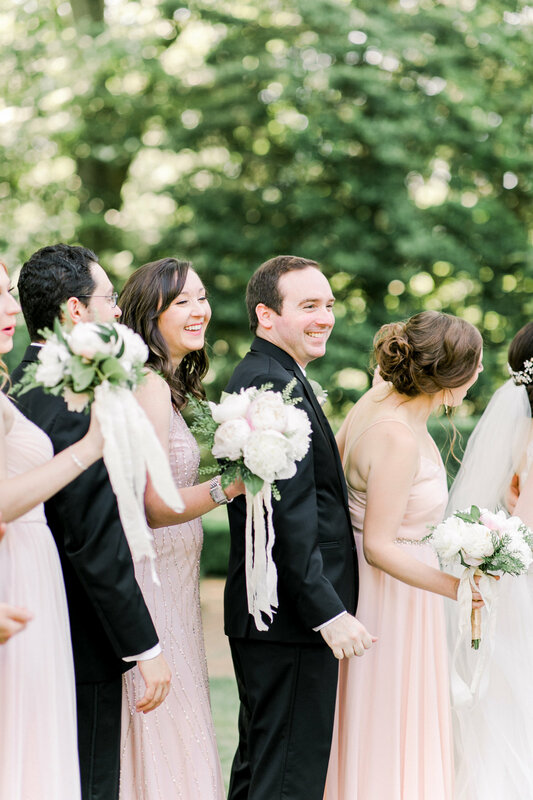 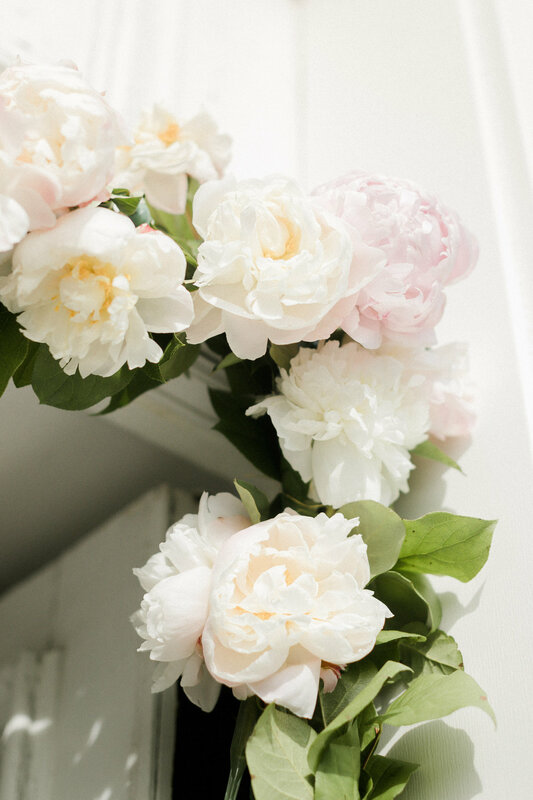 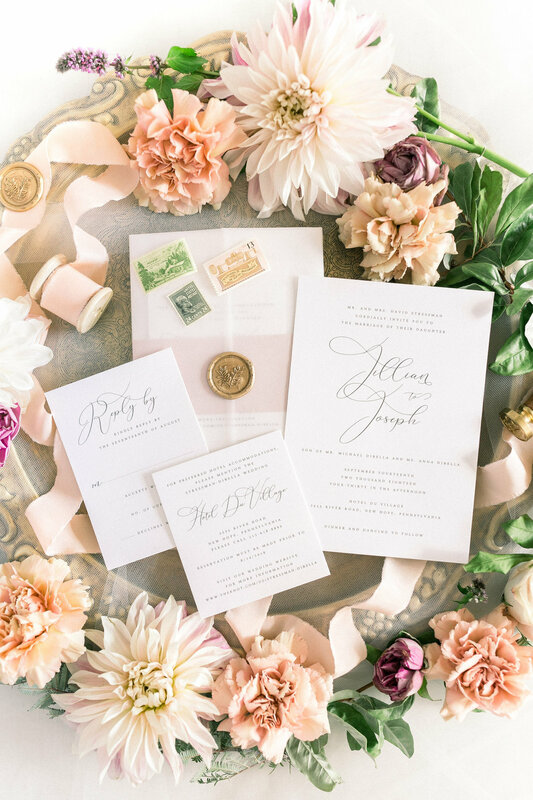 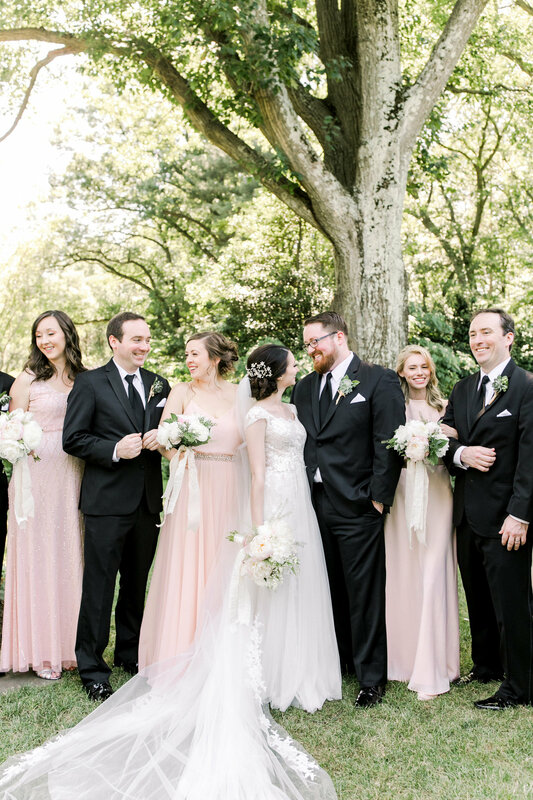 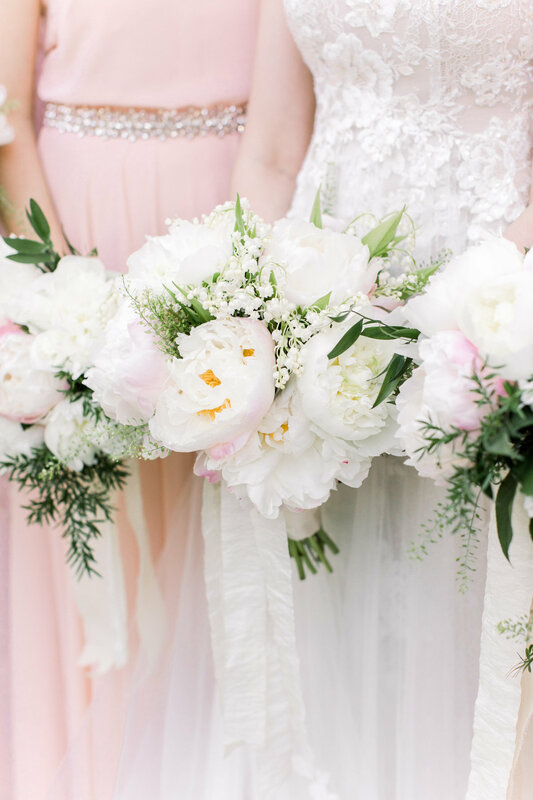 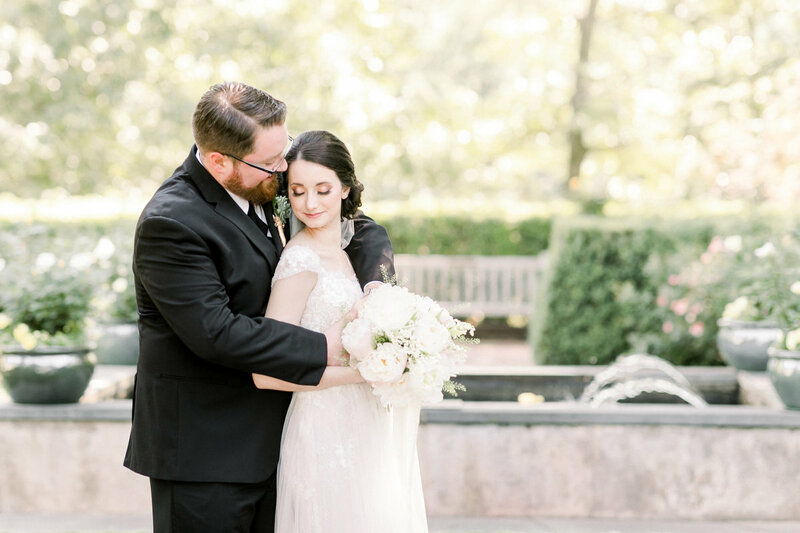 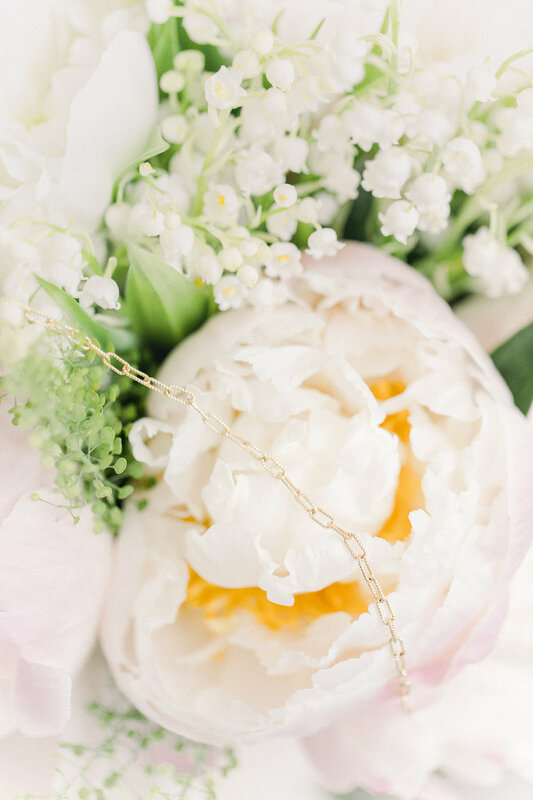 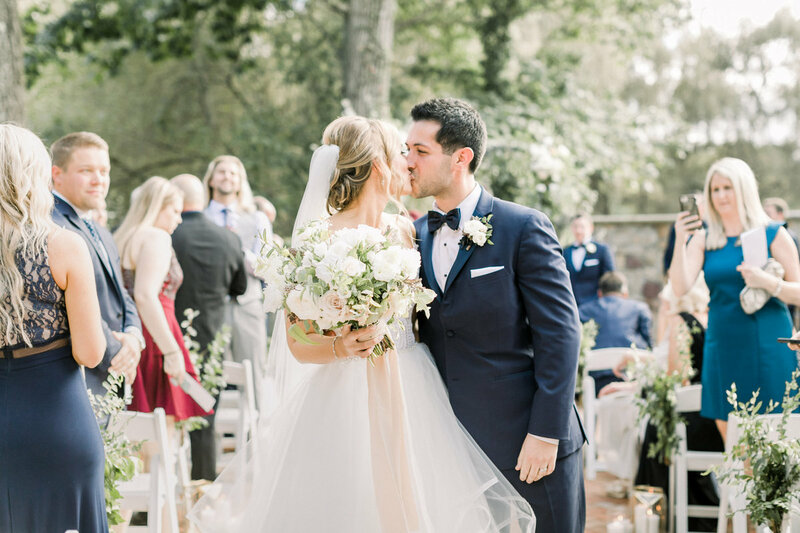 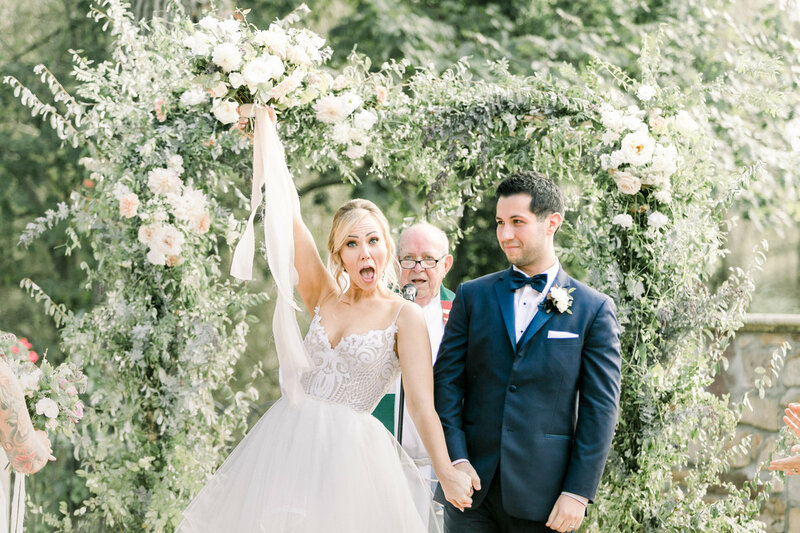 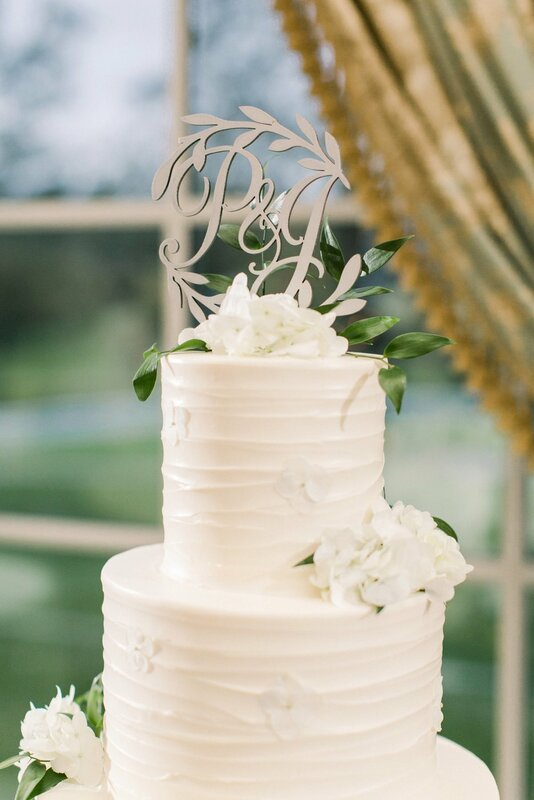 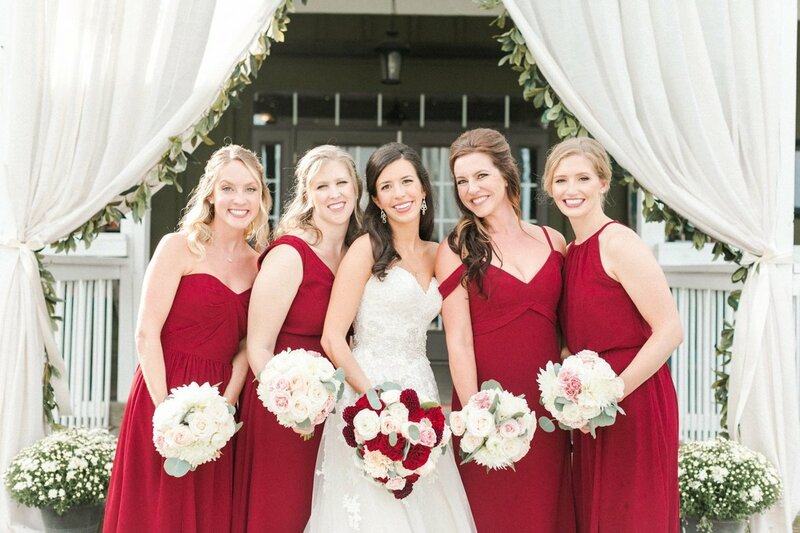 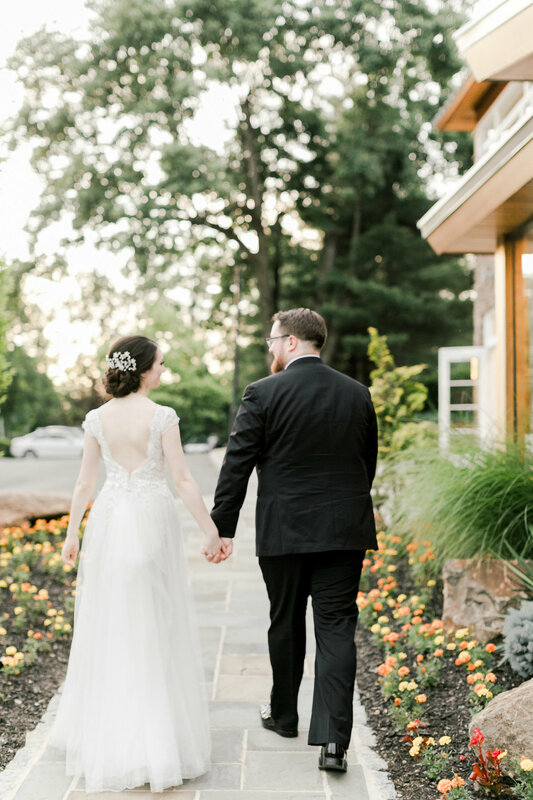 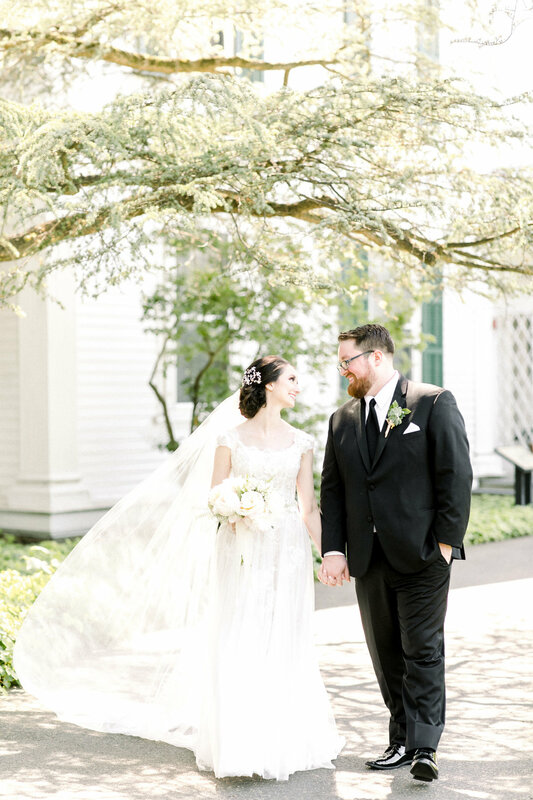 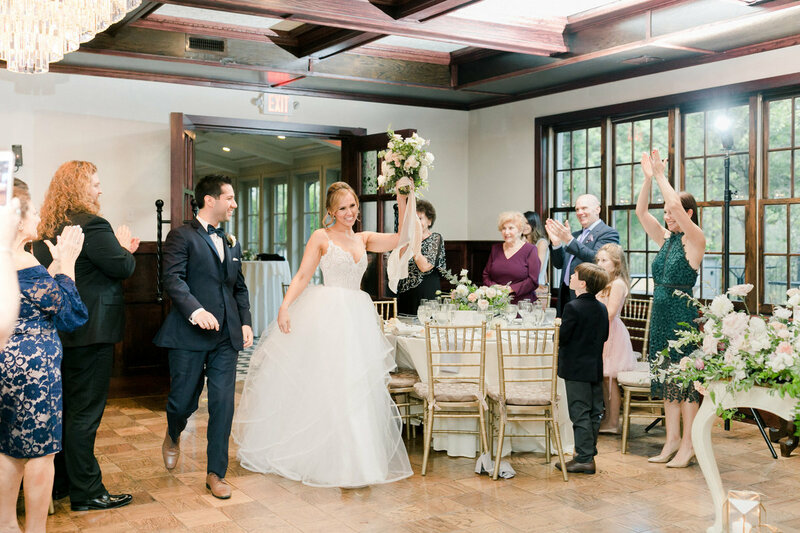 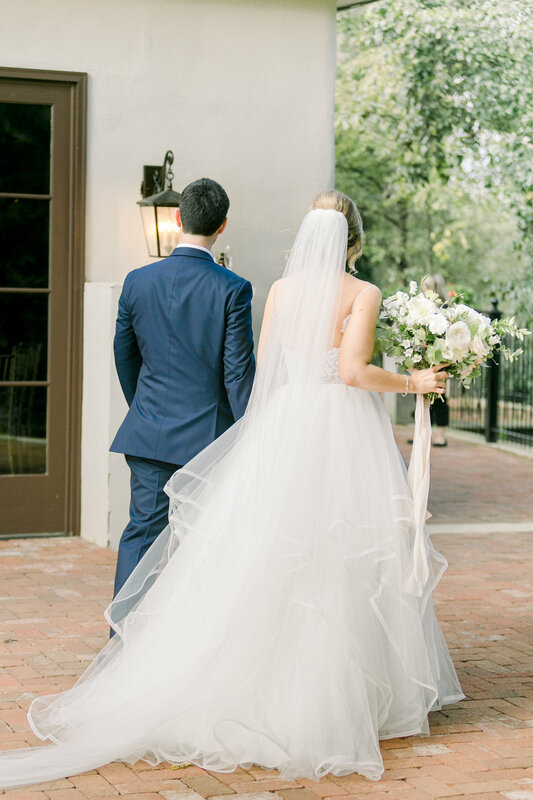 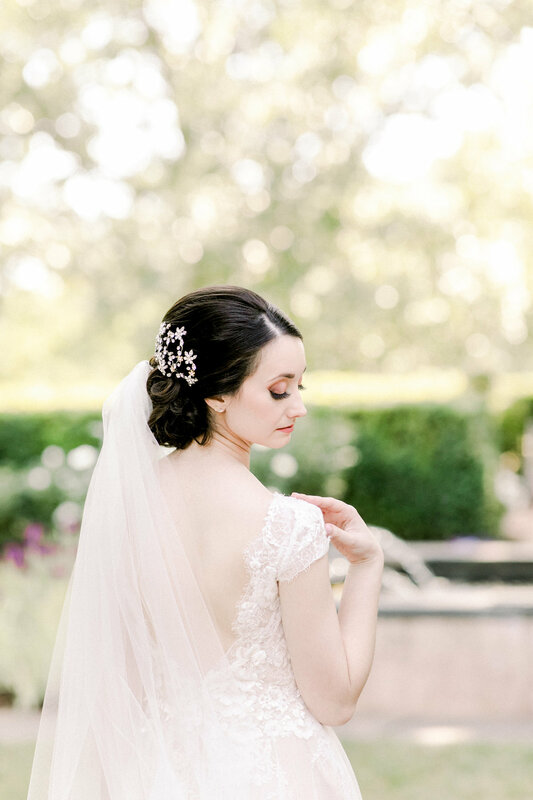 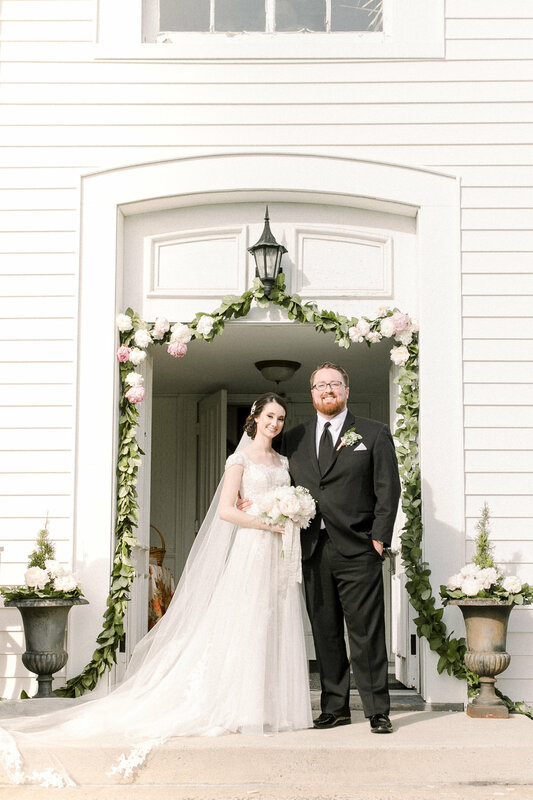 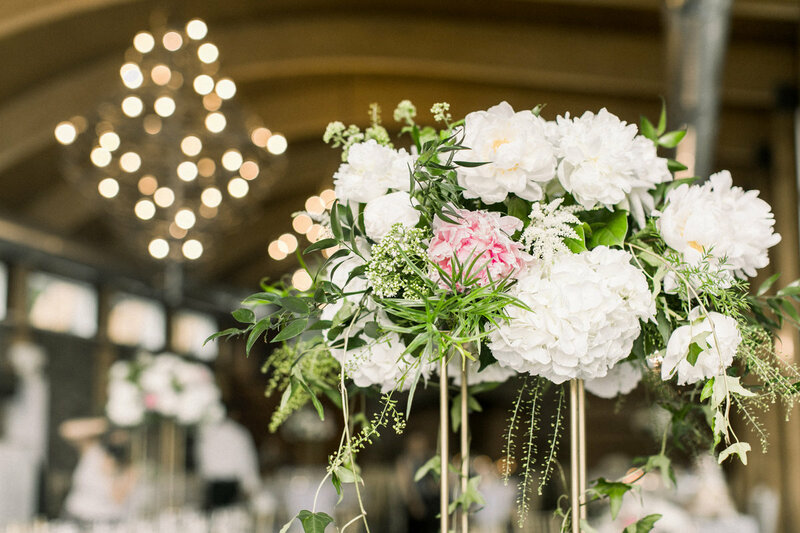 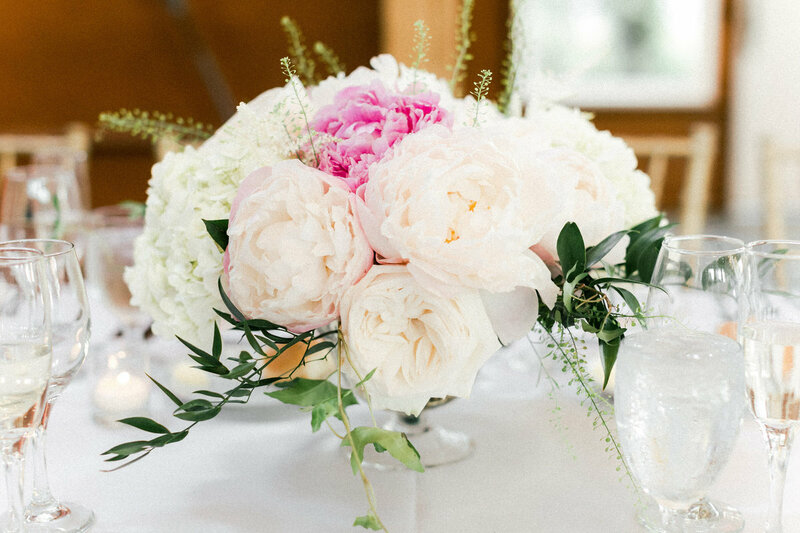 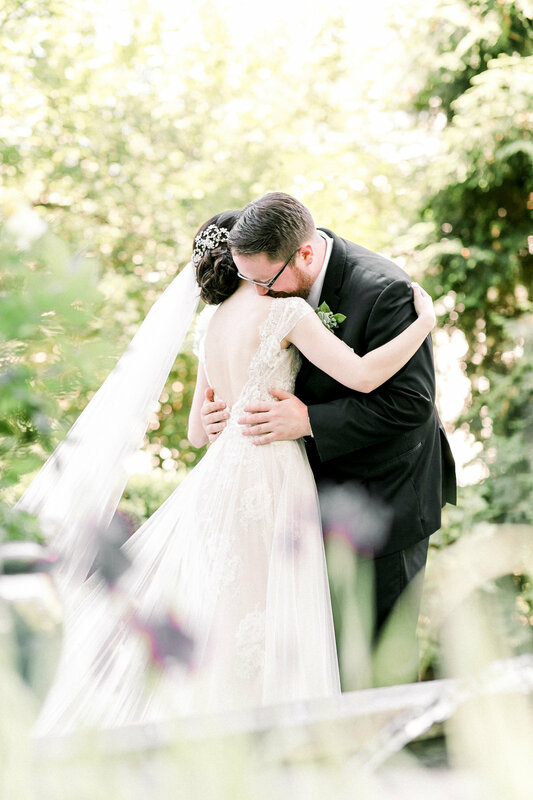 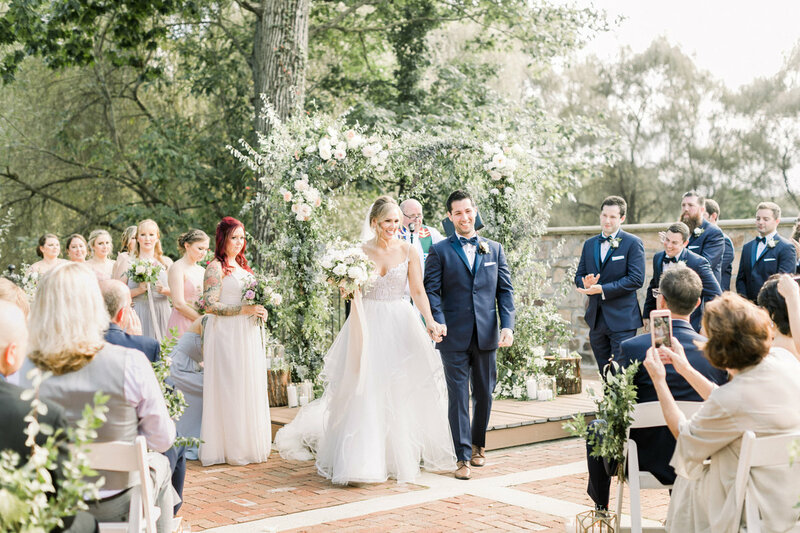 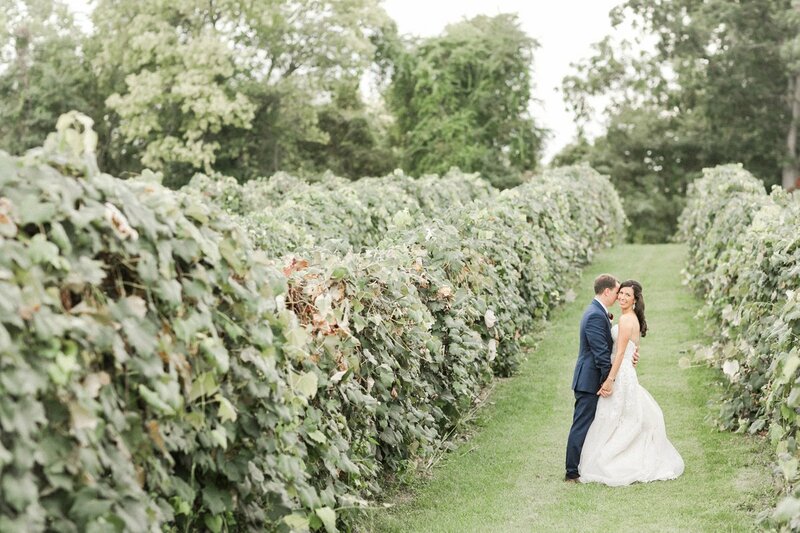 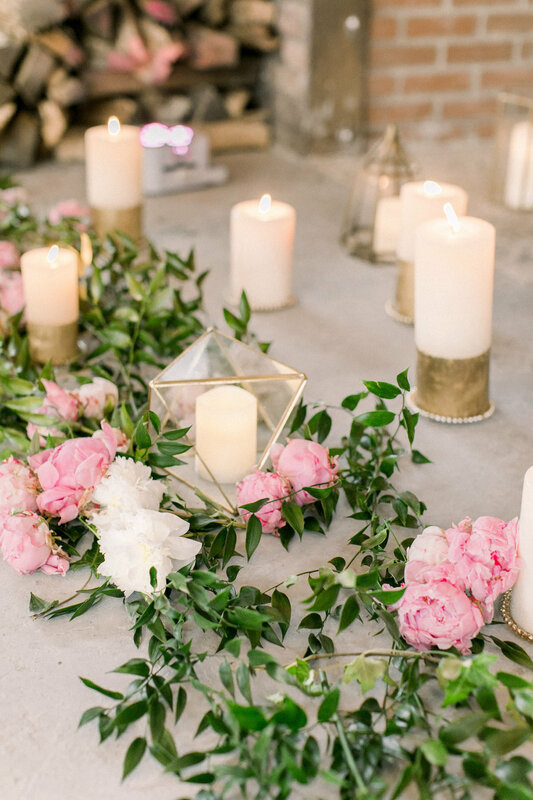 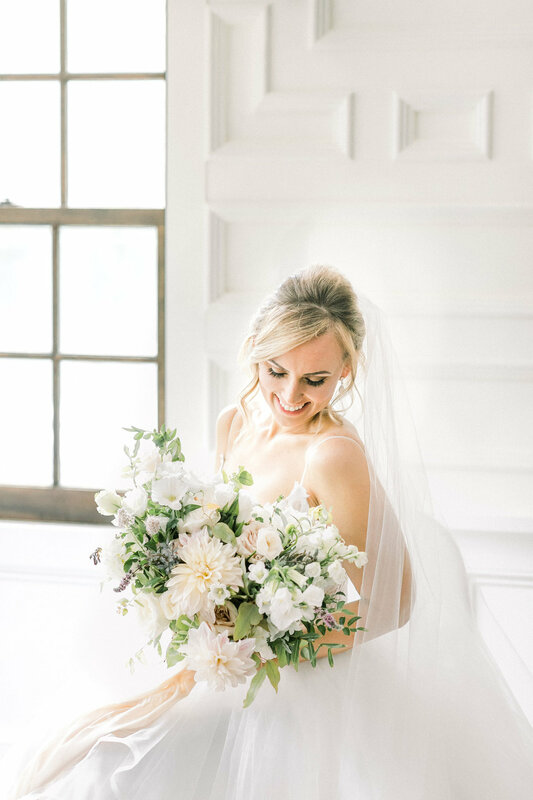 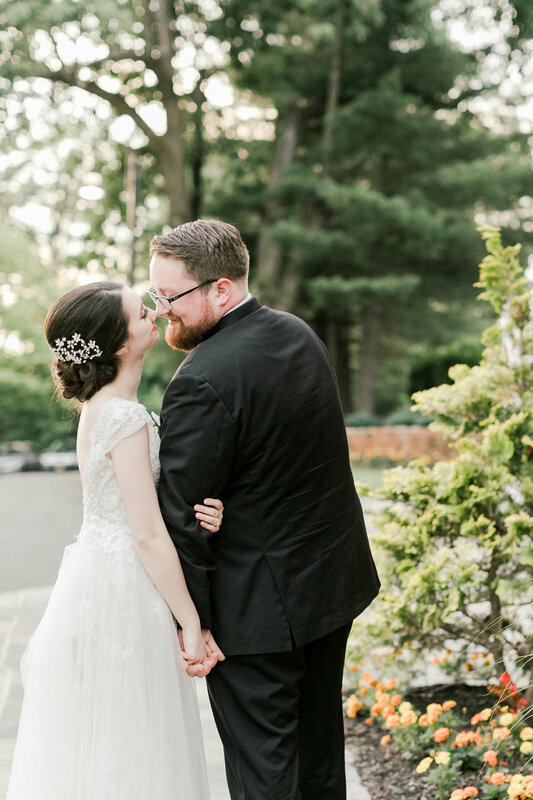 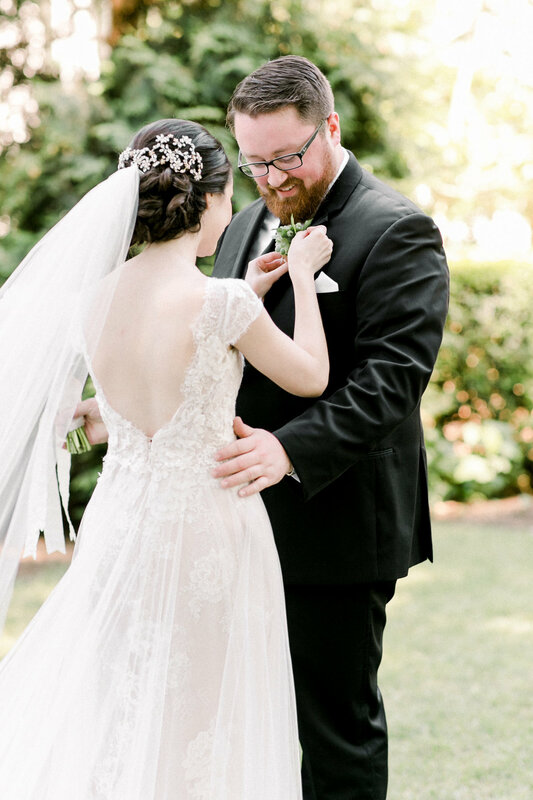 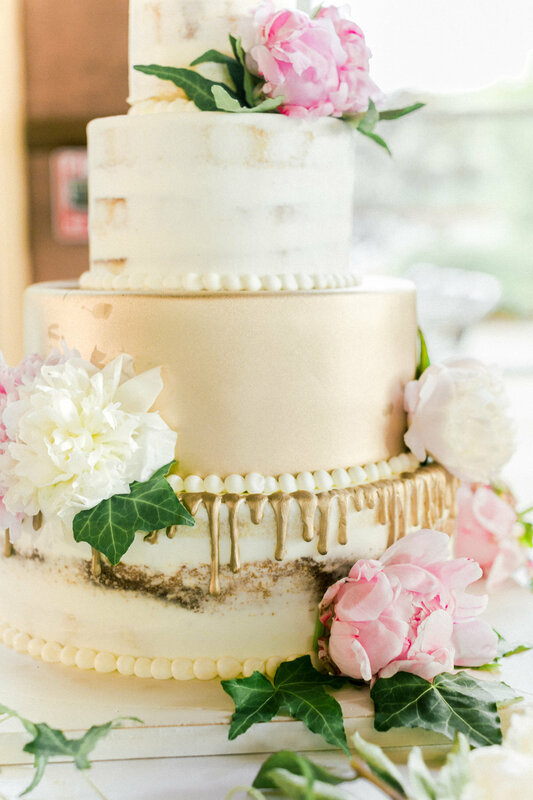 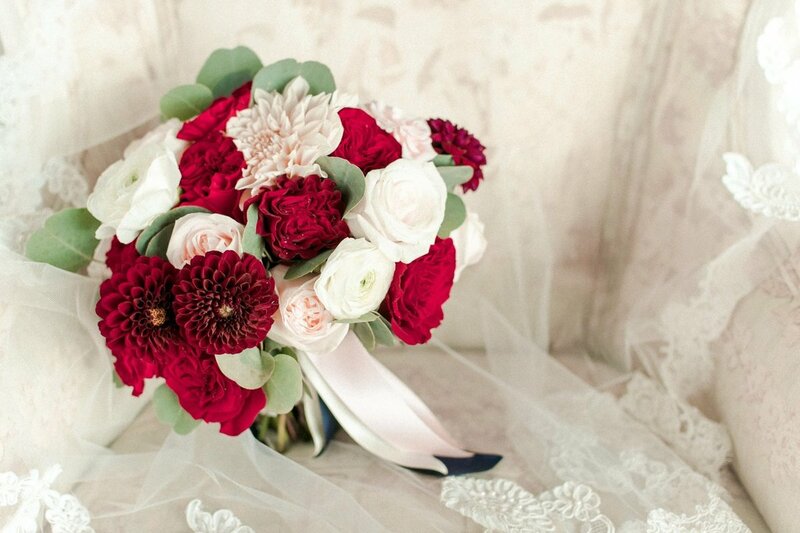 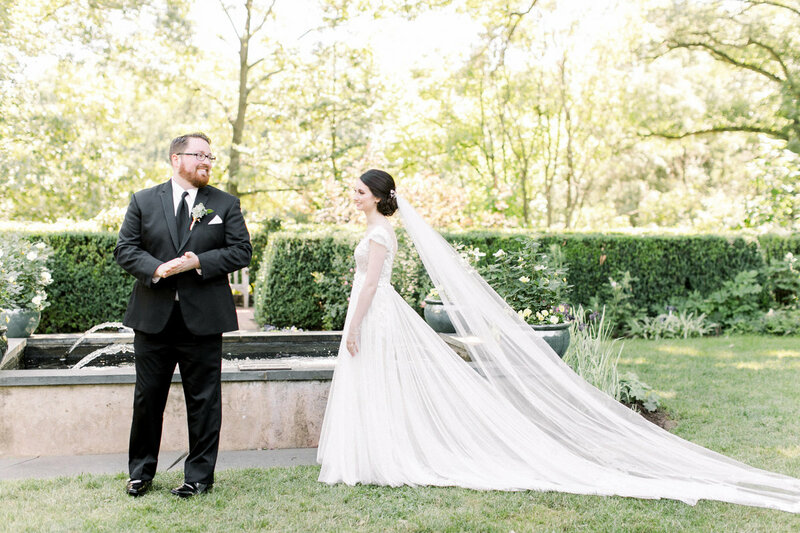 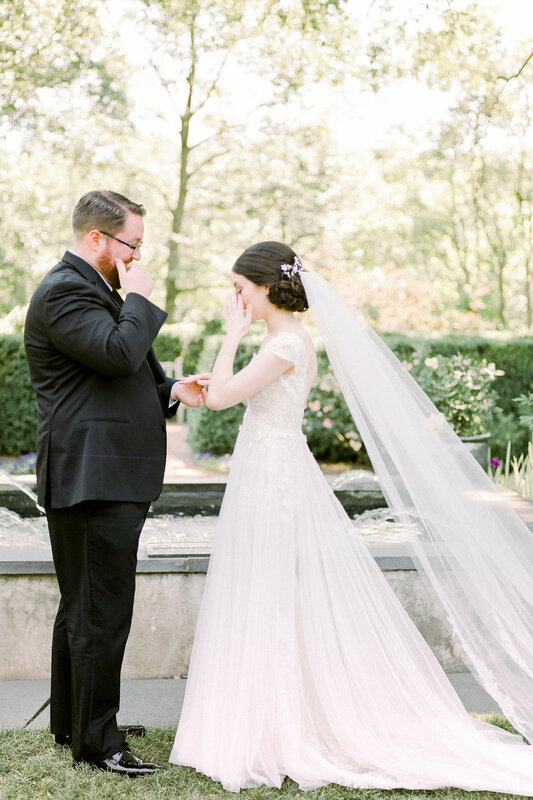 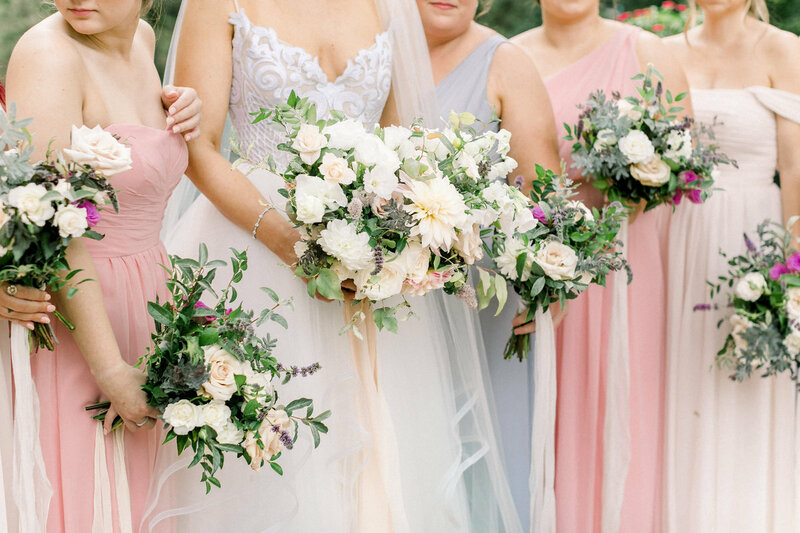 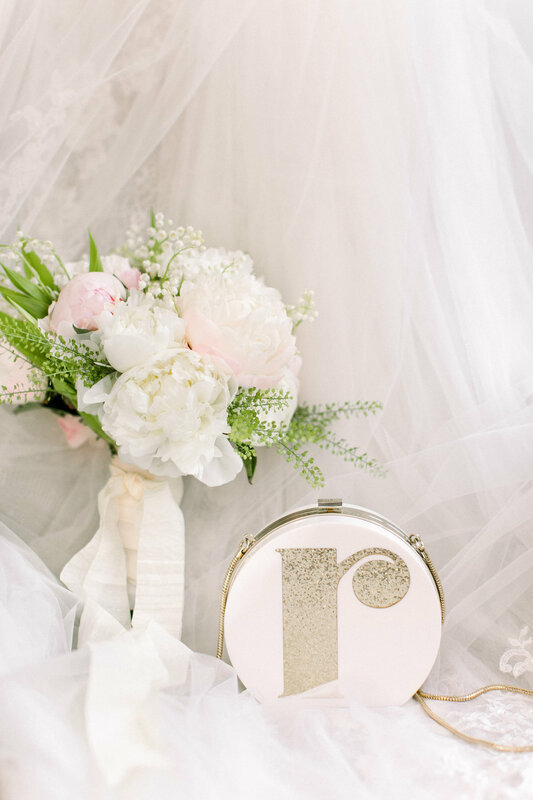 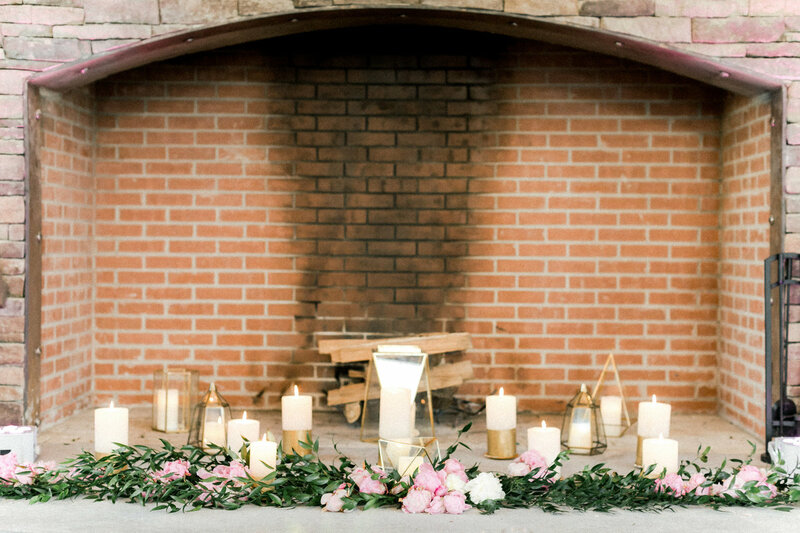 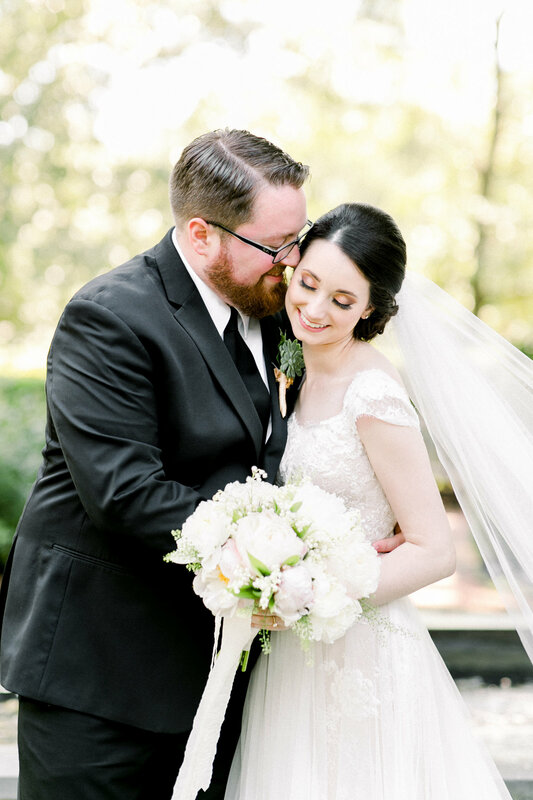 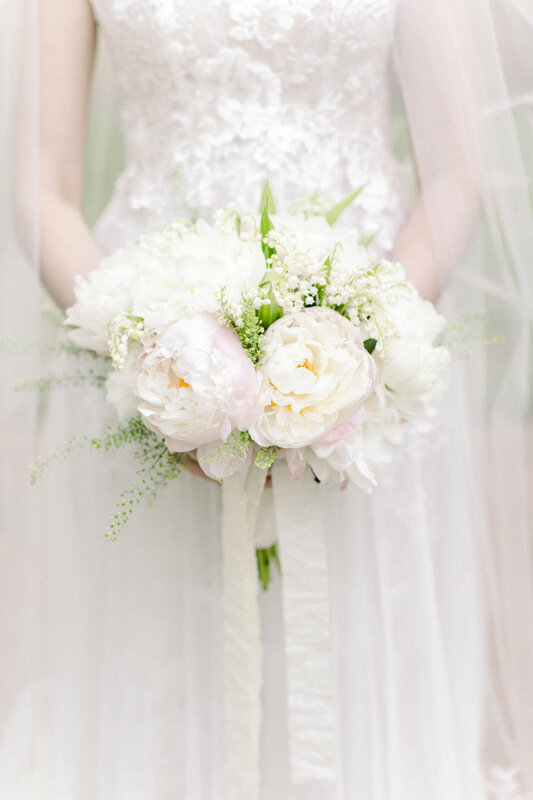 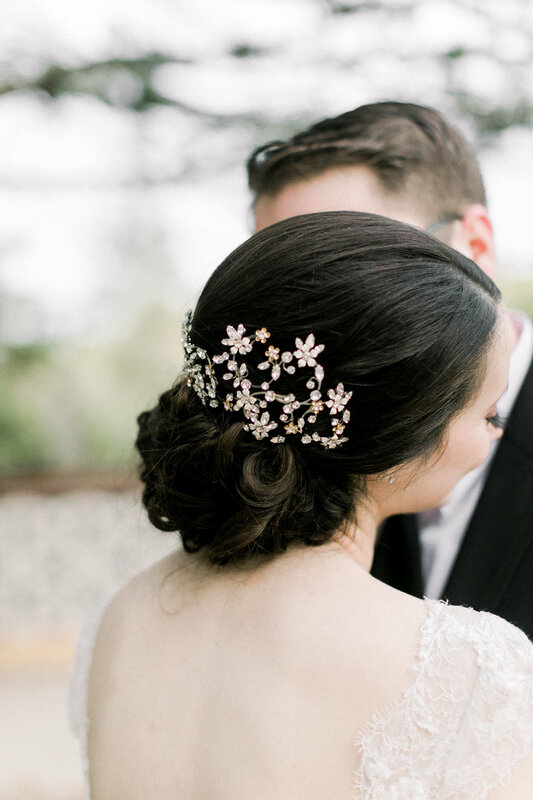 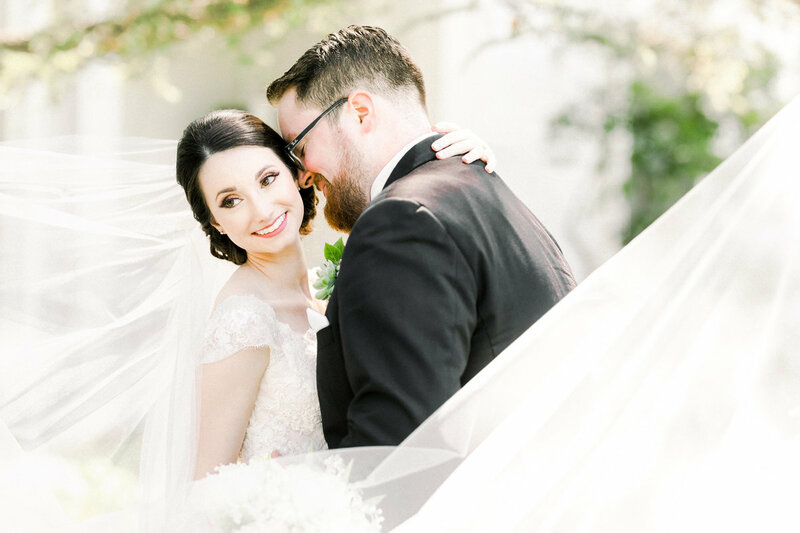 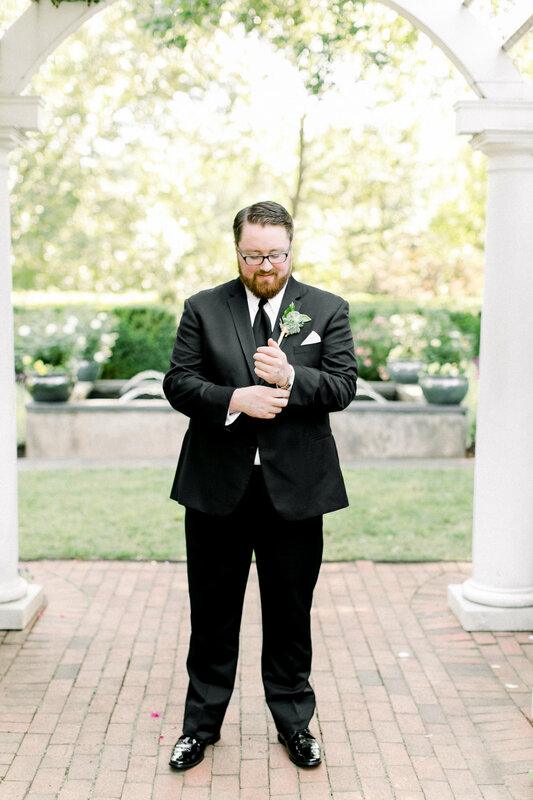 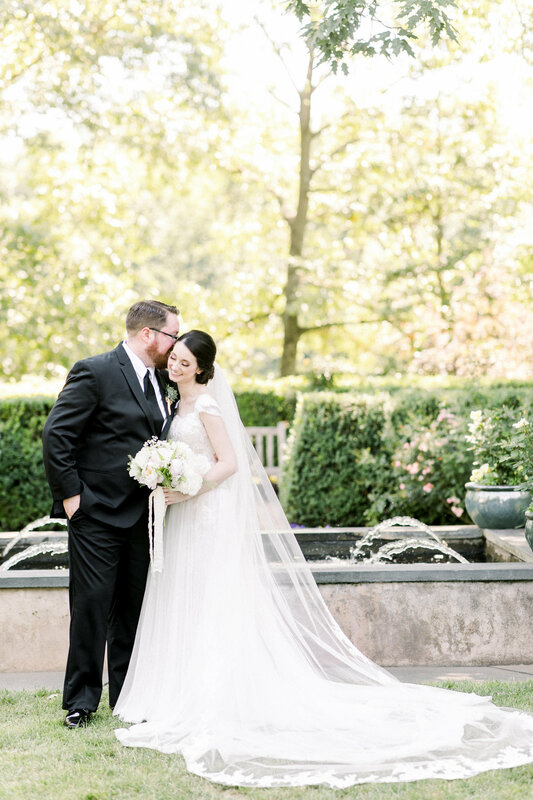 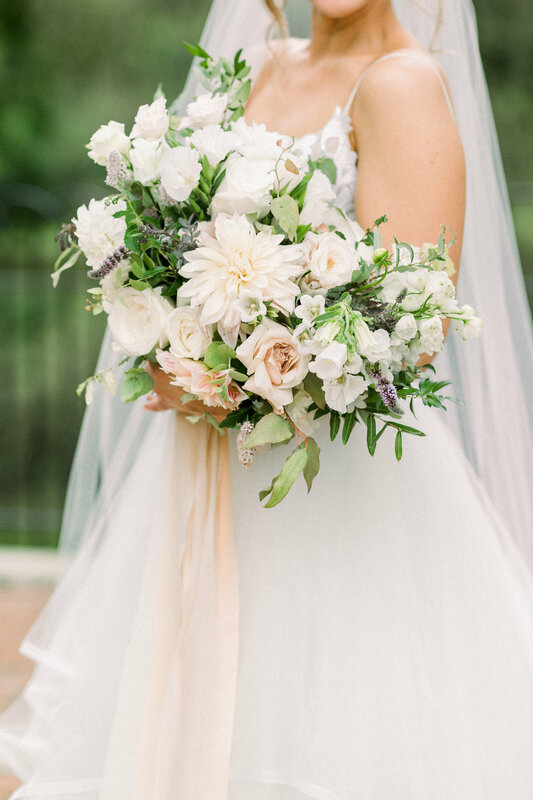 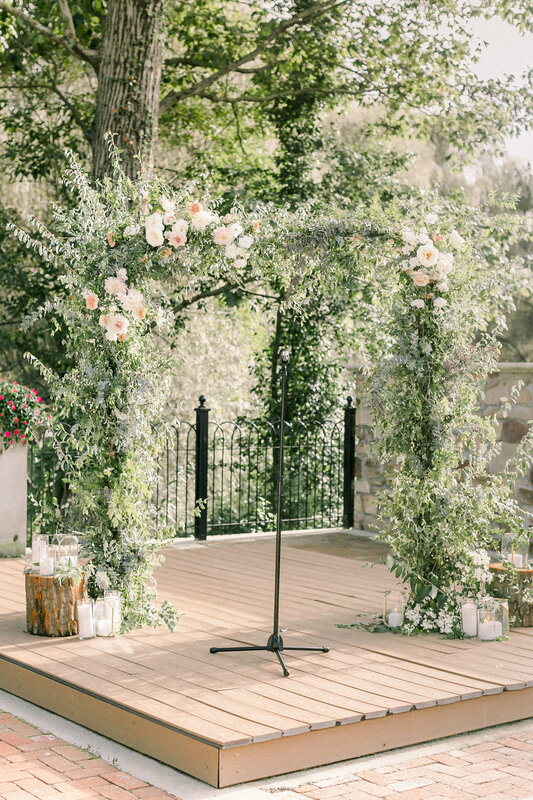 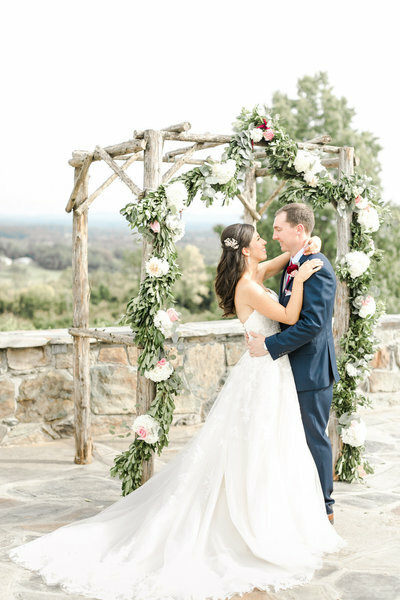 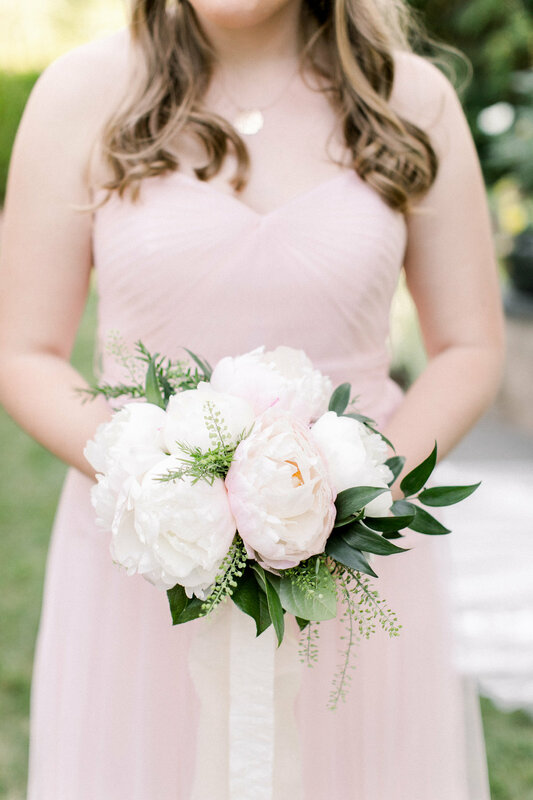 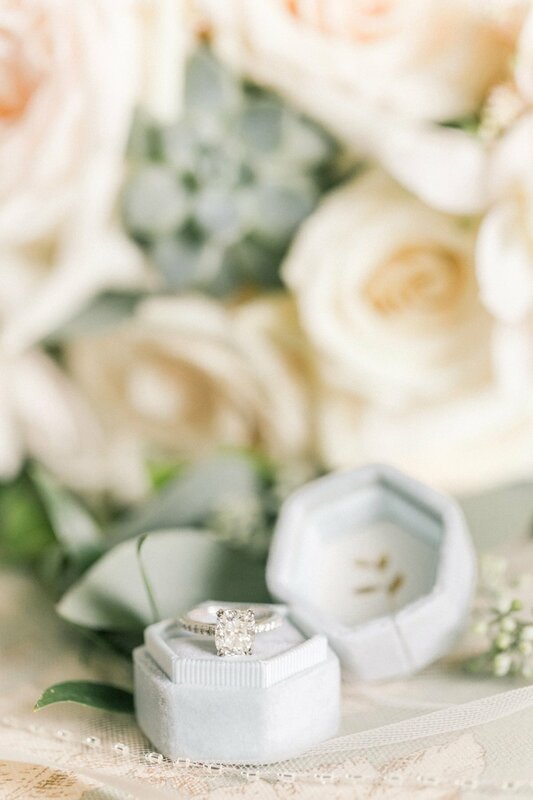 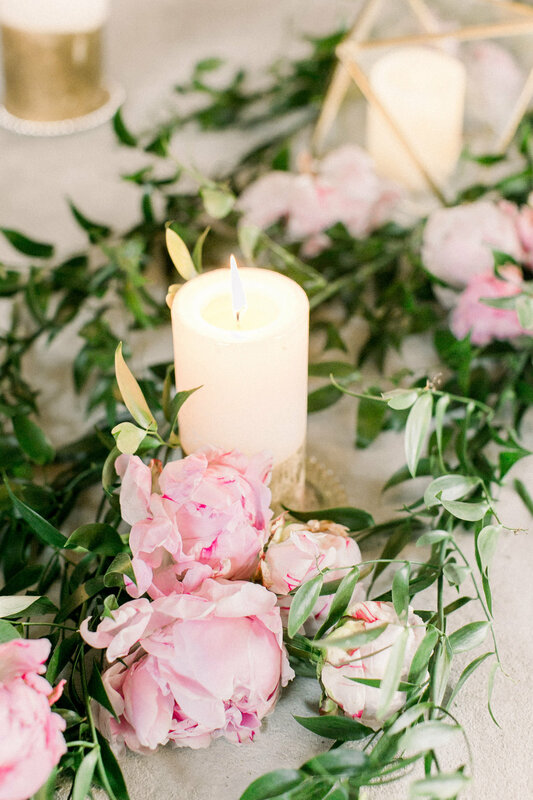 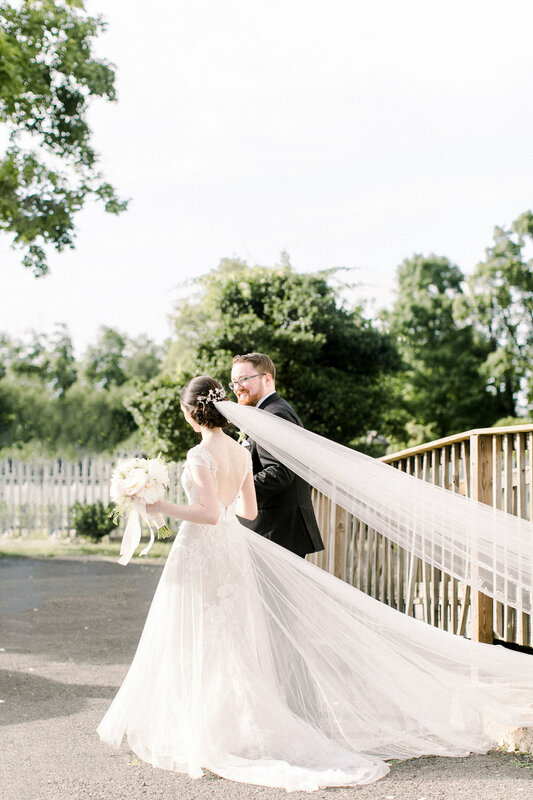 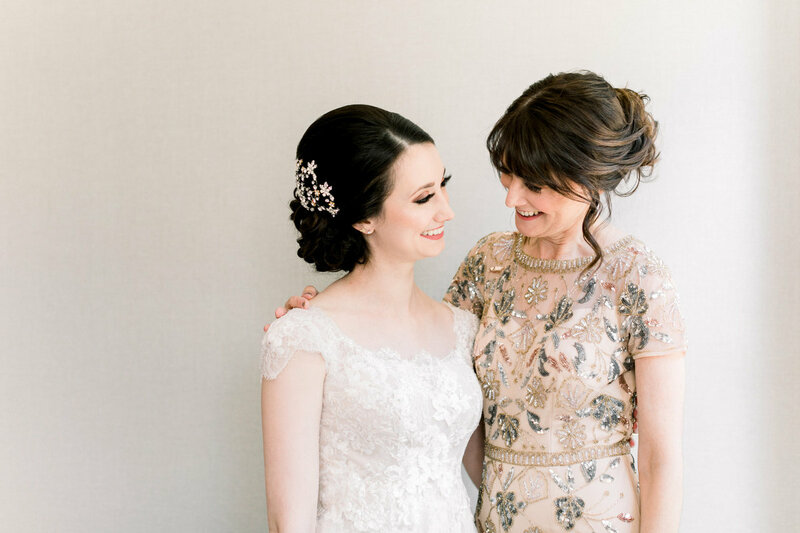 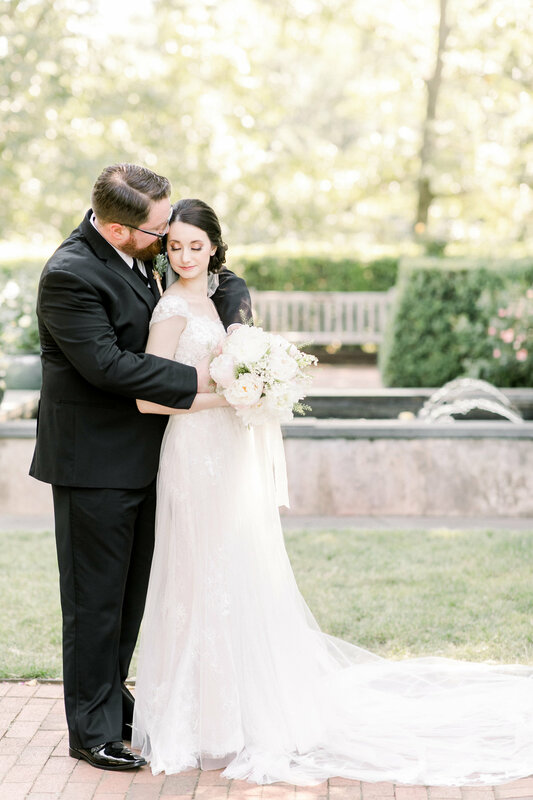 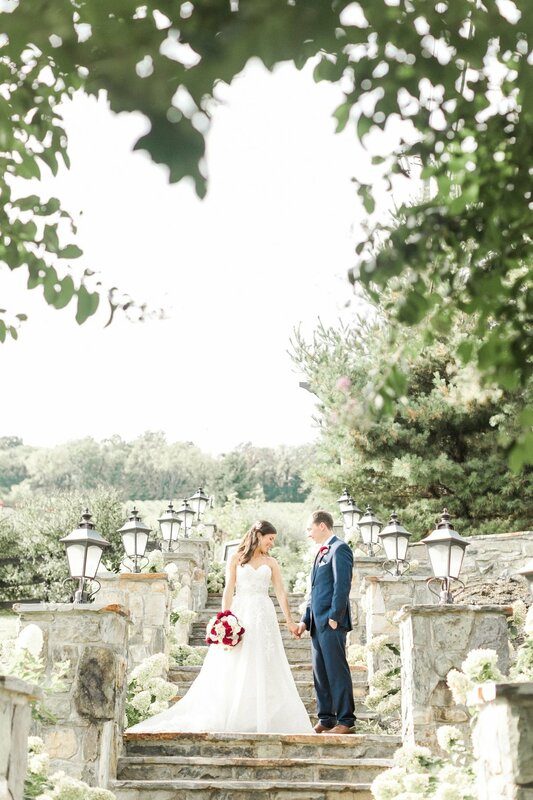 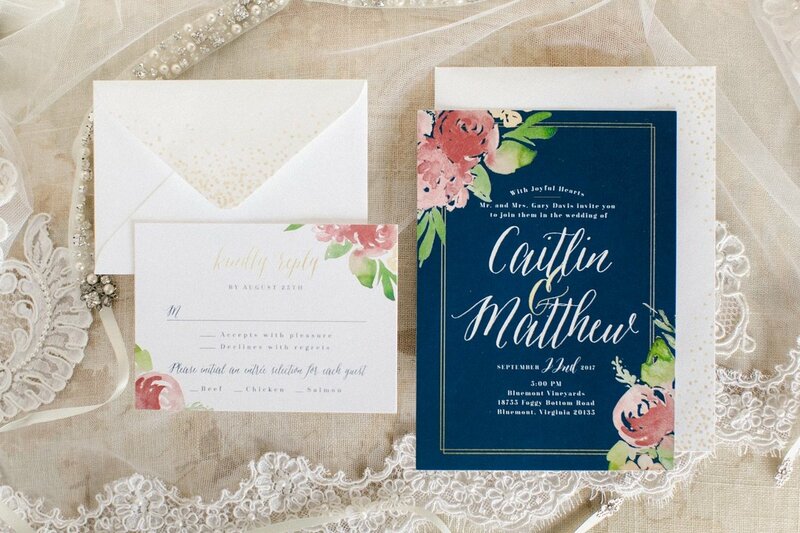 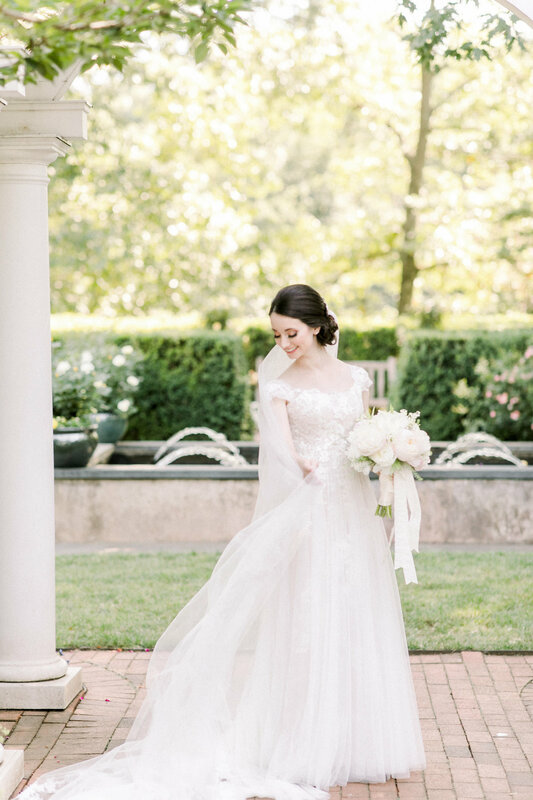 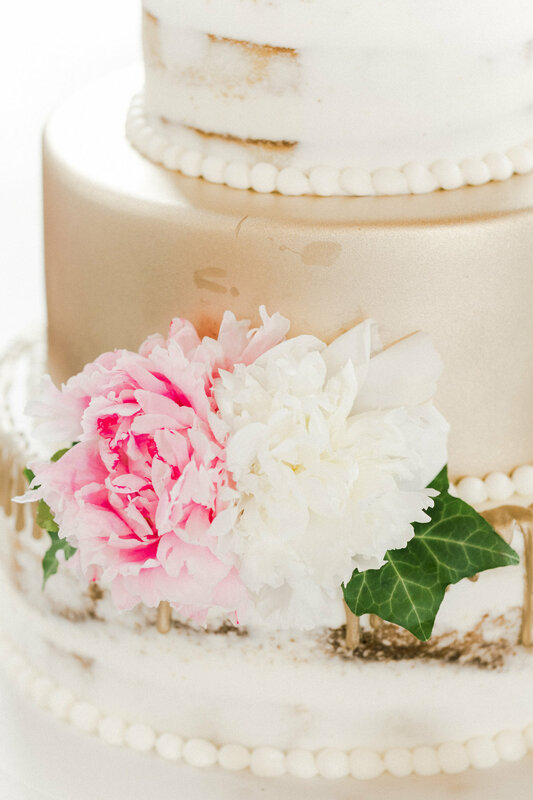 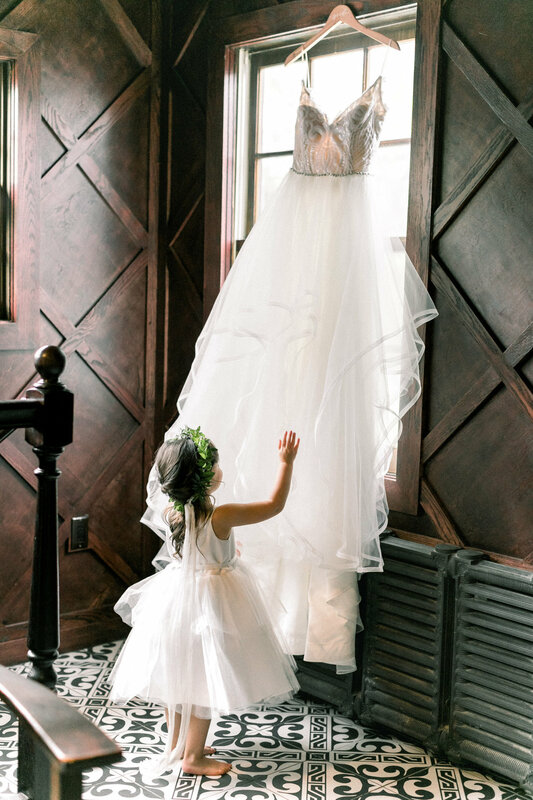 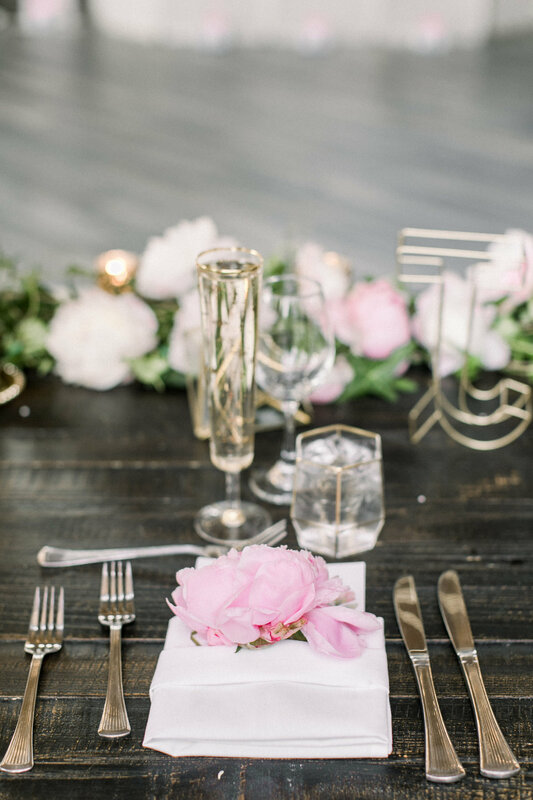 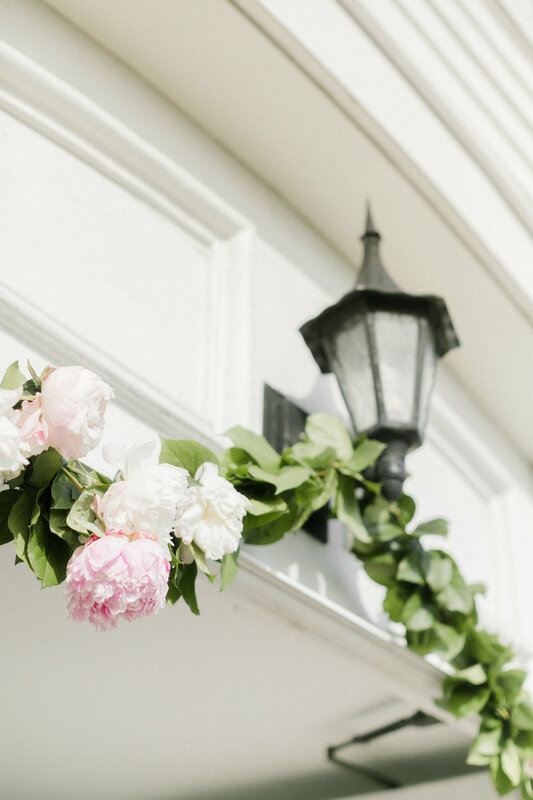 This romantic garden peony inspired wedding was a fairytale from start to finish. 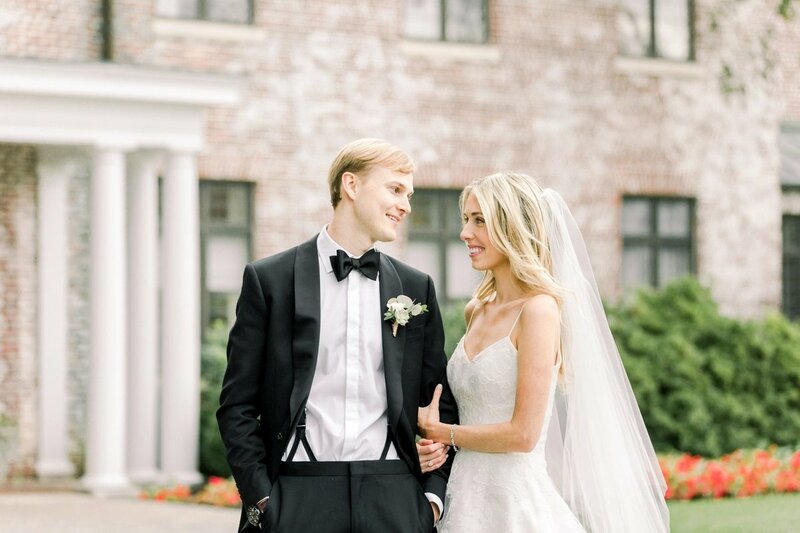 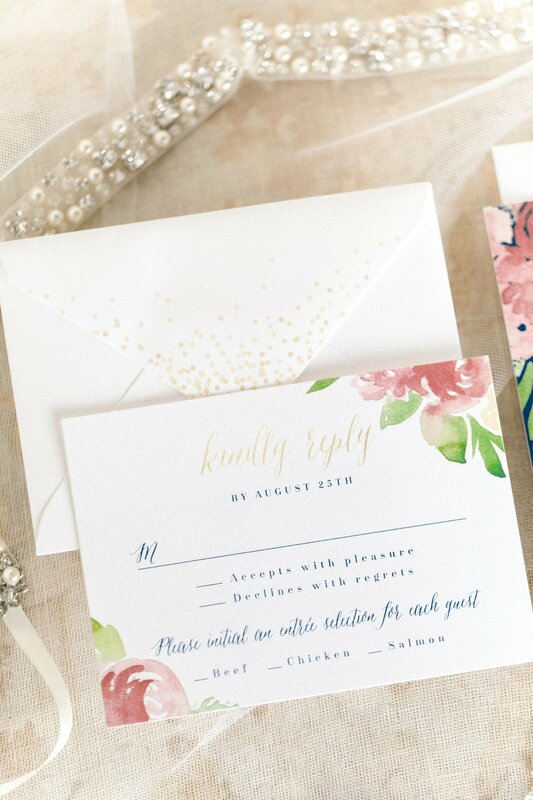 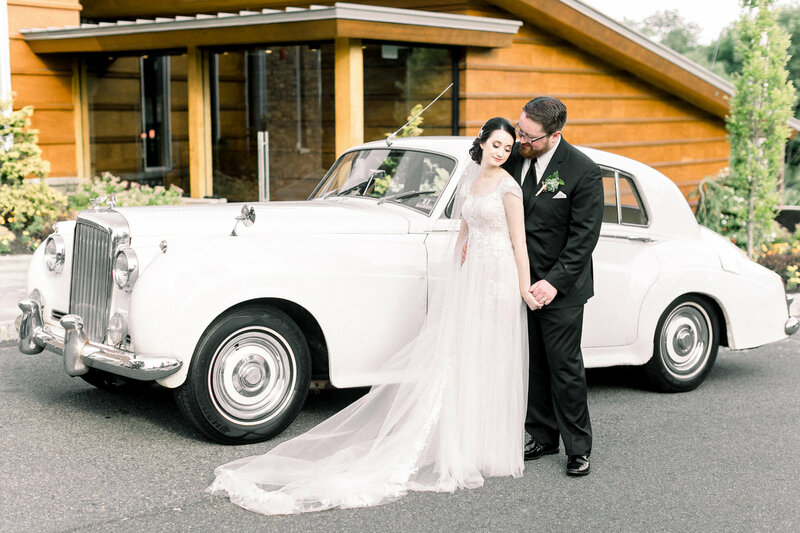 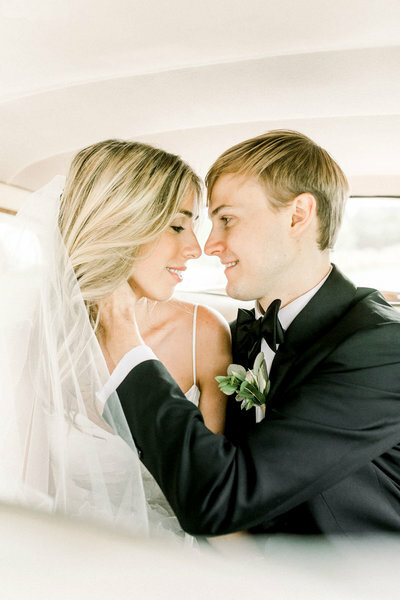 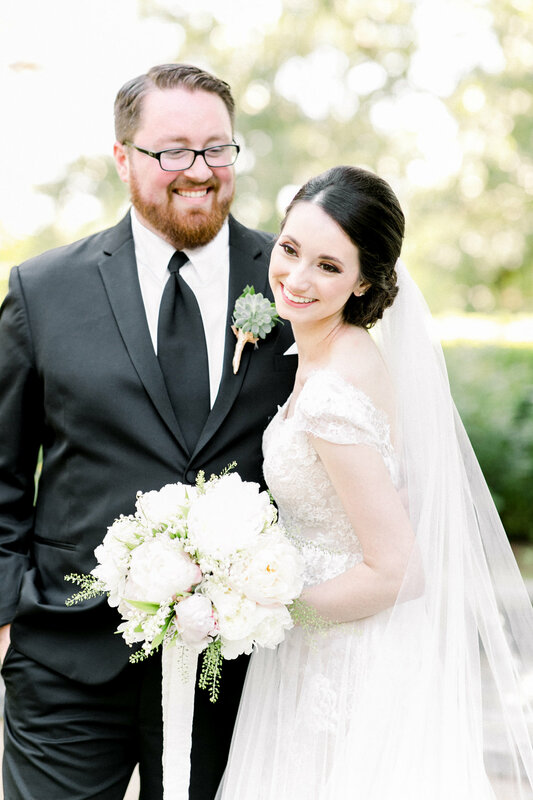 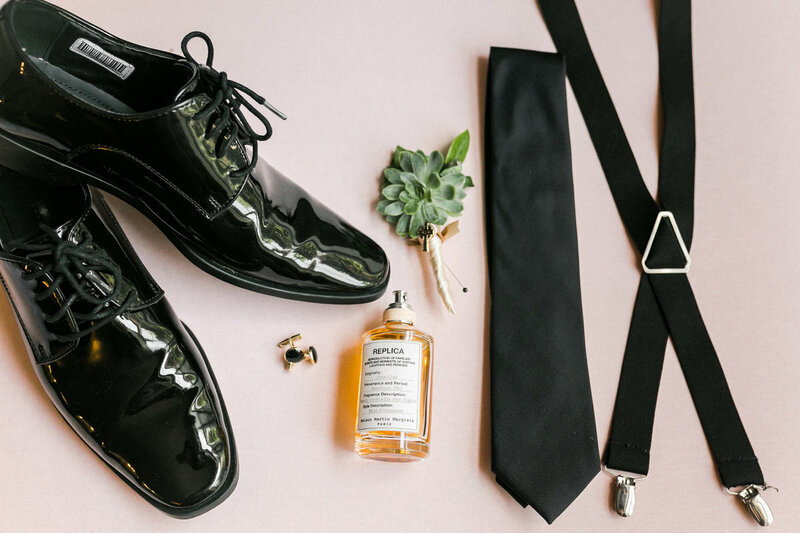 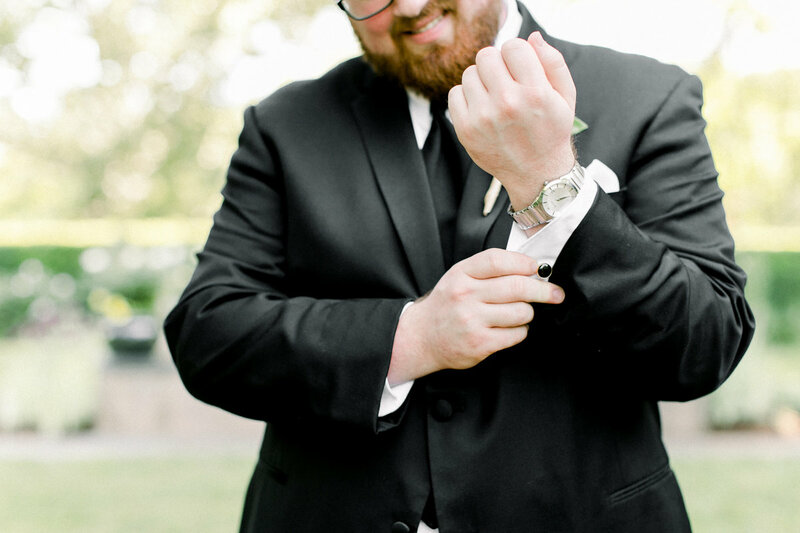 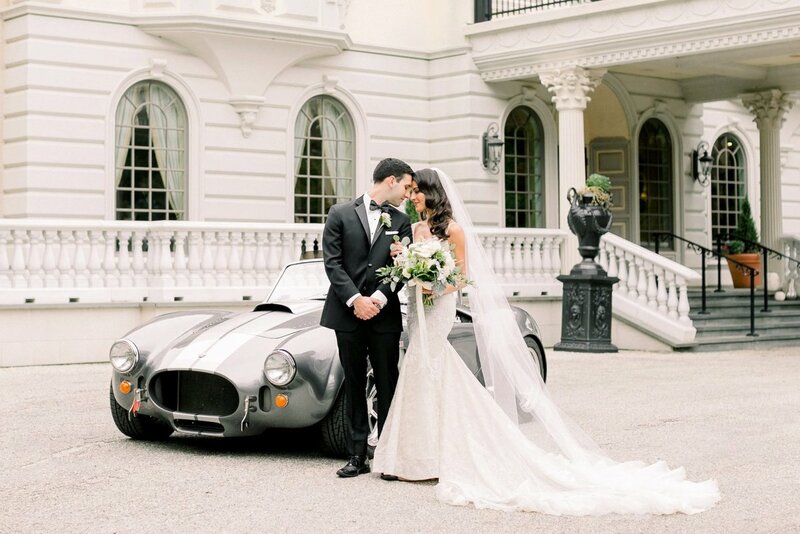 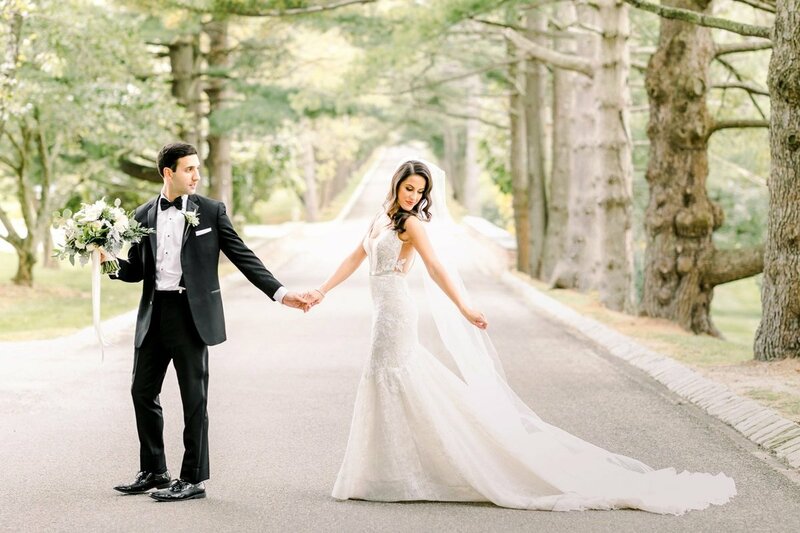 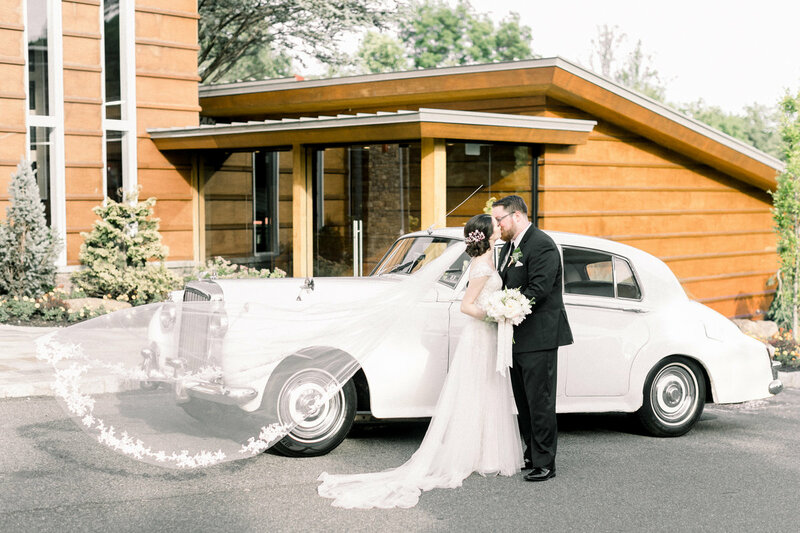 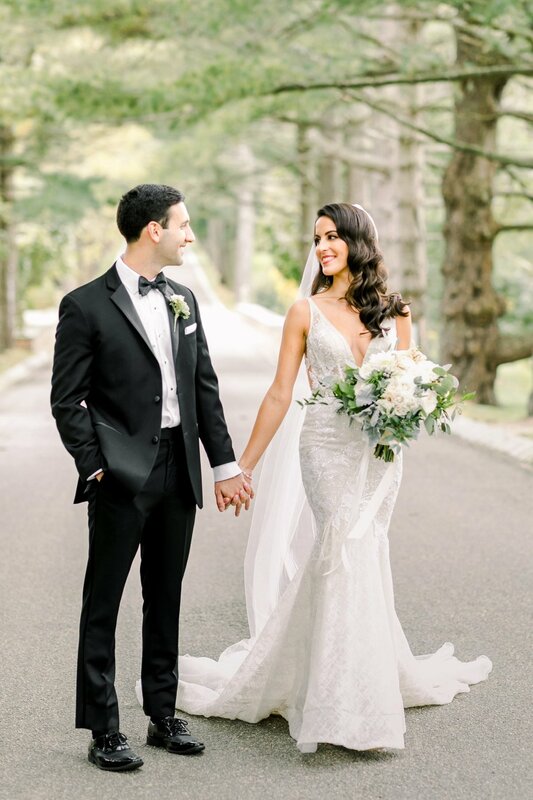 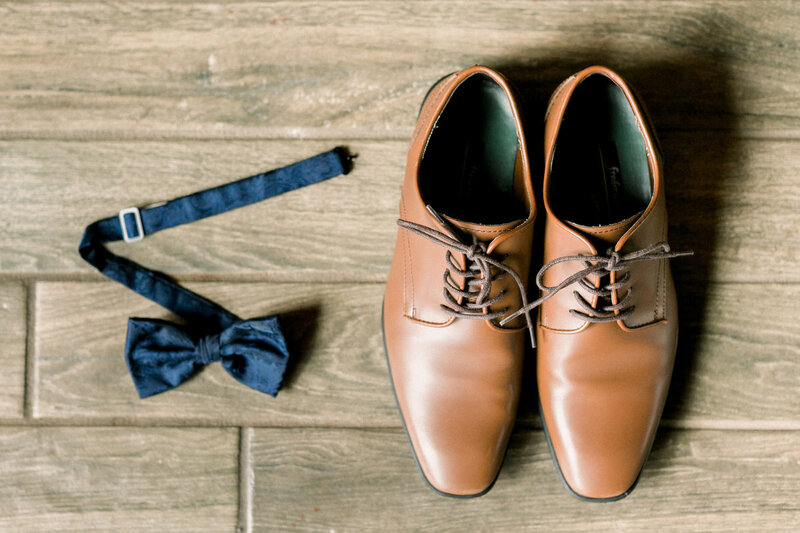 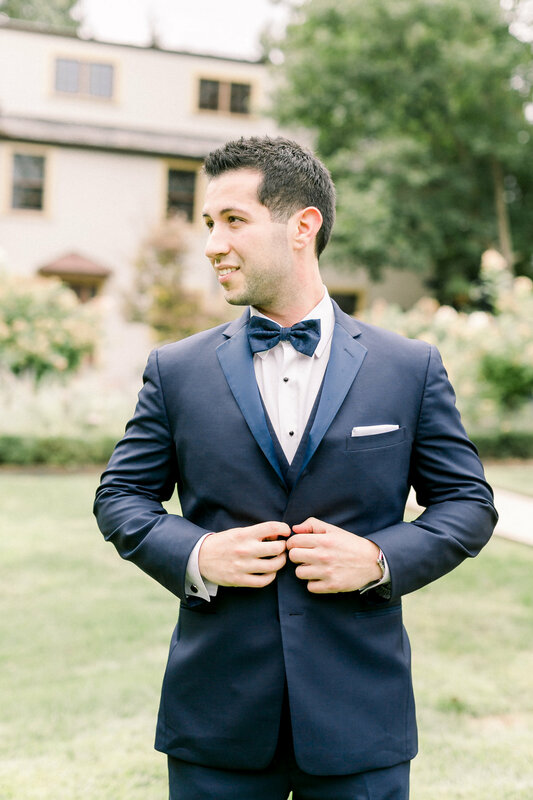 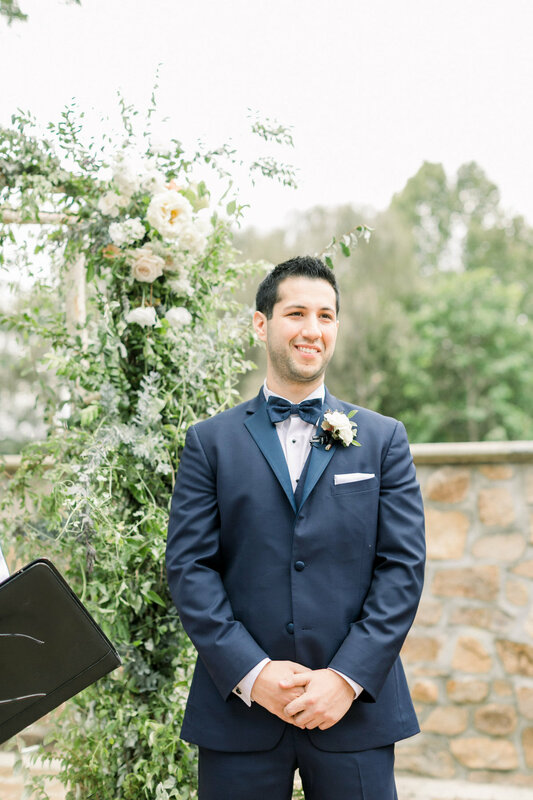 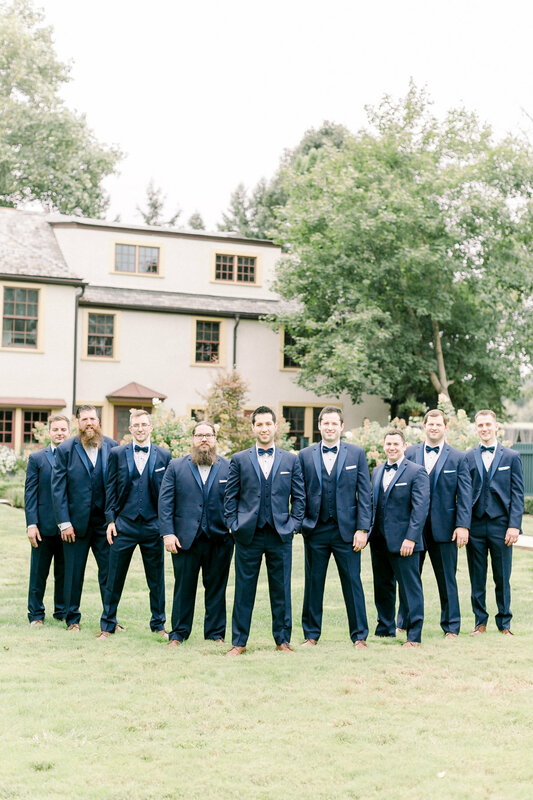 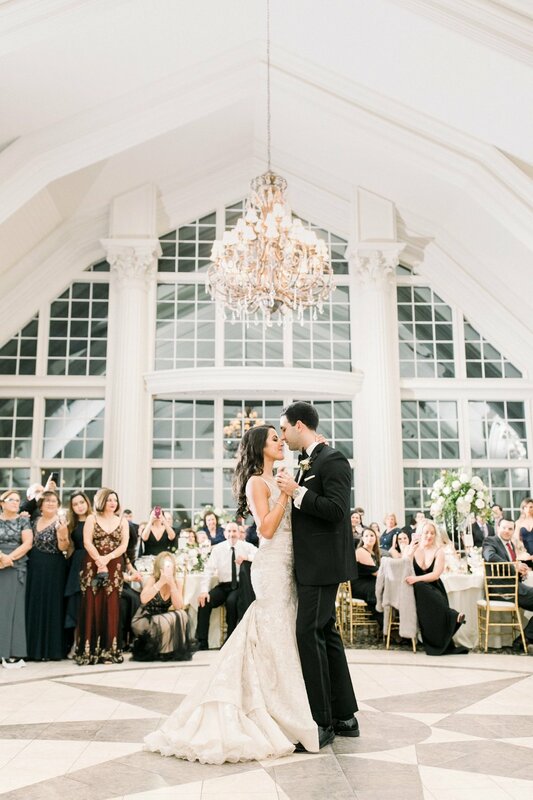 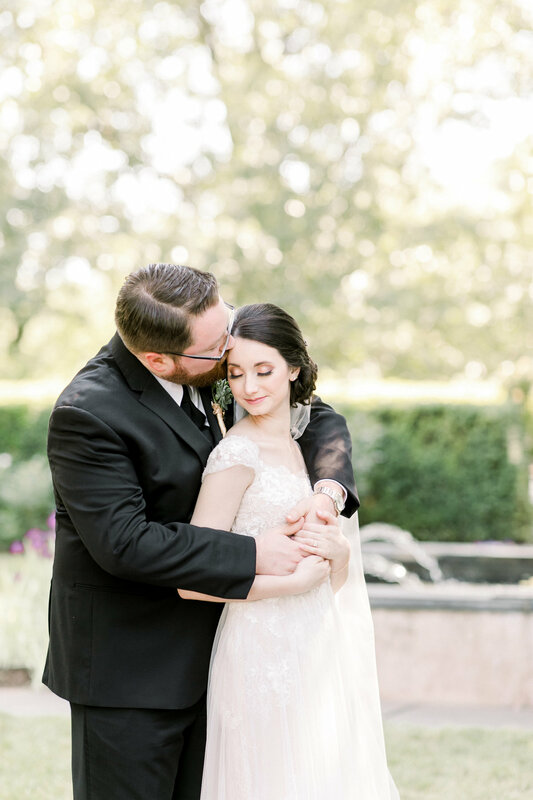 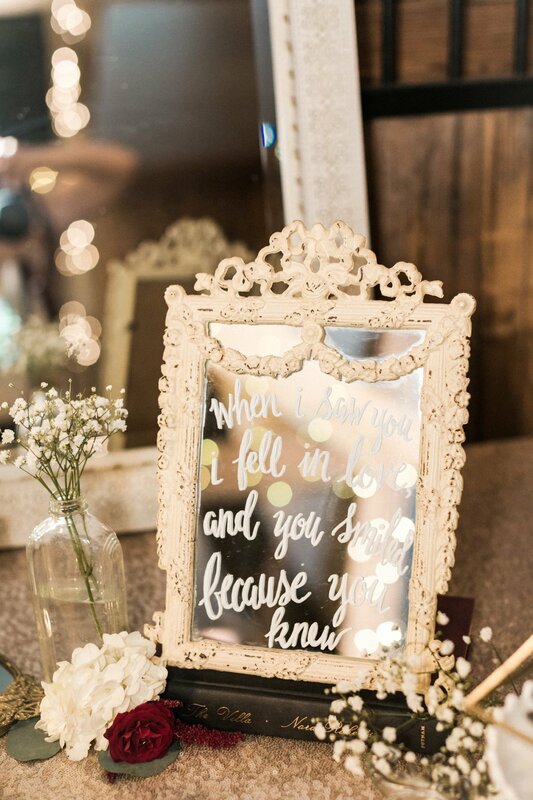 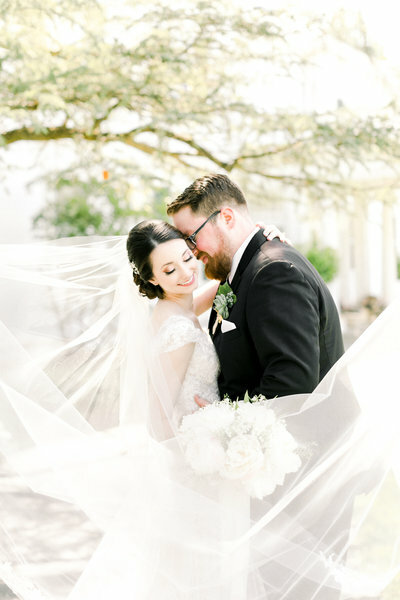 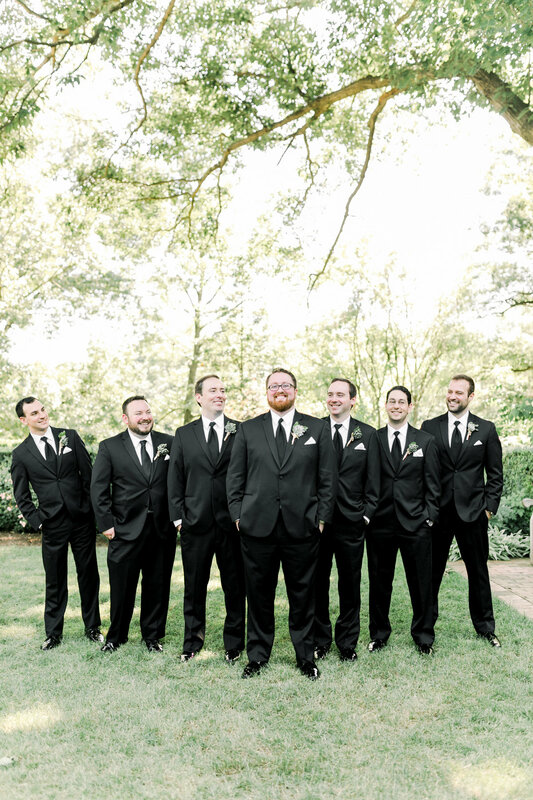 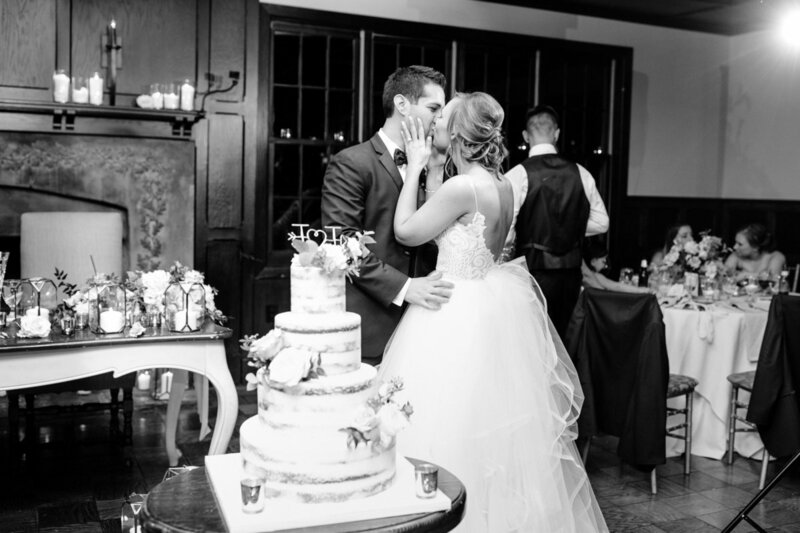 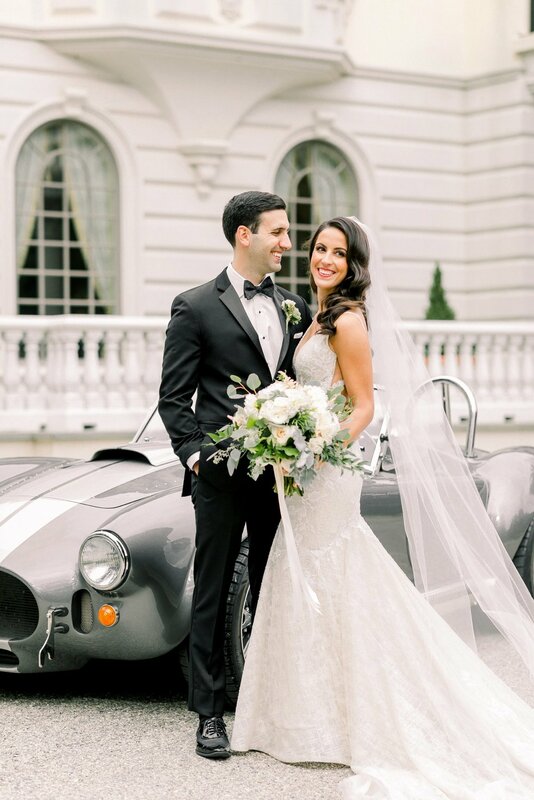 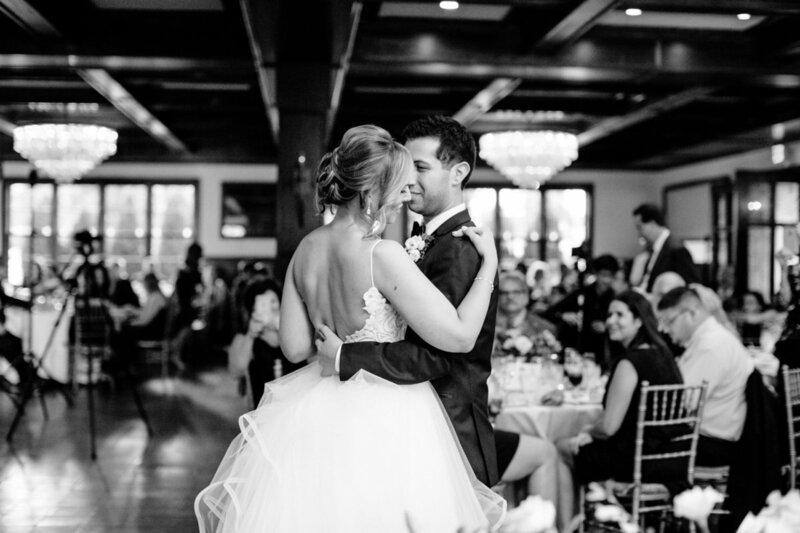 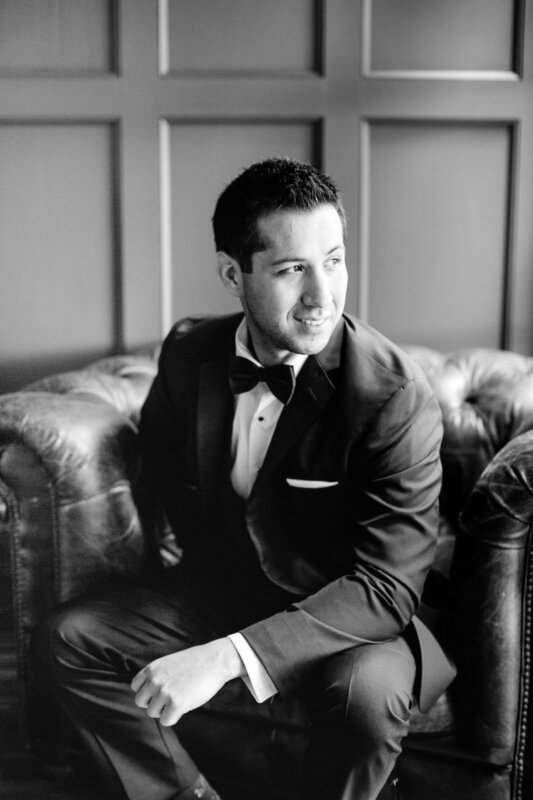 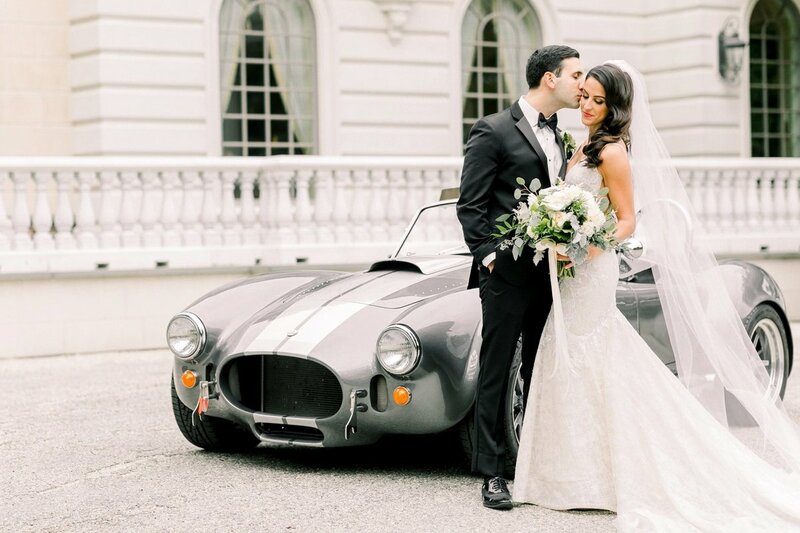 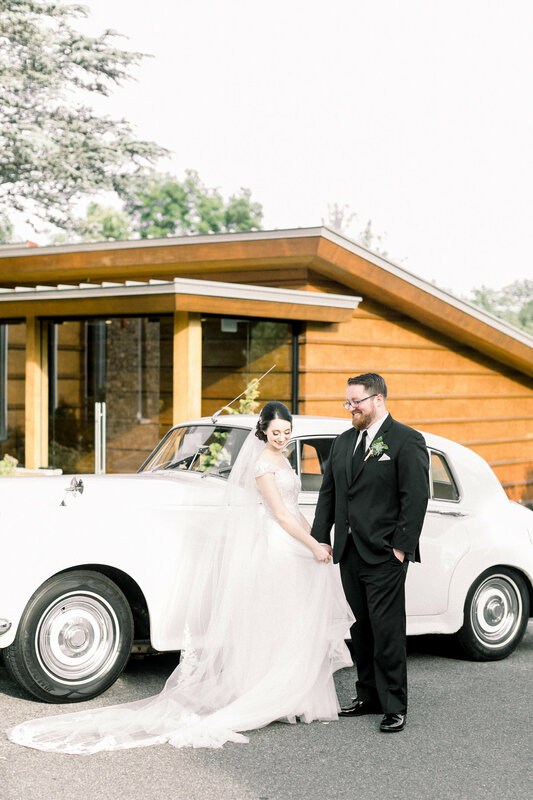 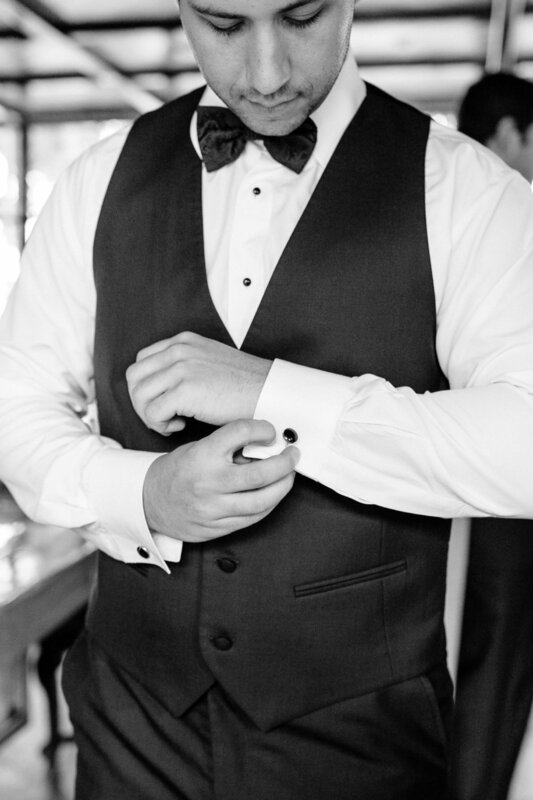 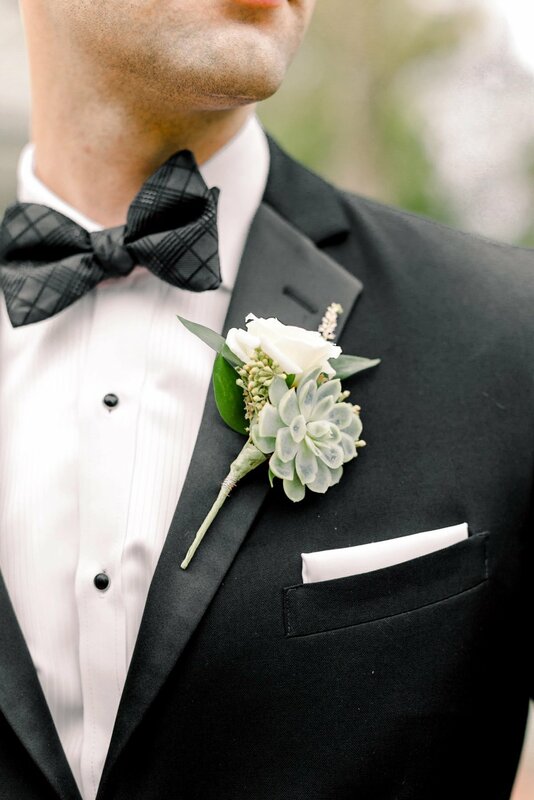 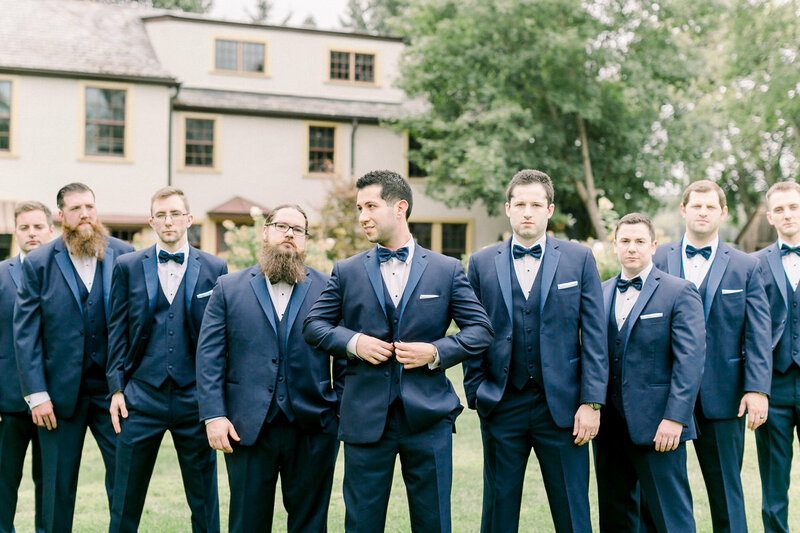 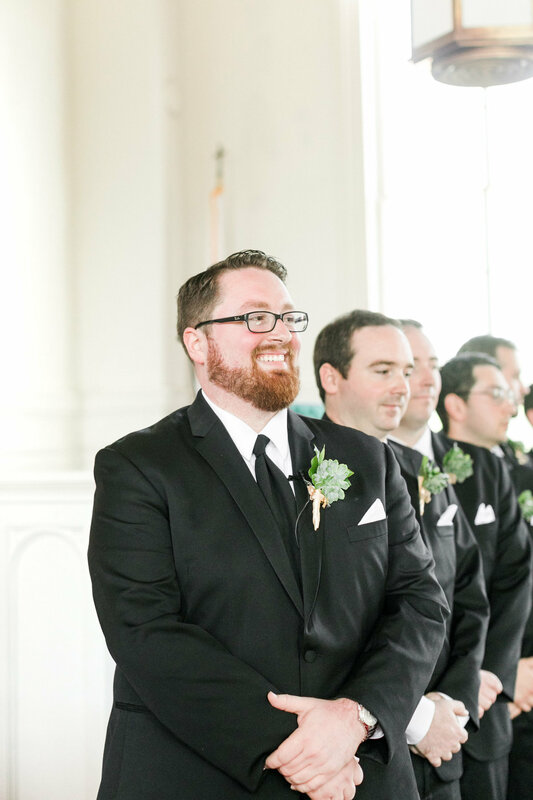 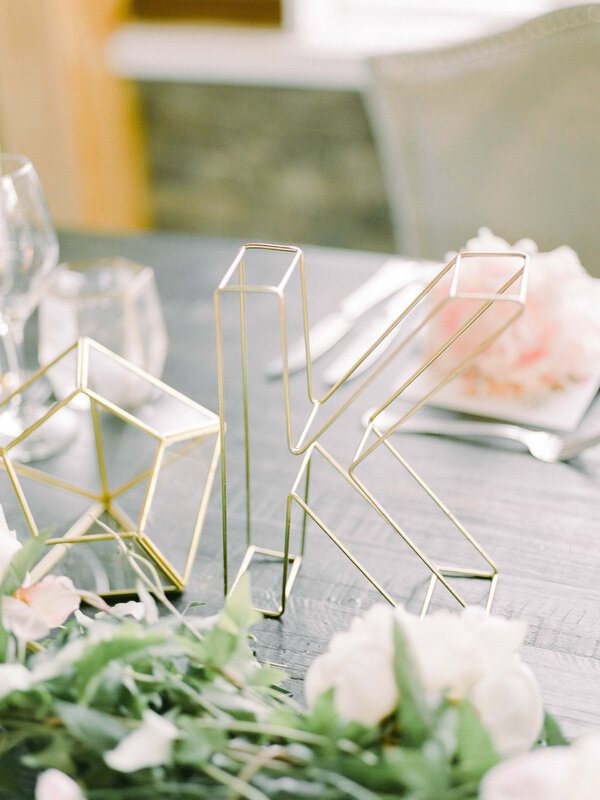 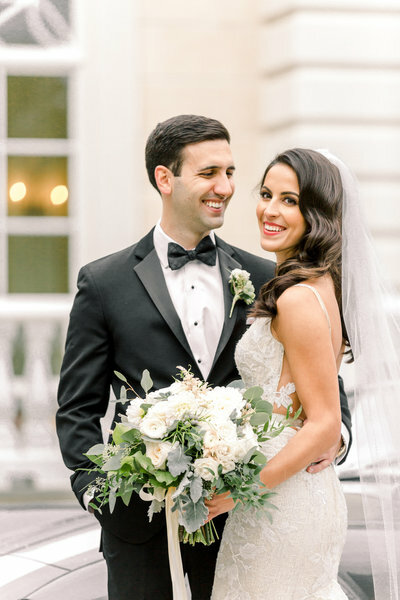 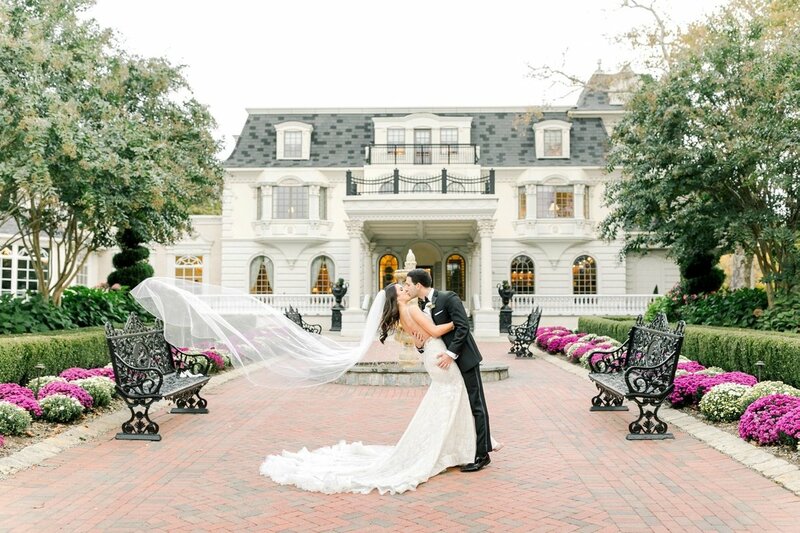 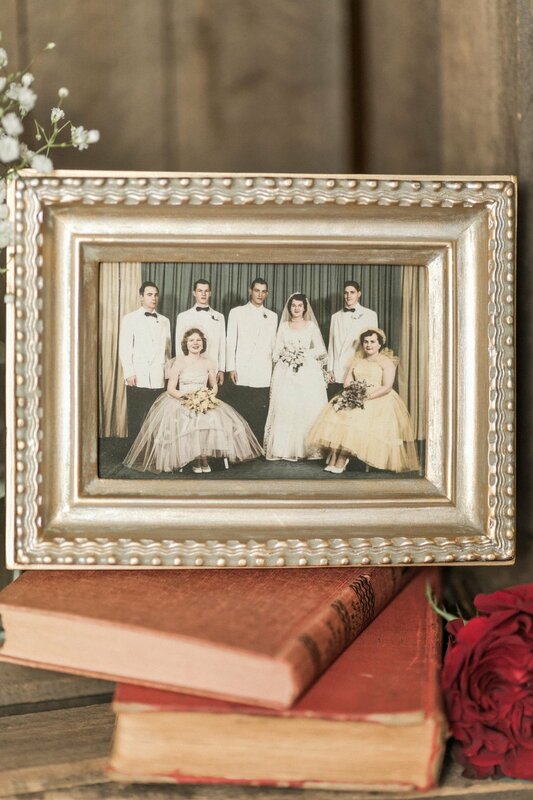 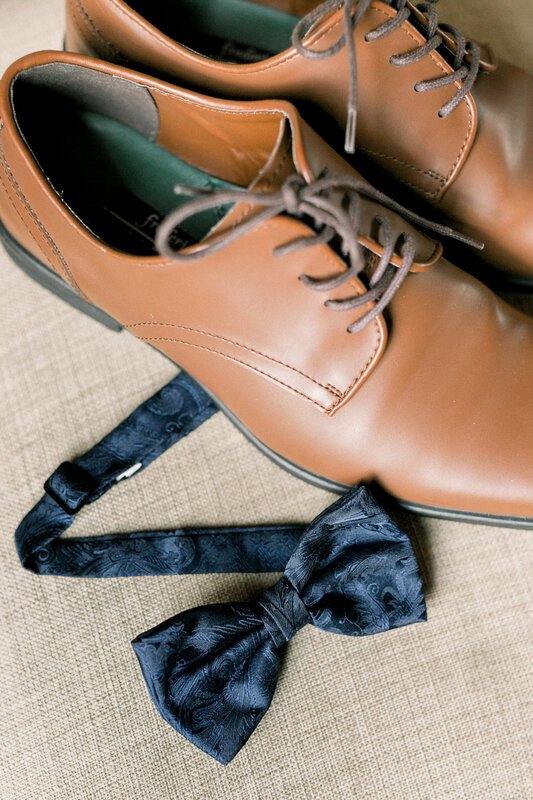 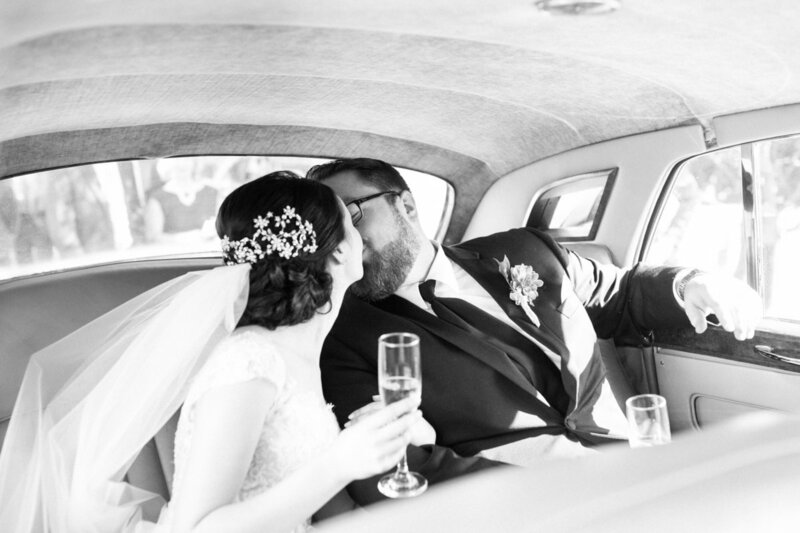 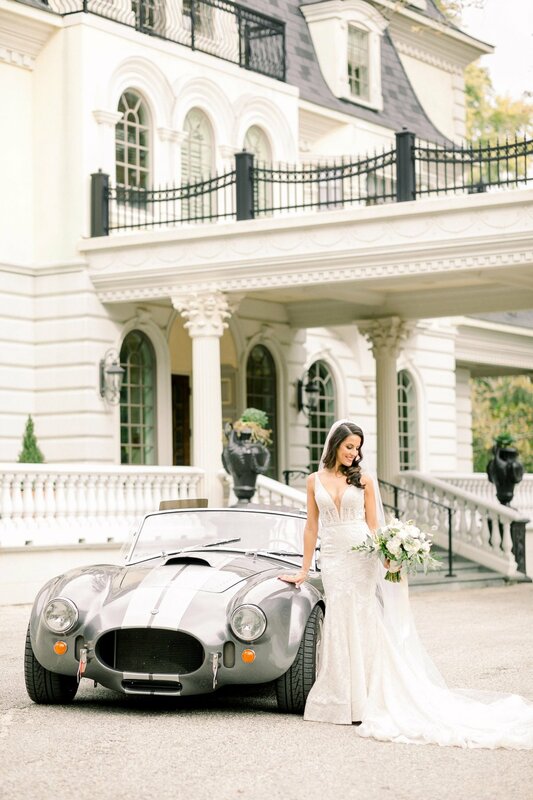 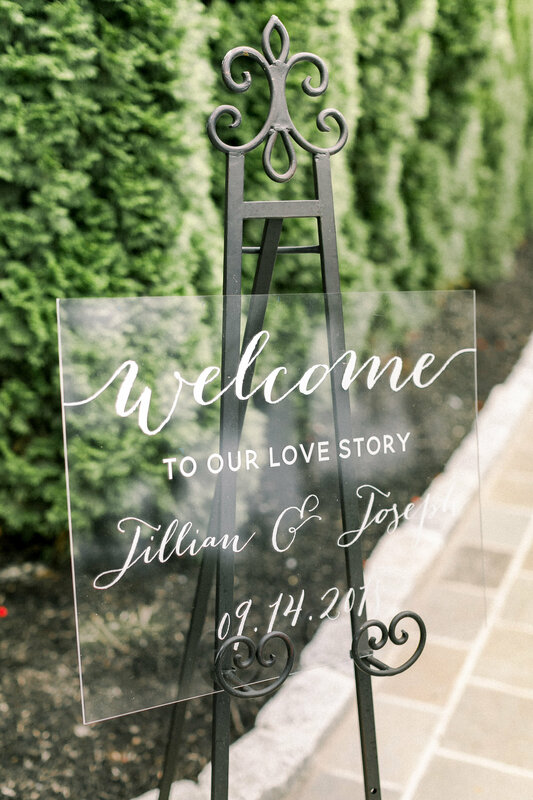 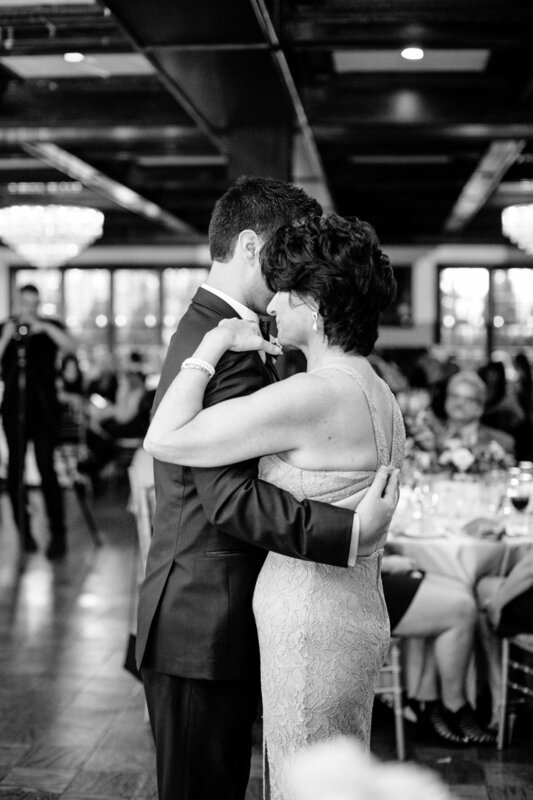 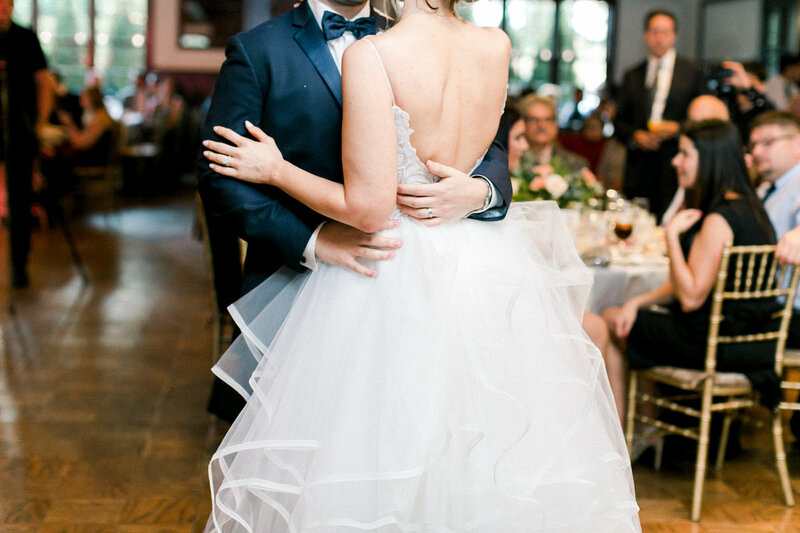 Their wedding was traditional with modern touches. 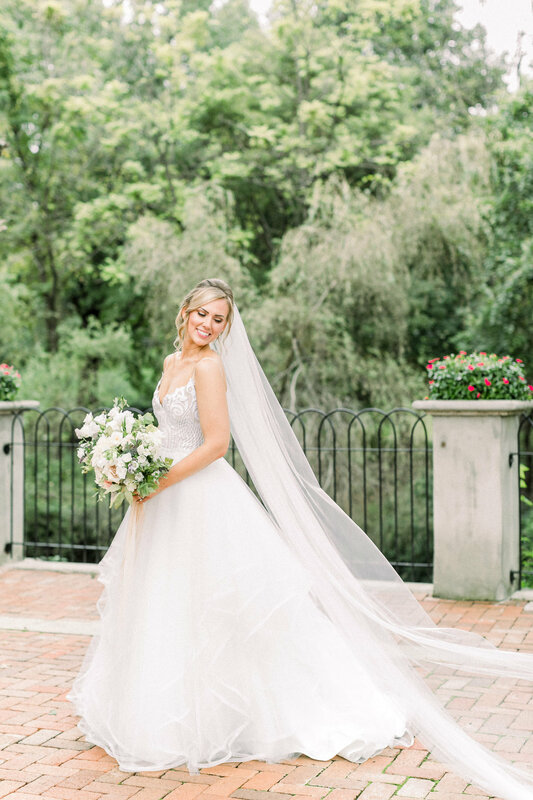 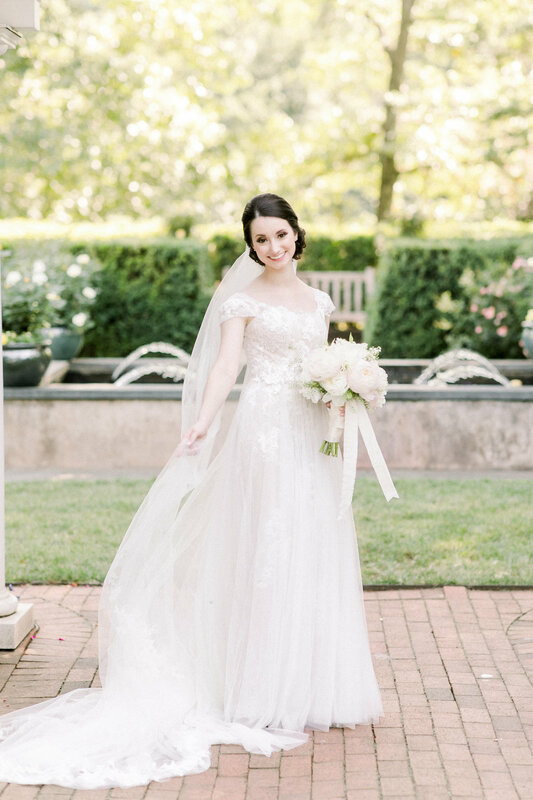 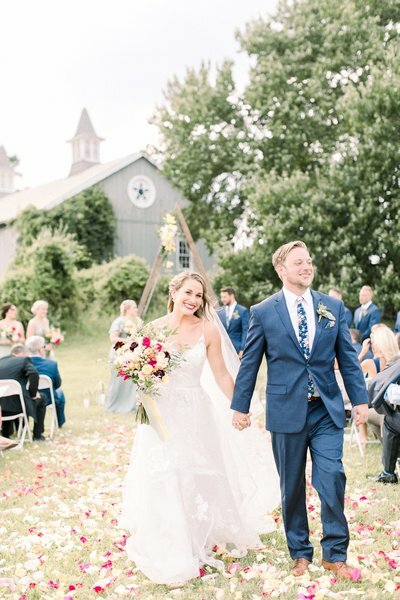 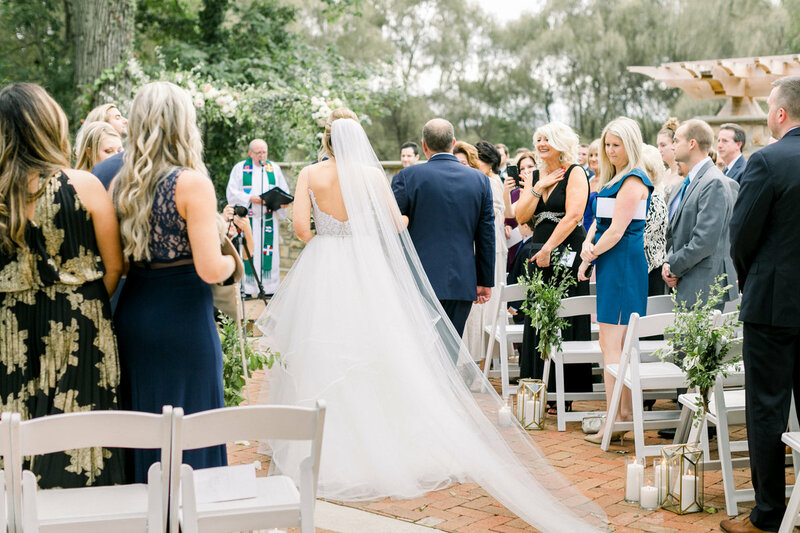 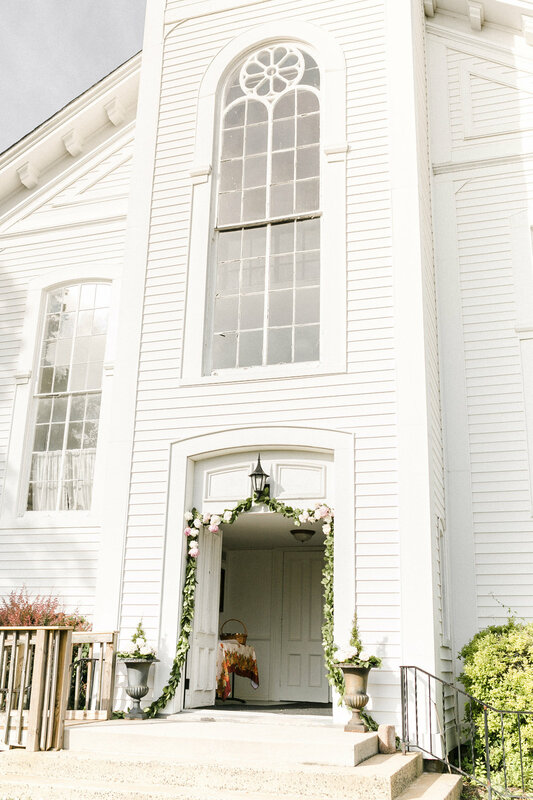 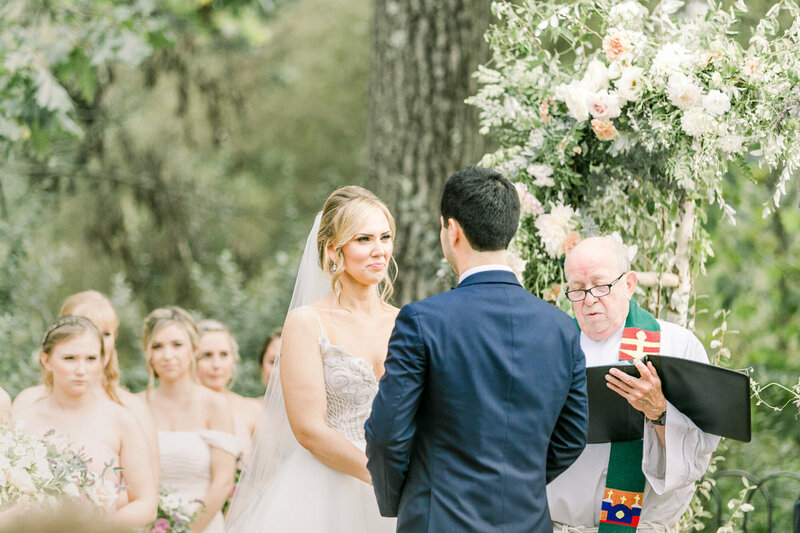 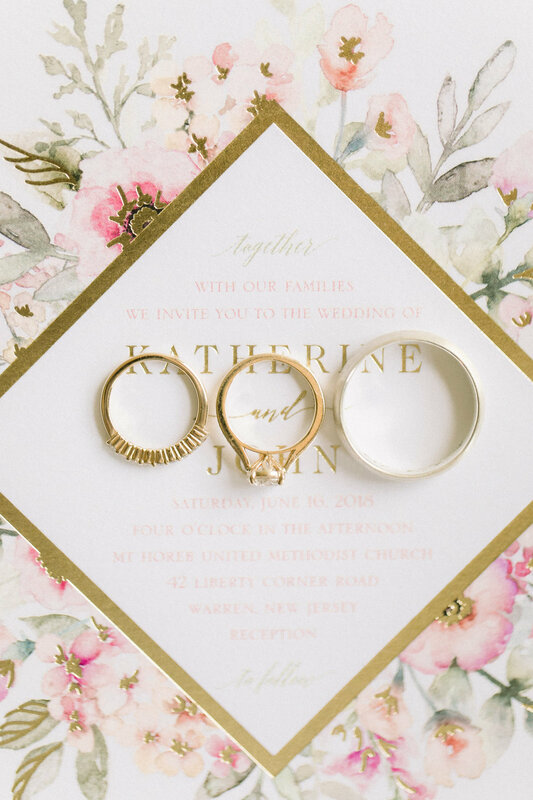 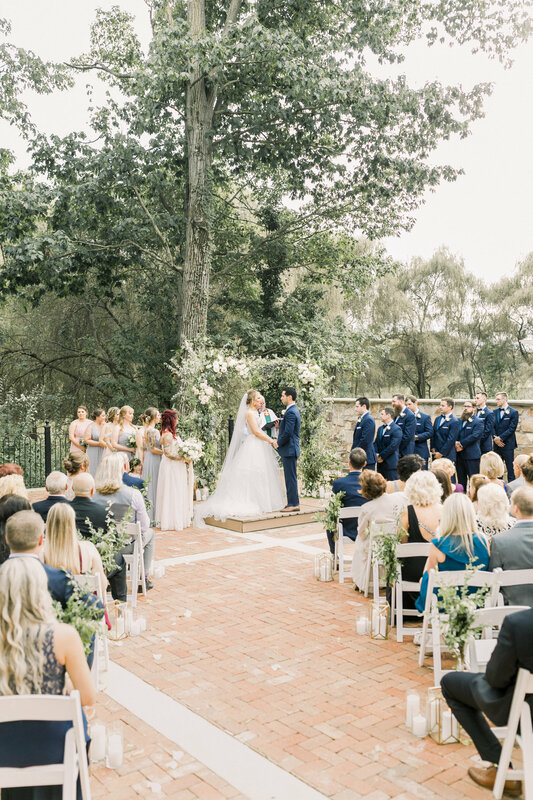 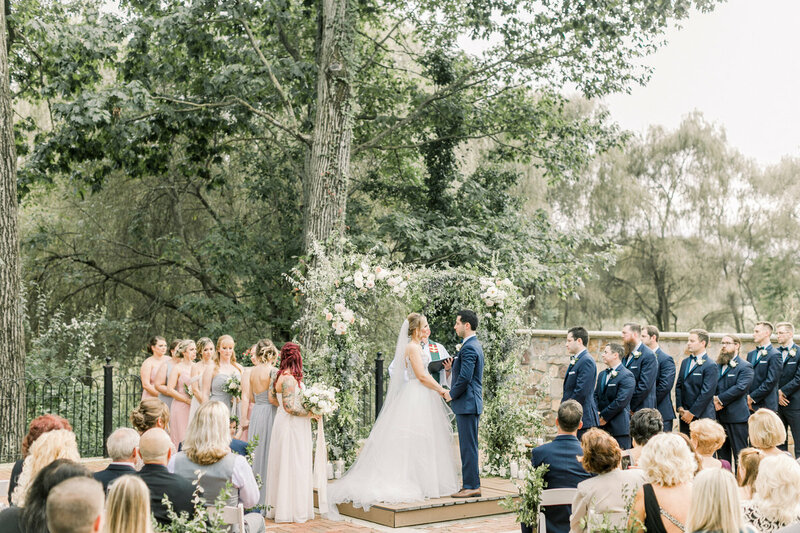 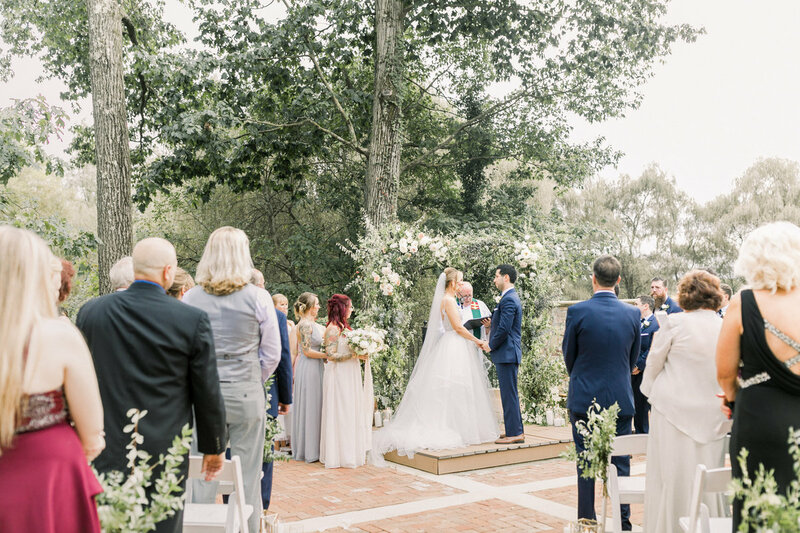 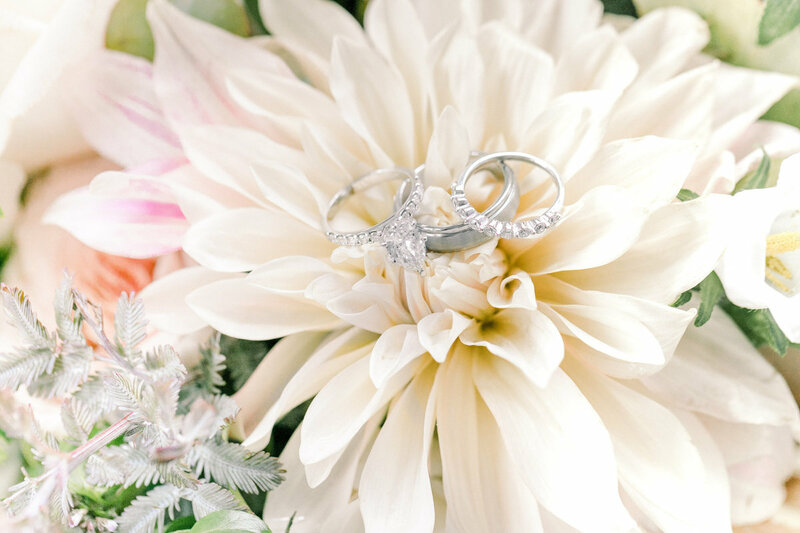 They shared a private first look in a secret garden, Kate walked down the aisle to the theme song from, Pride & Prejudice with her grandmothers bible. 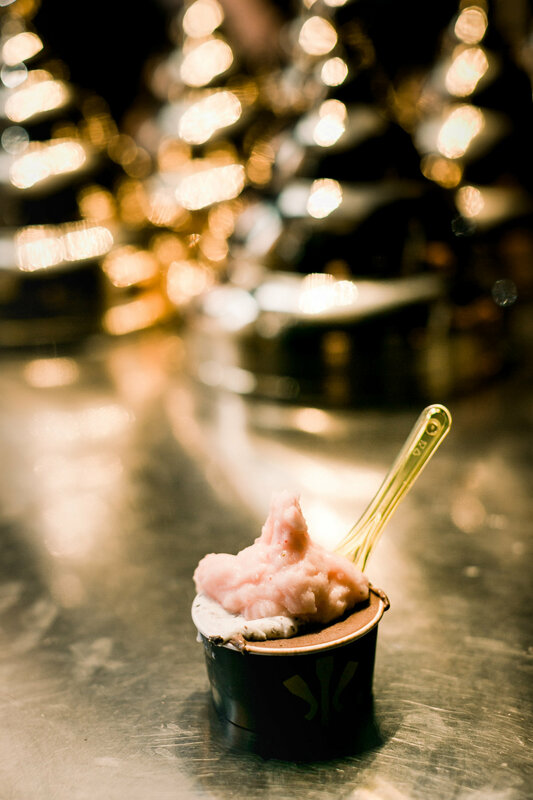 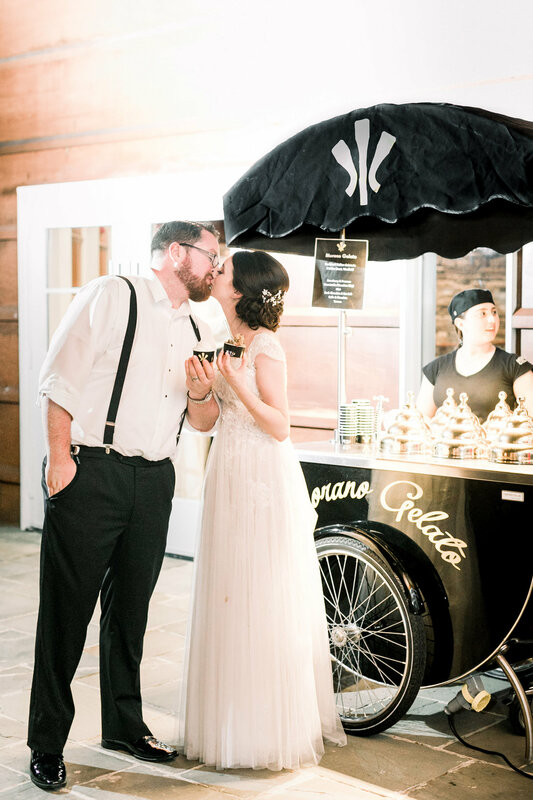 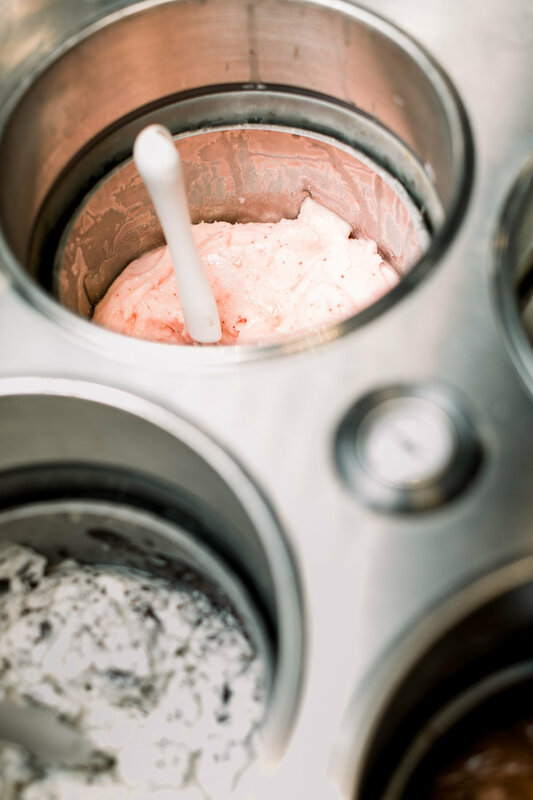 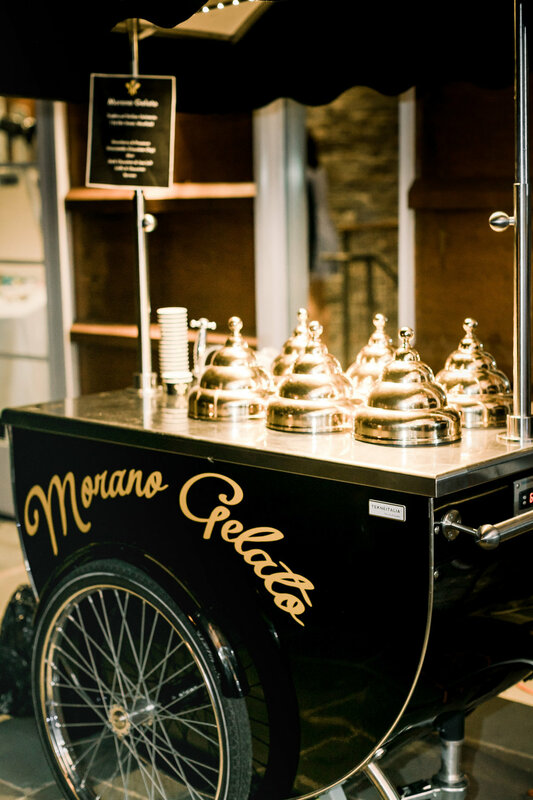 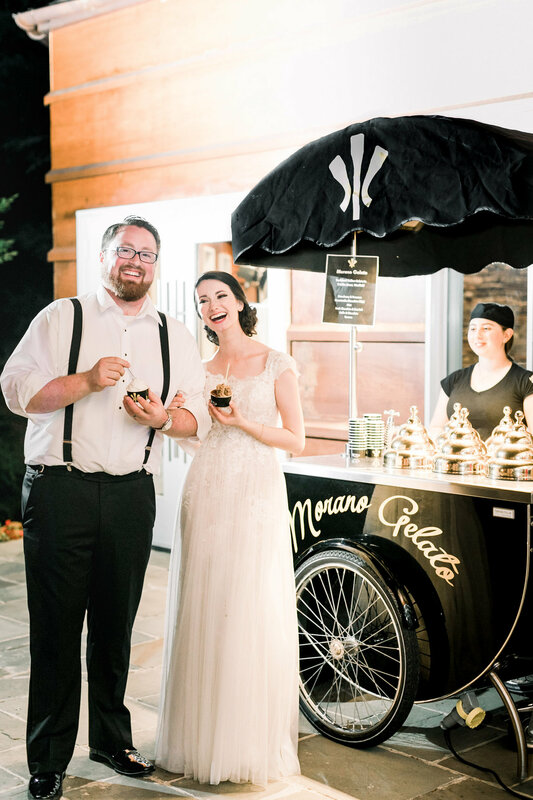 And they surprised all of their wedding guests with Italian gelato at the end of the night! 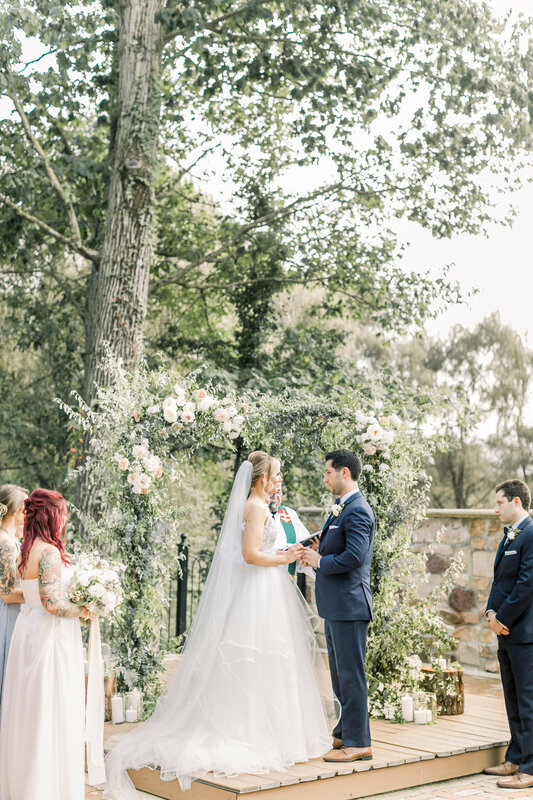 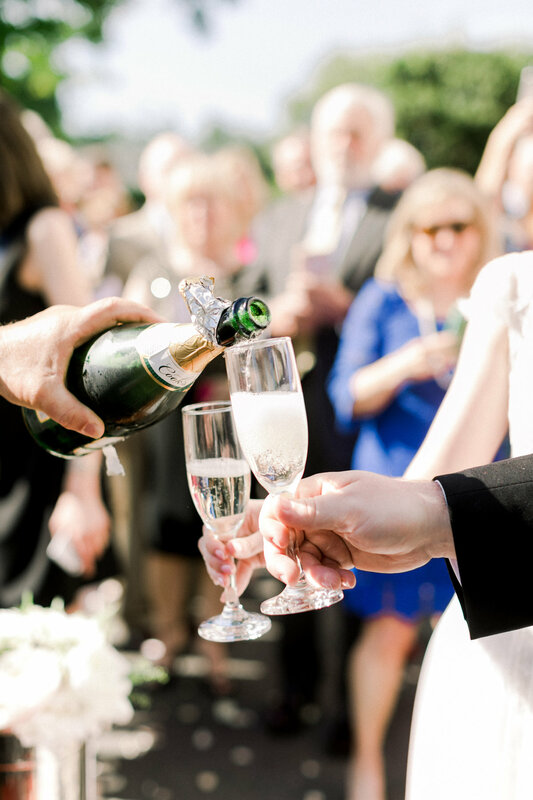 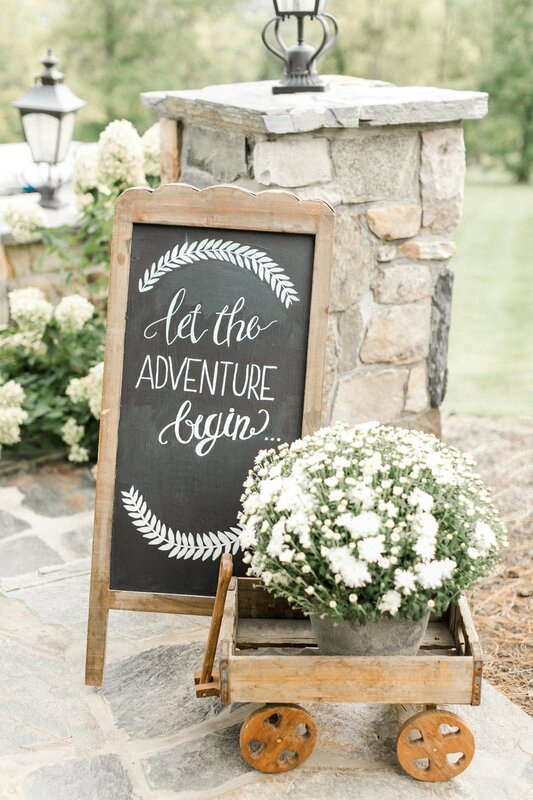 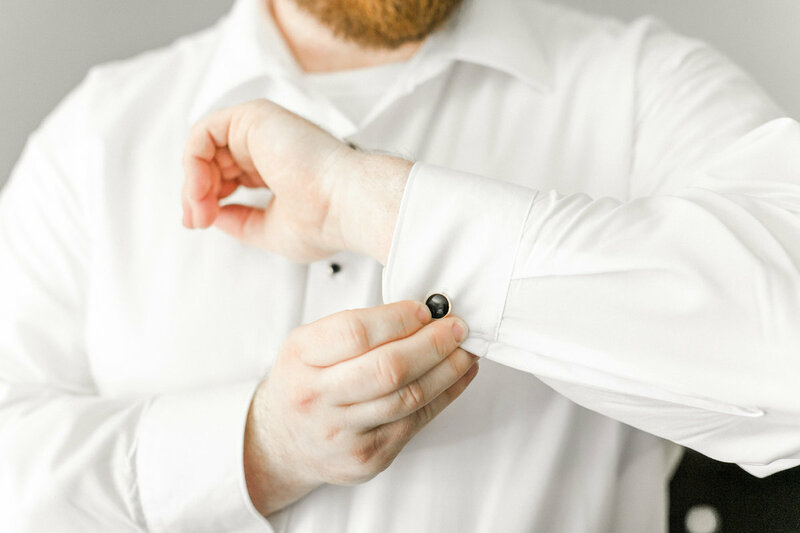 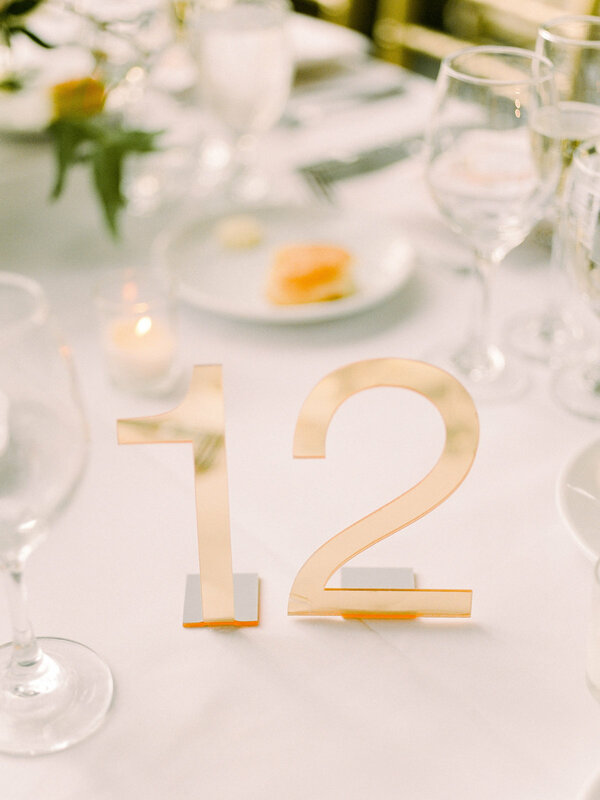 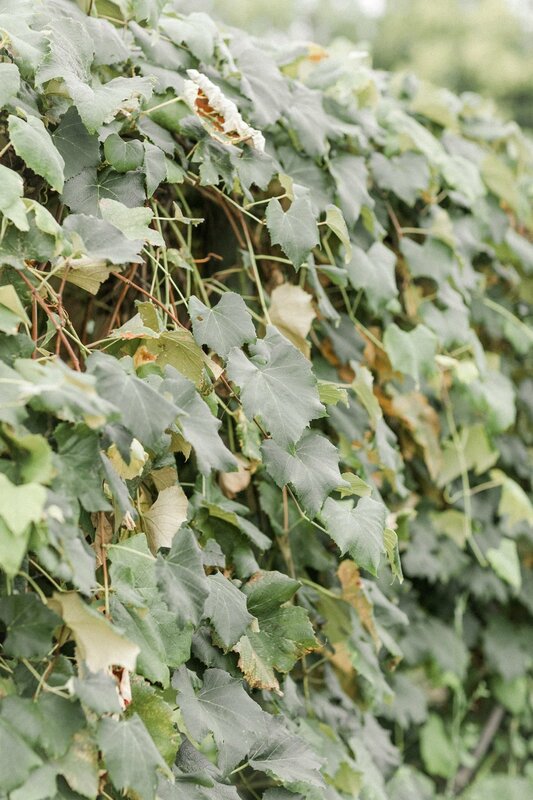 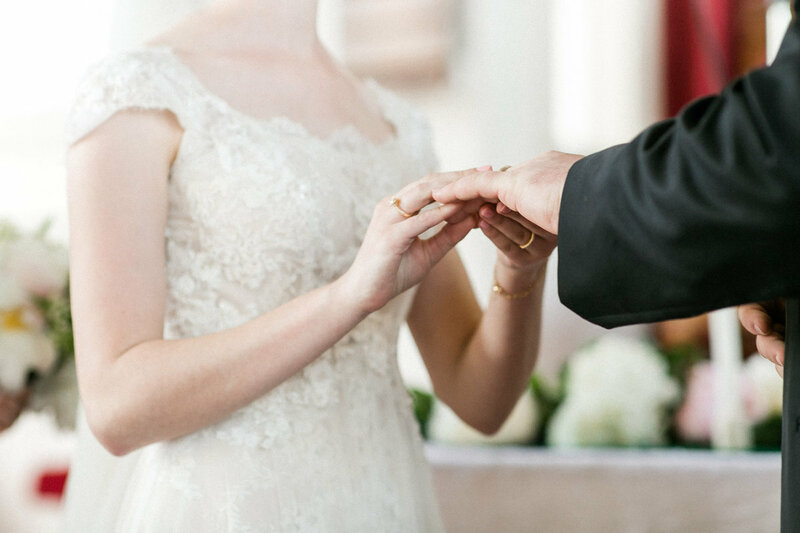 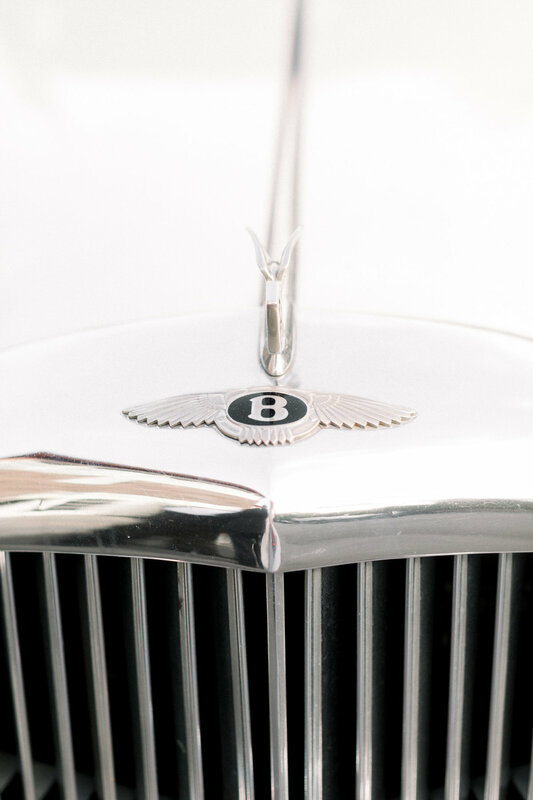 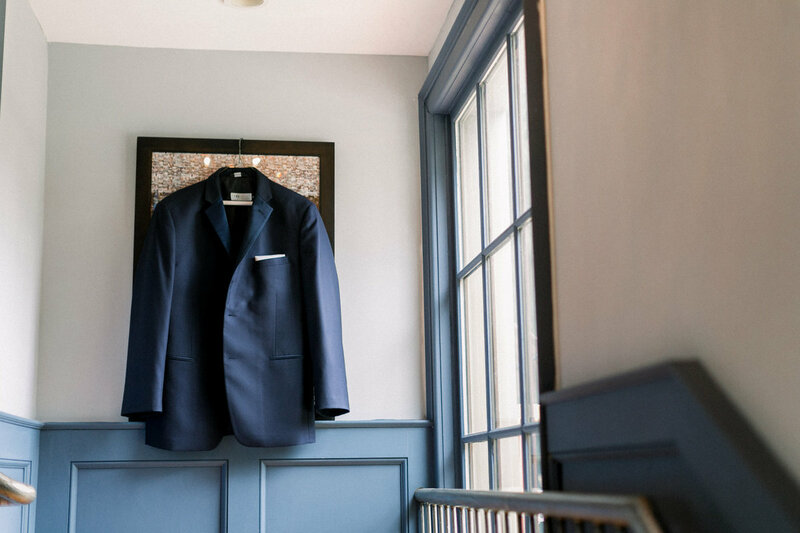 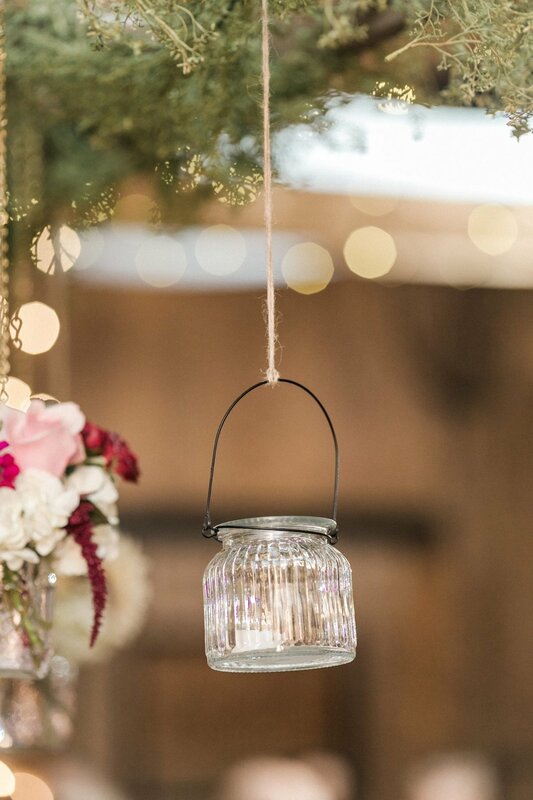 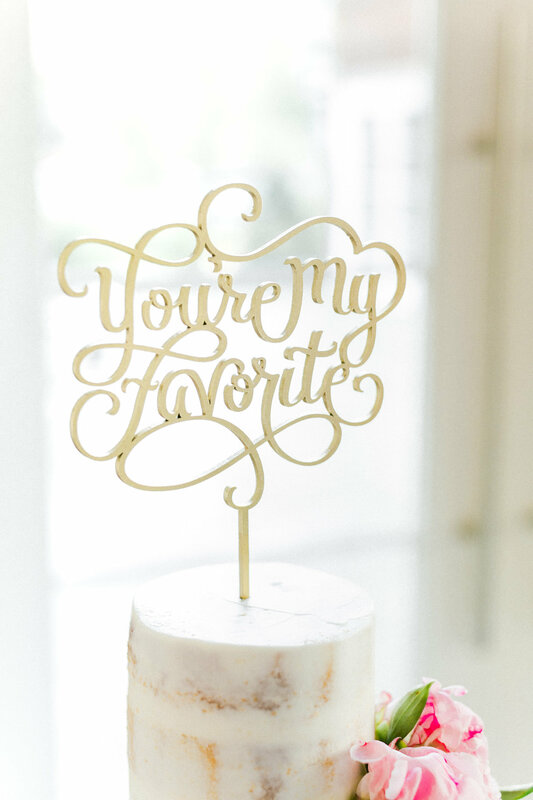 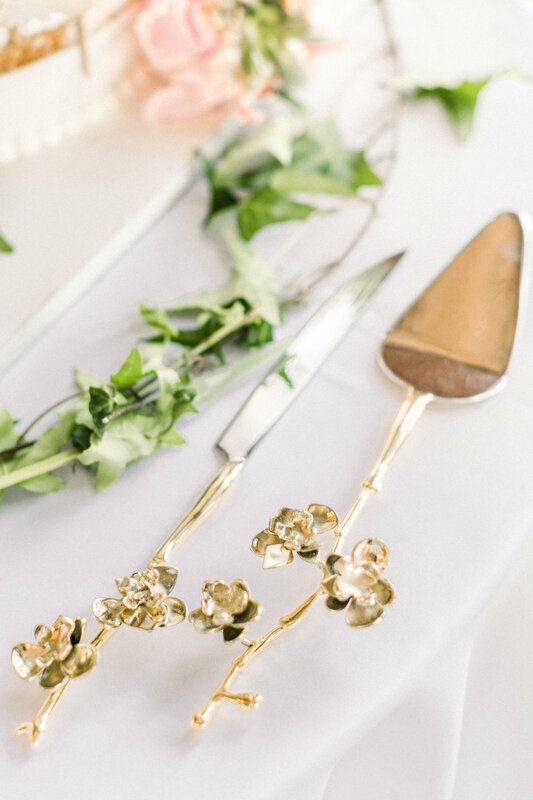 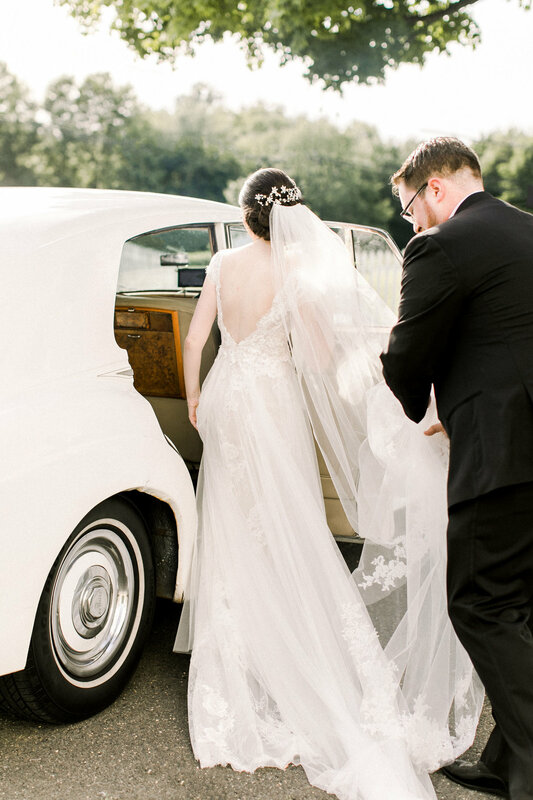 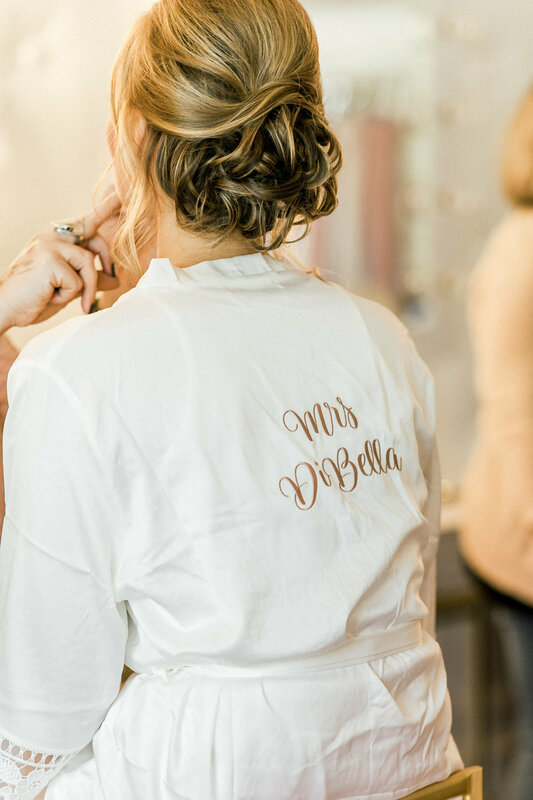 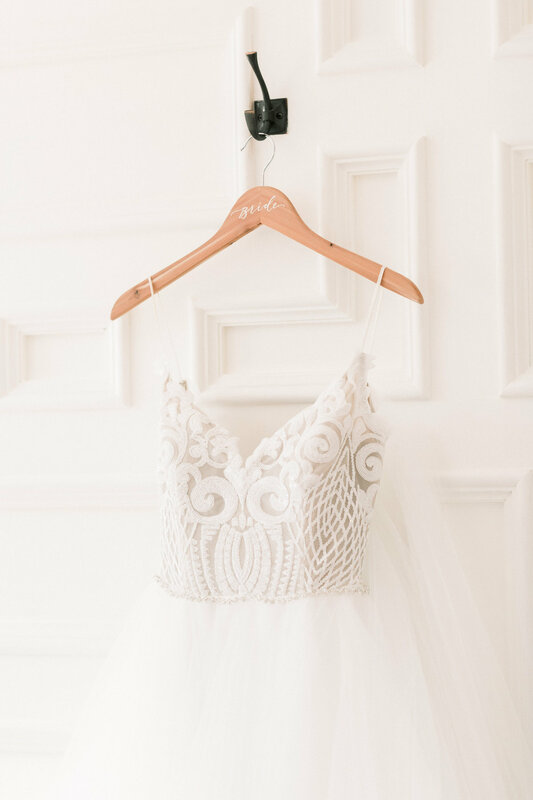 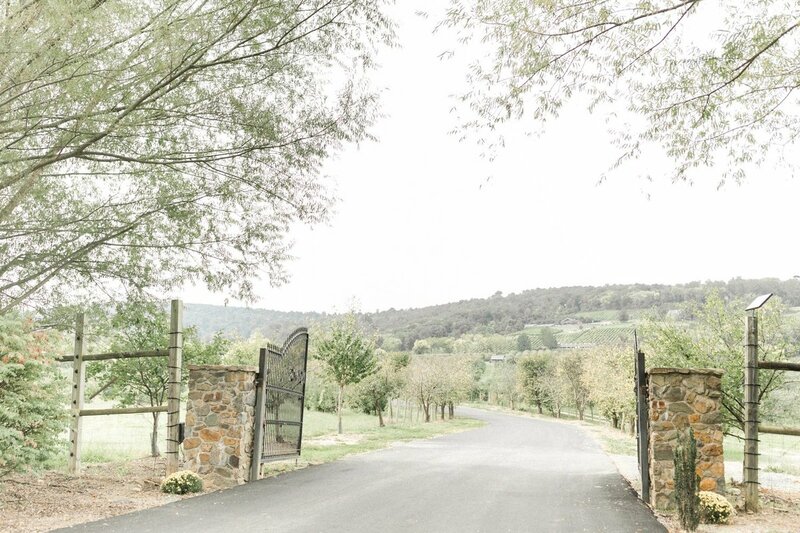 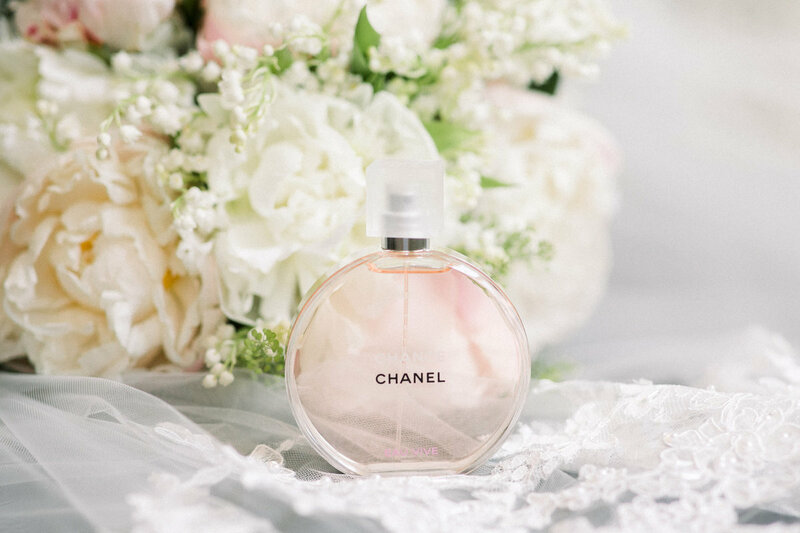 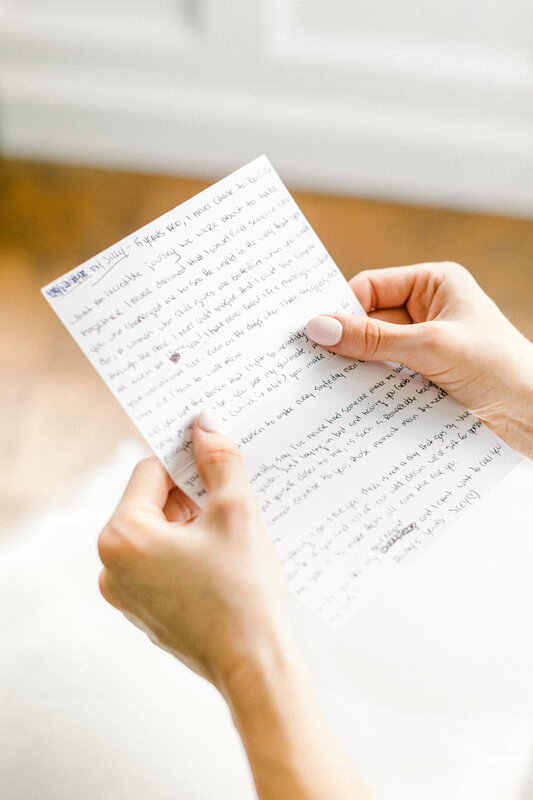 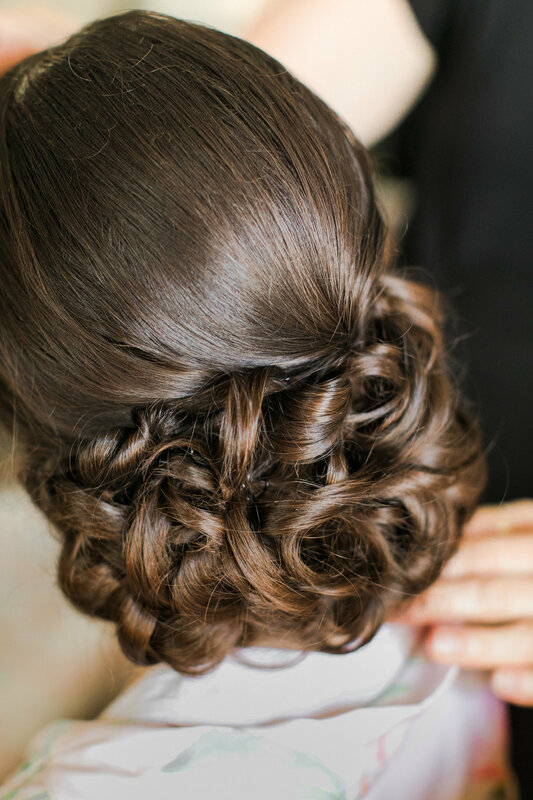 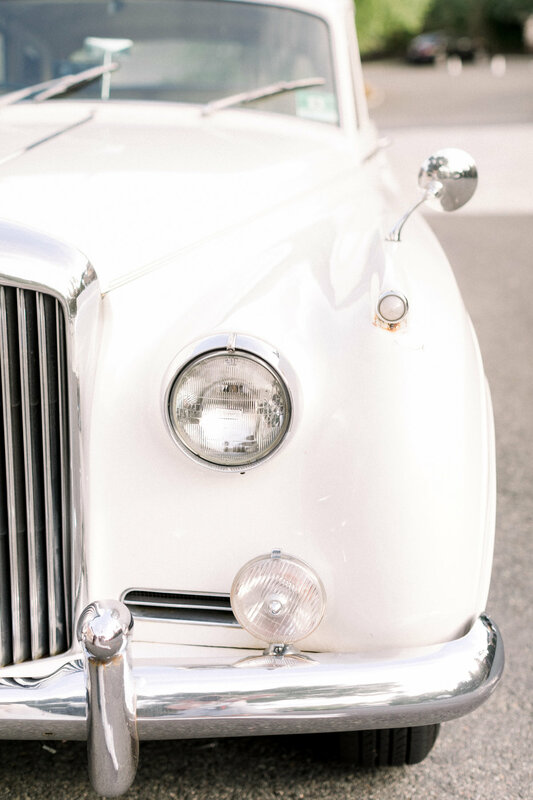 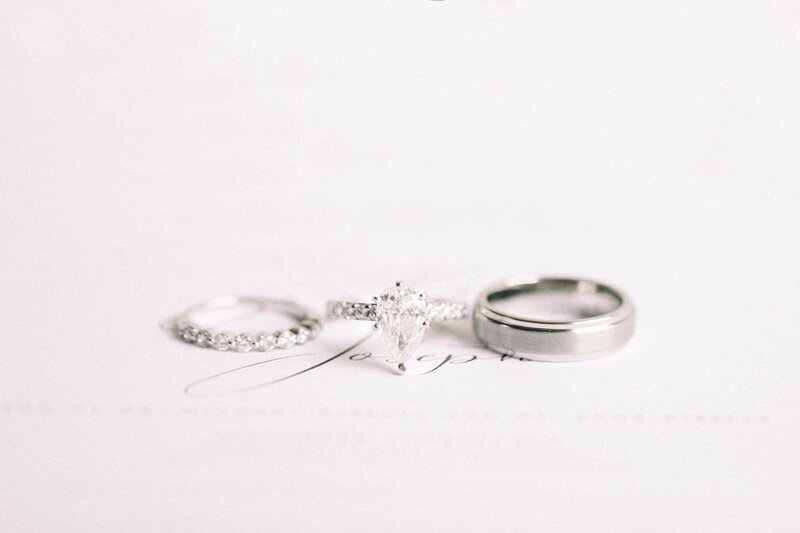 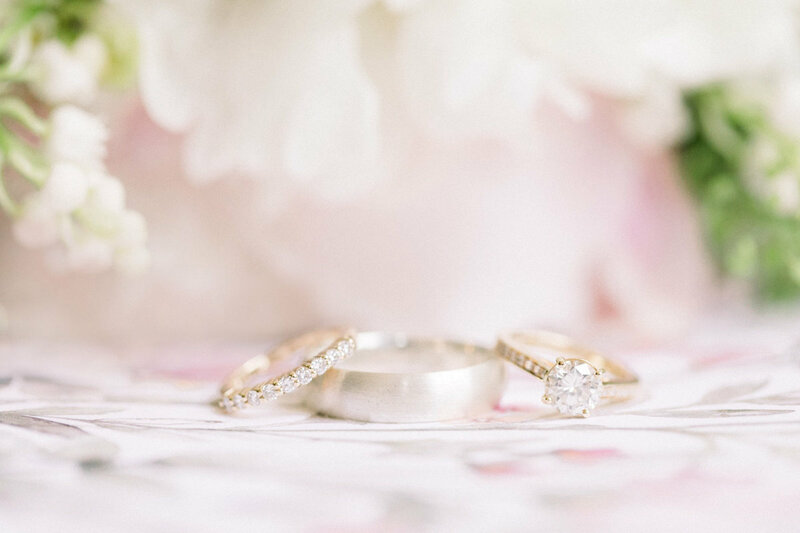 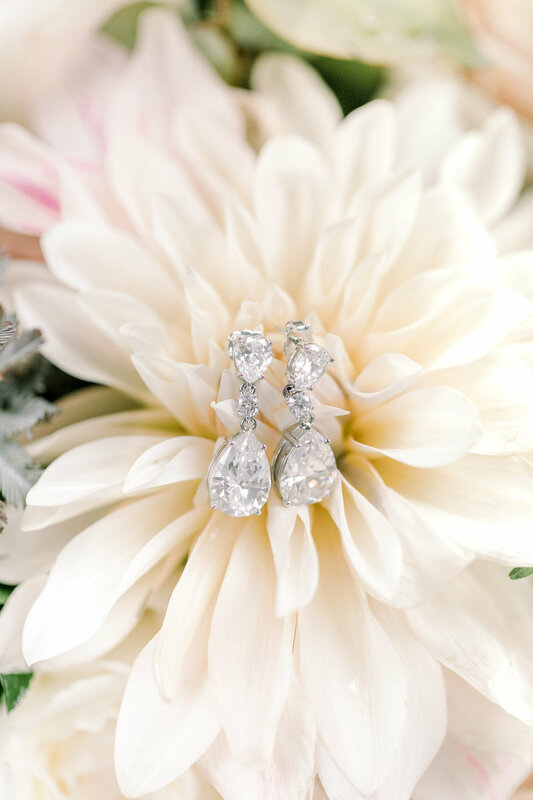 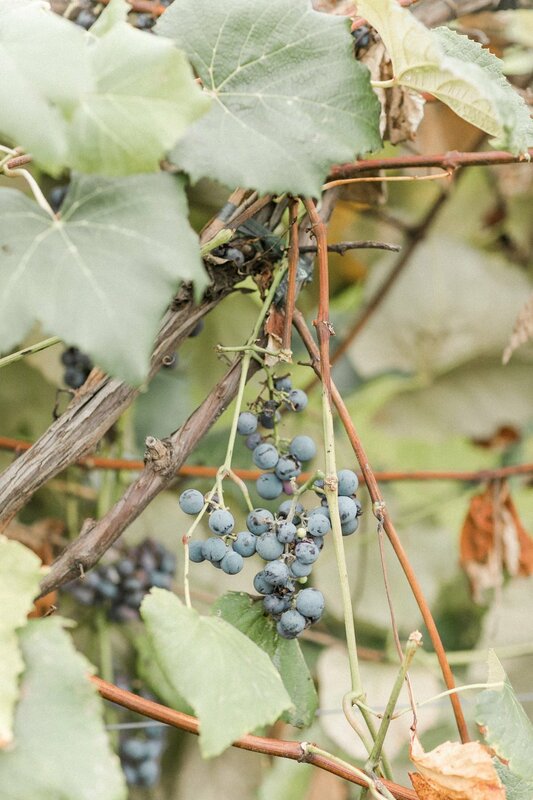 Every detail from this French country estate wedding complimented each other down to the littlest of details. 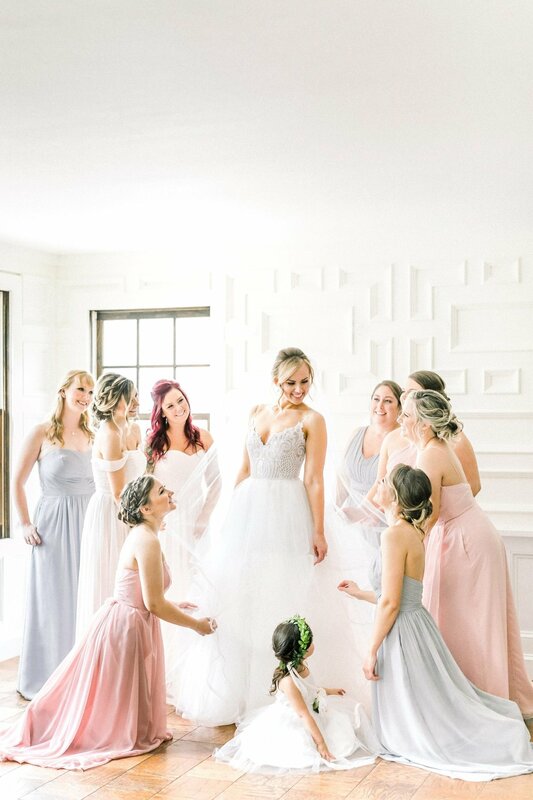 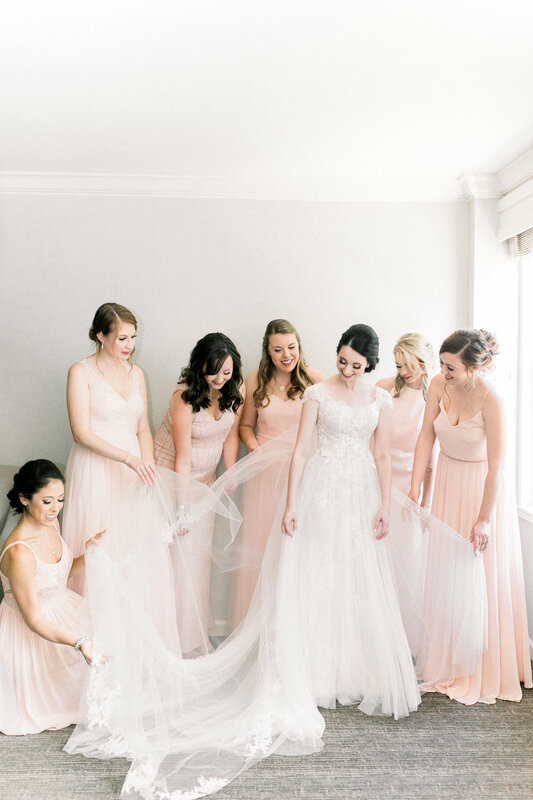 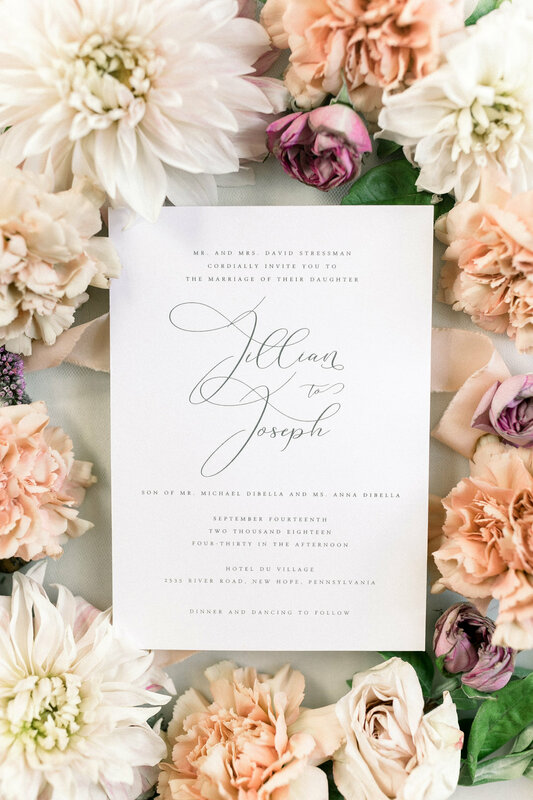 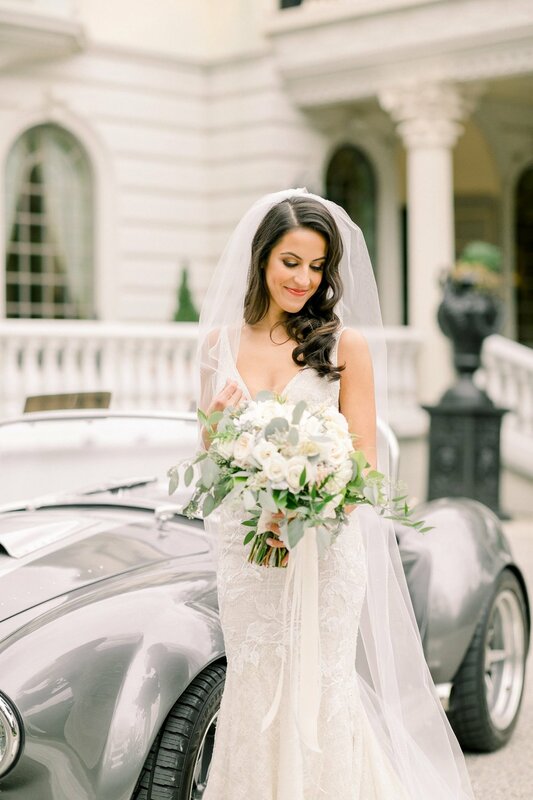 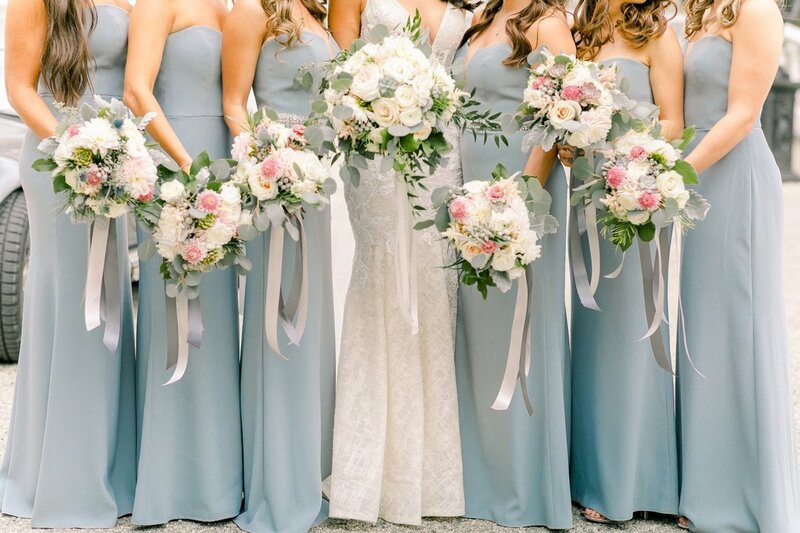 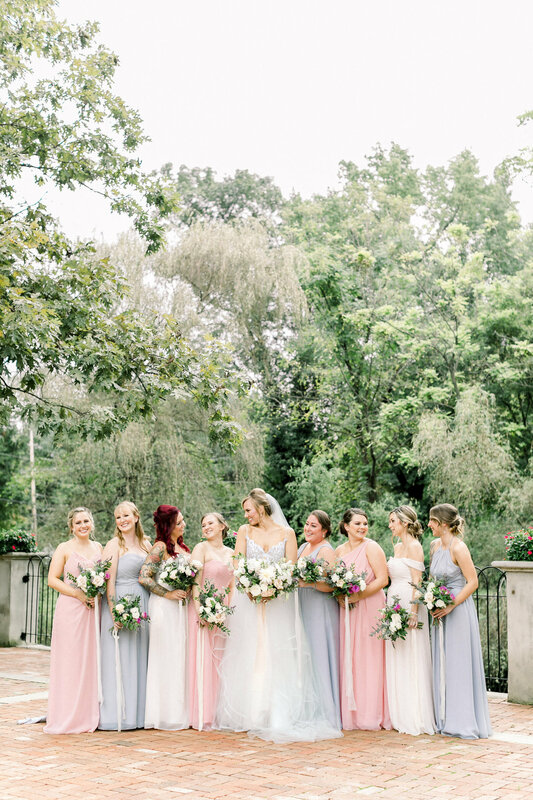 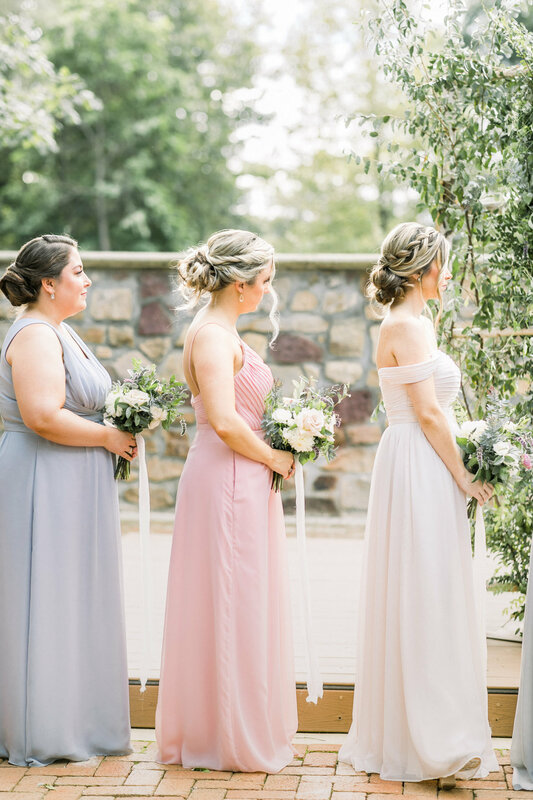 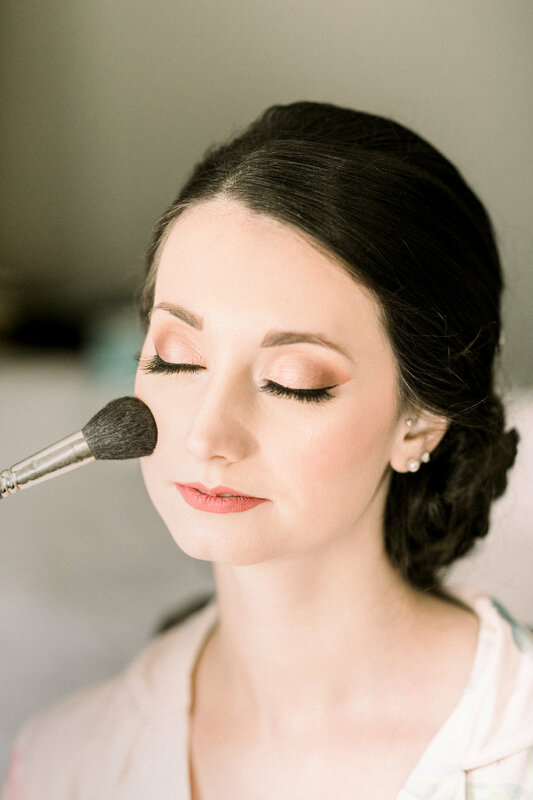 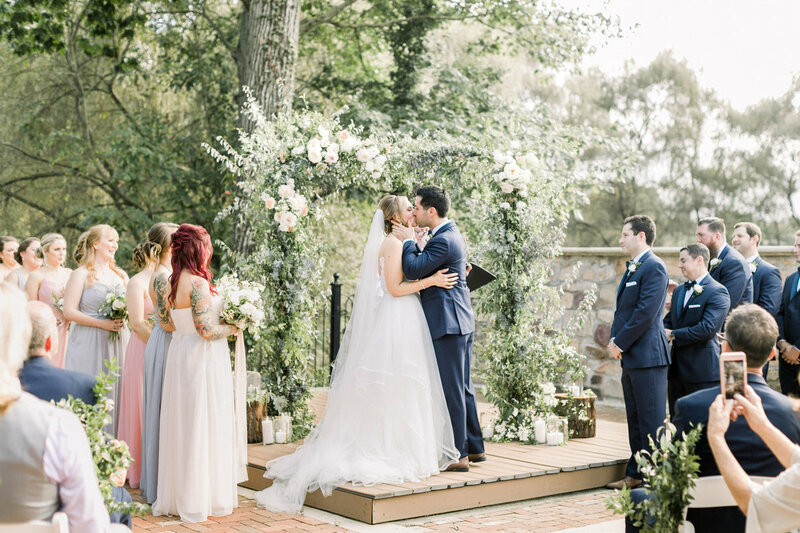 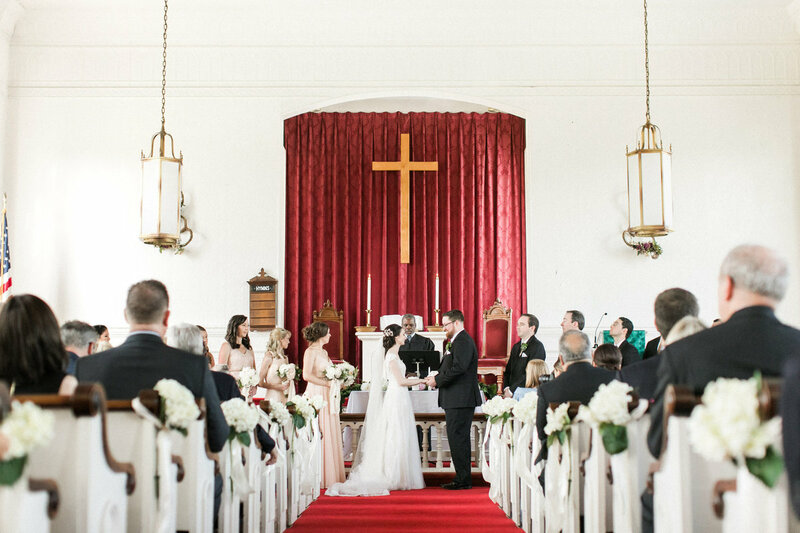 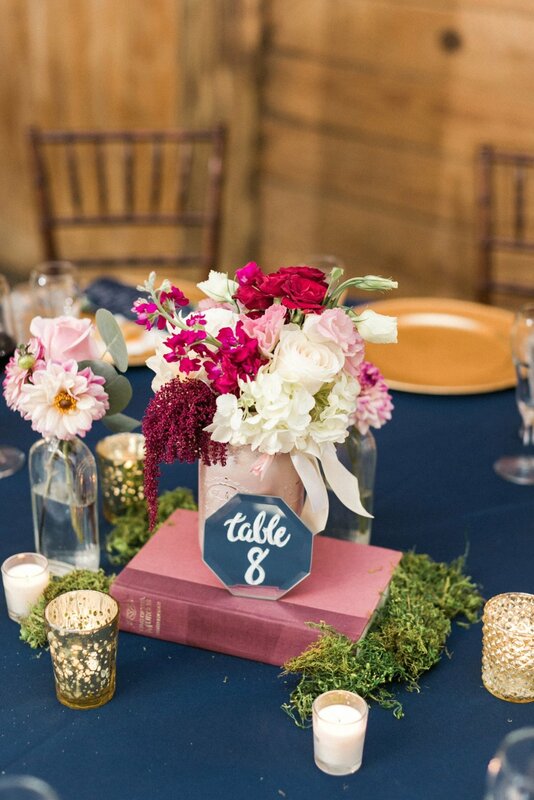 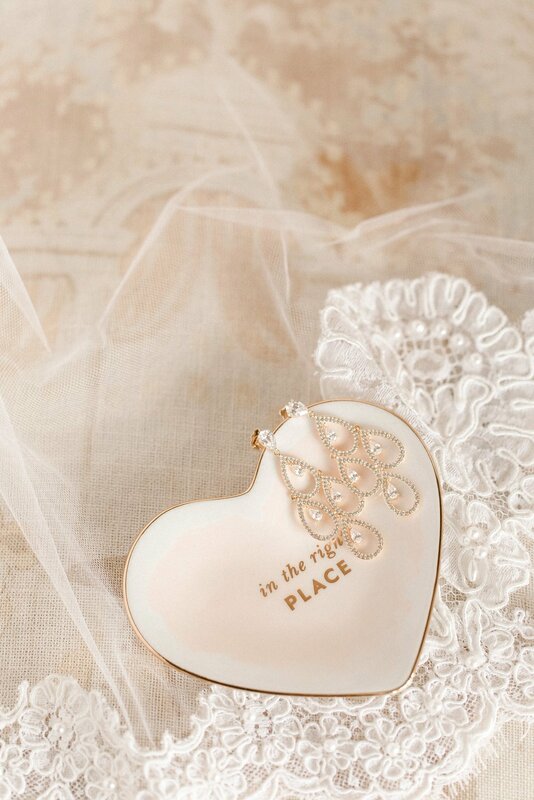 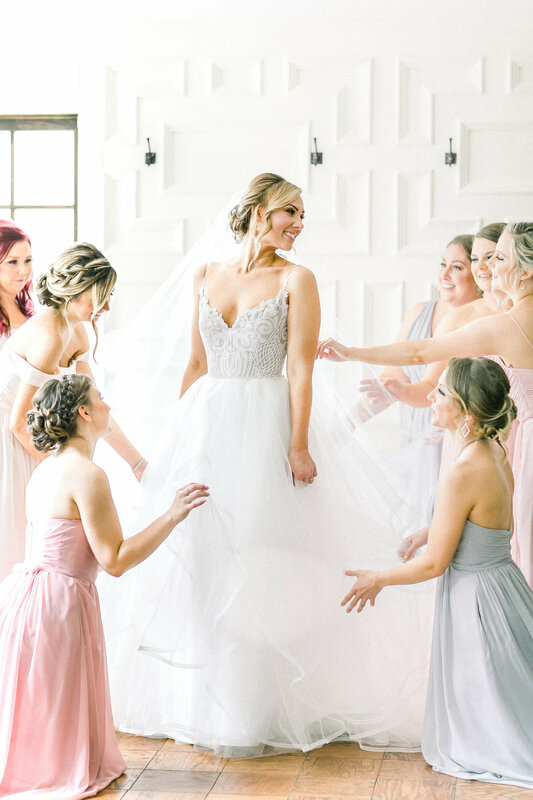 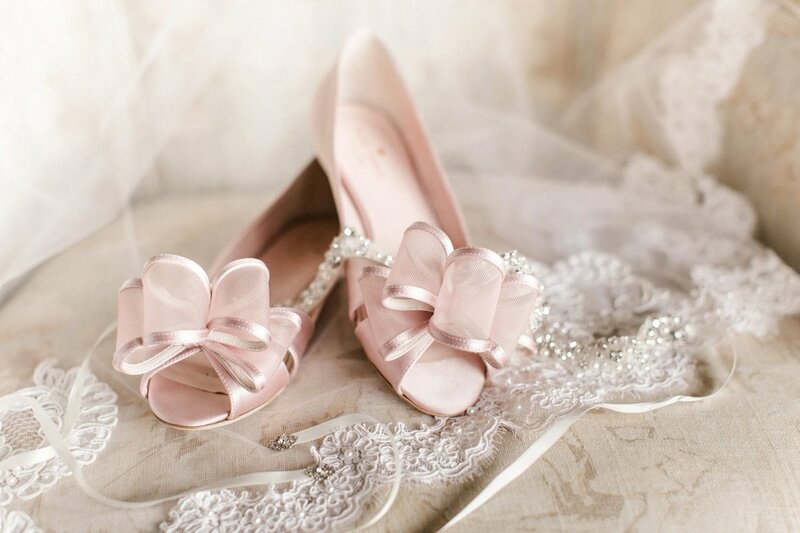 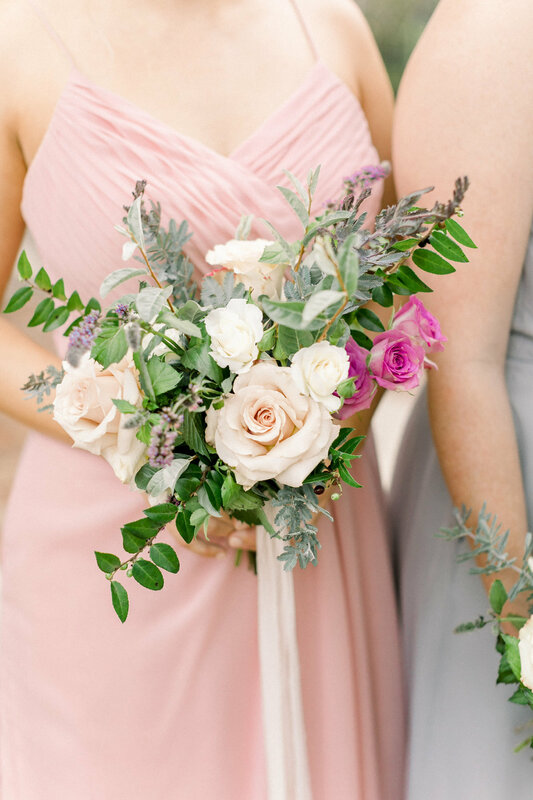 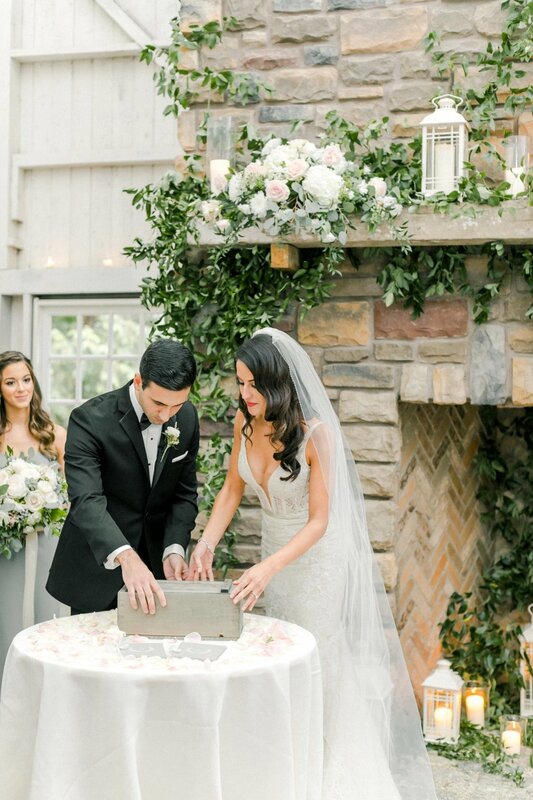 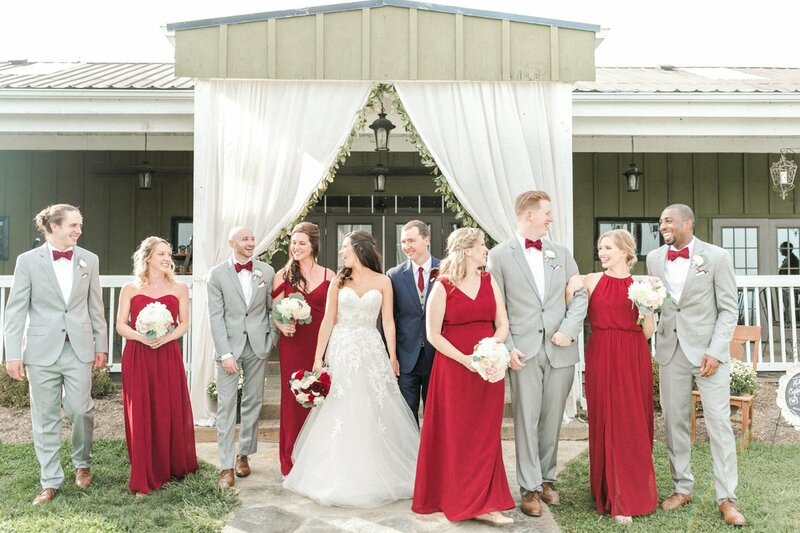 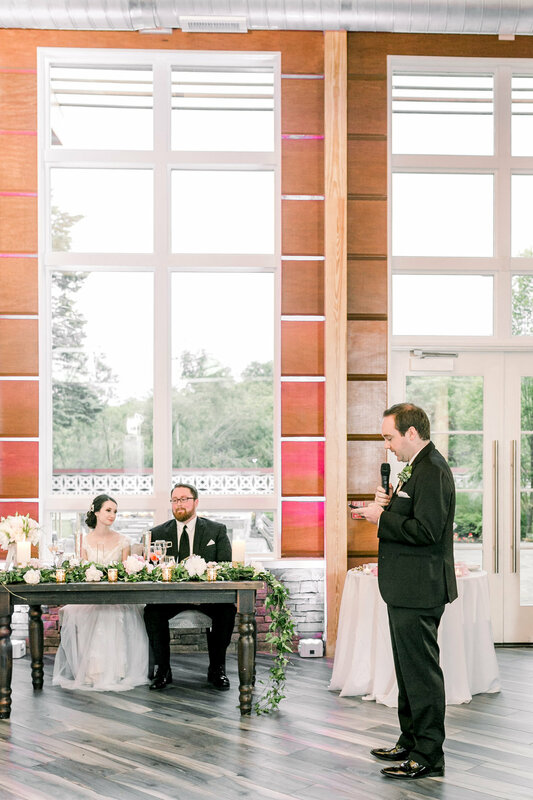 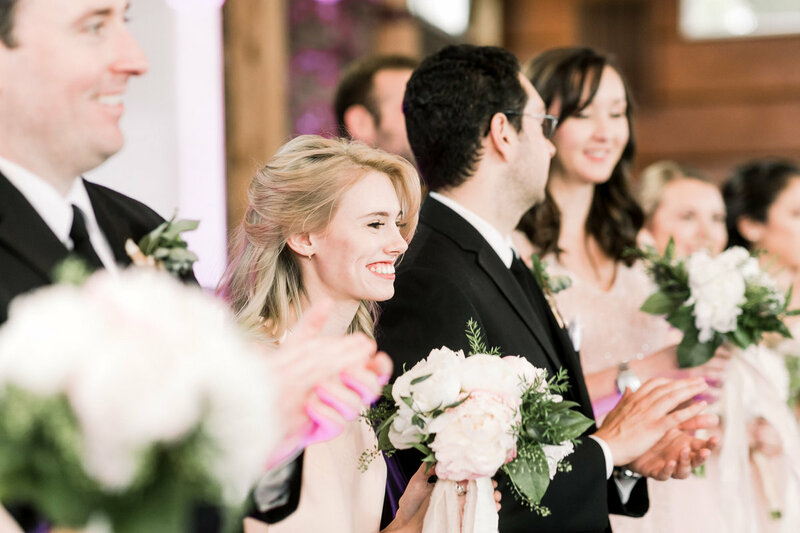 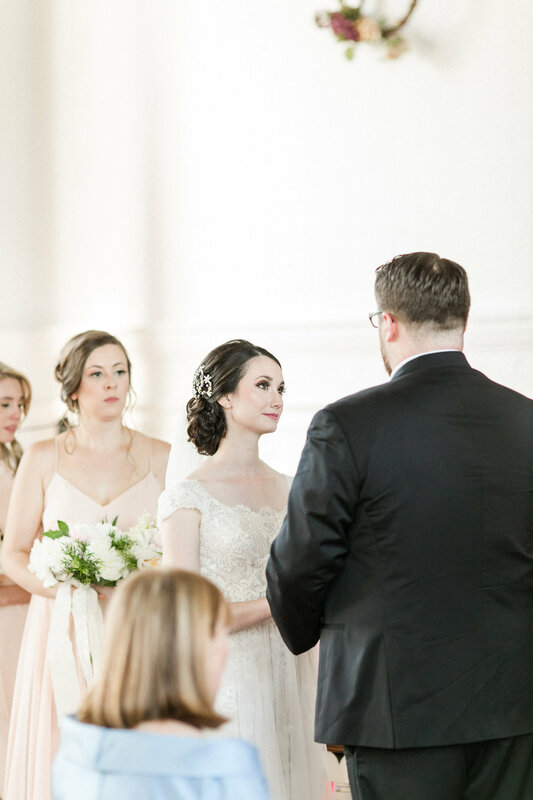 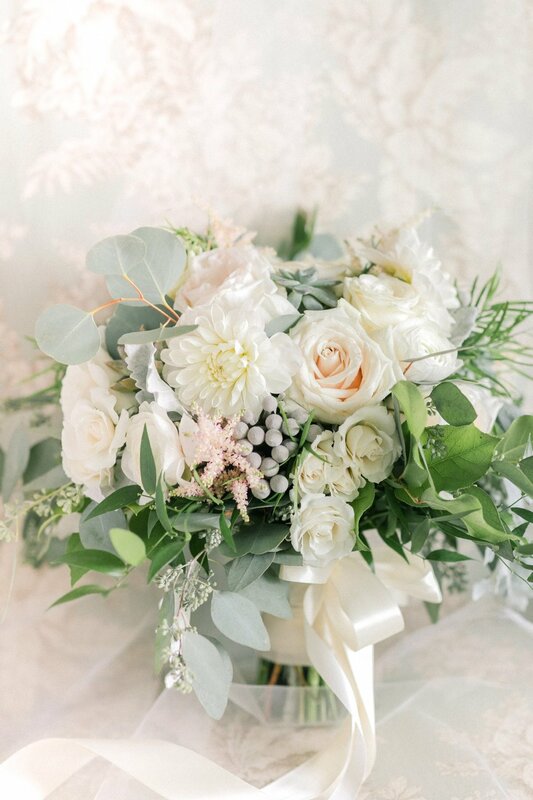 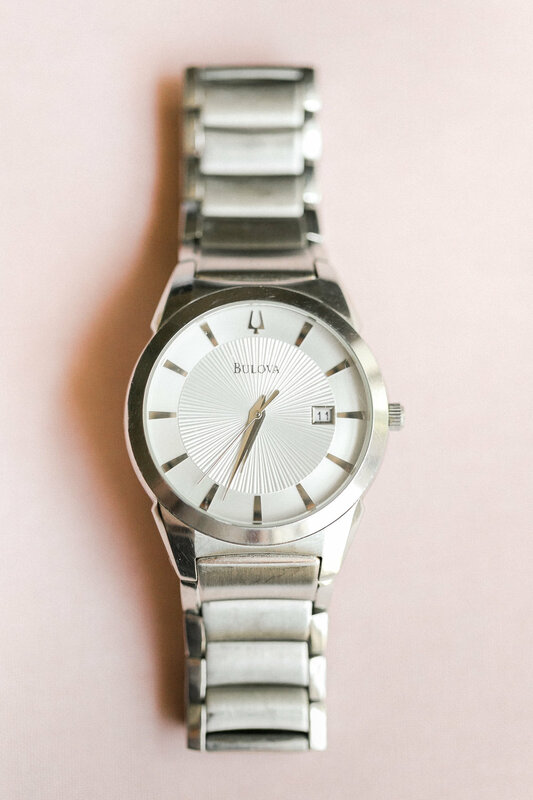 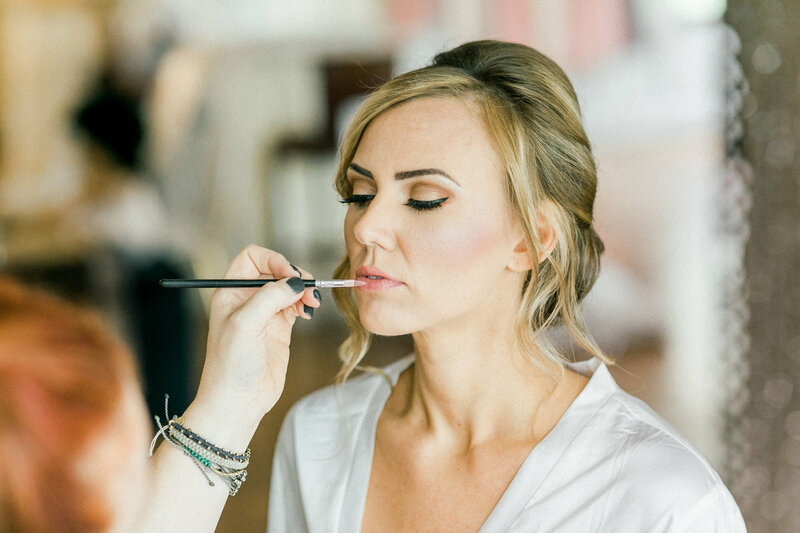 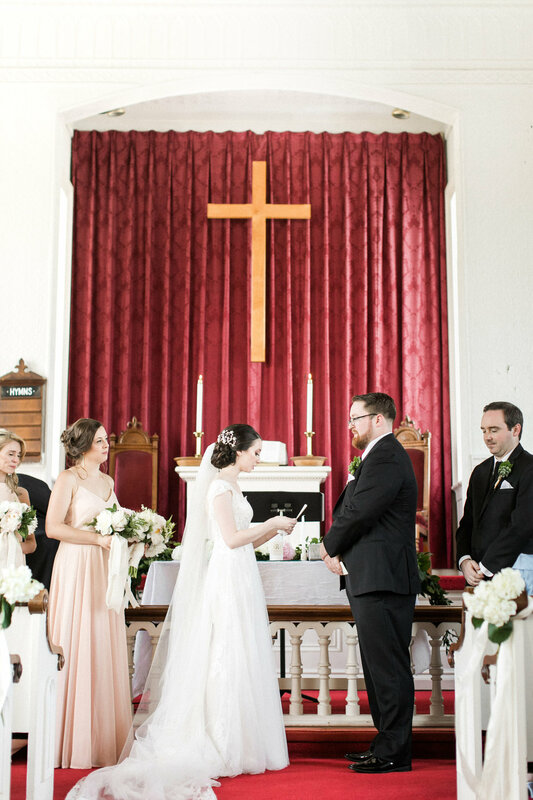 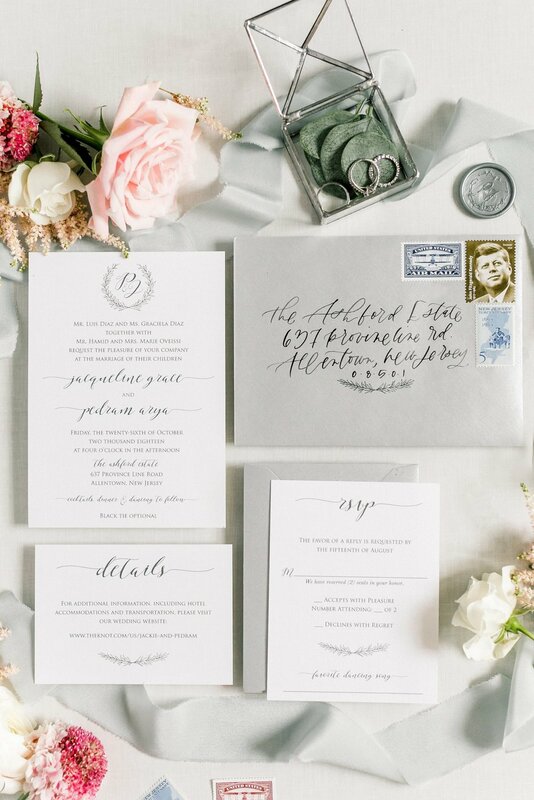 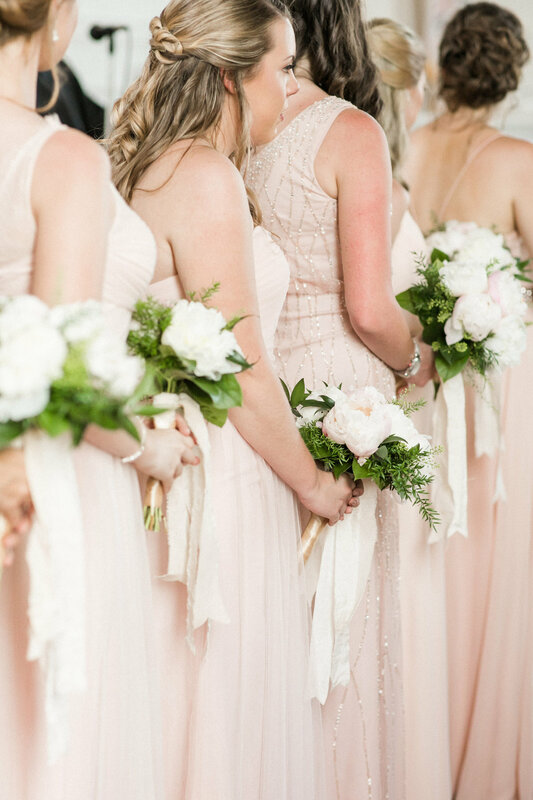 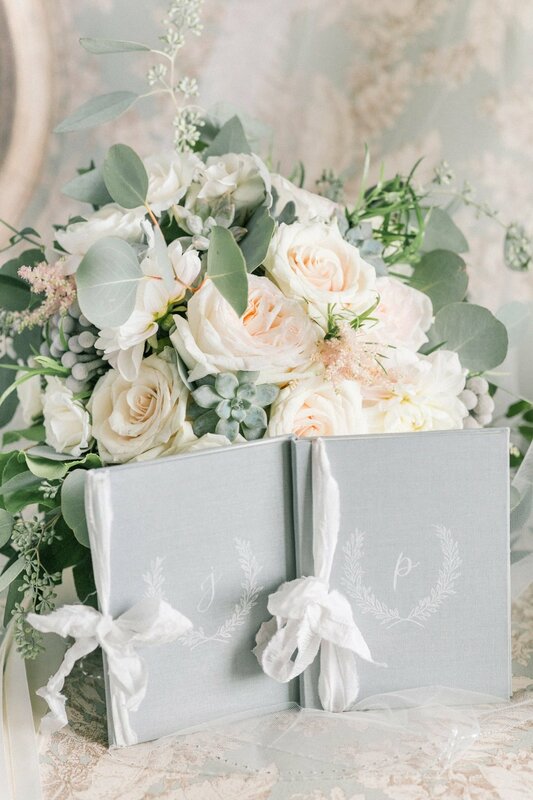 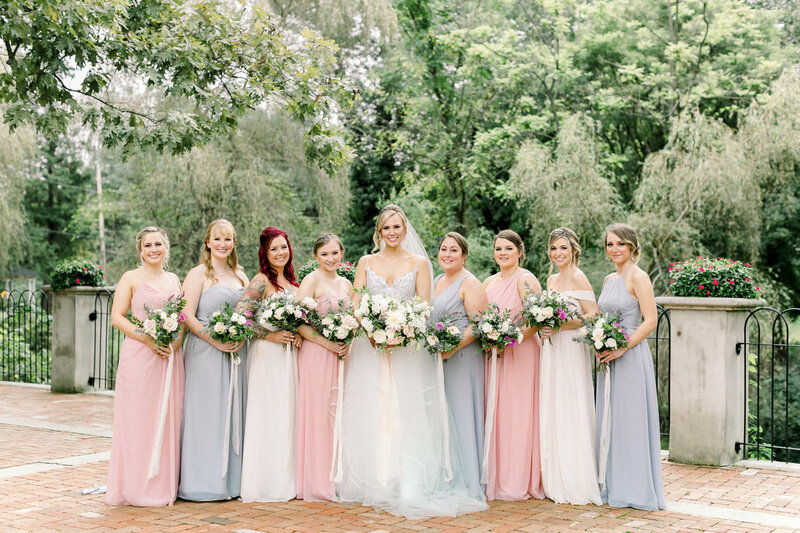 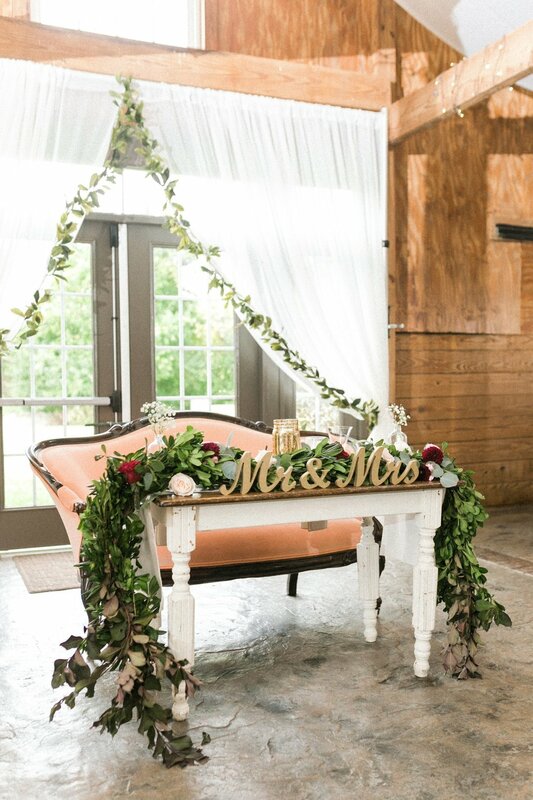 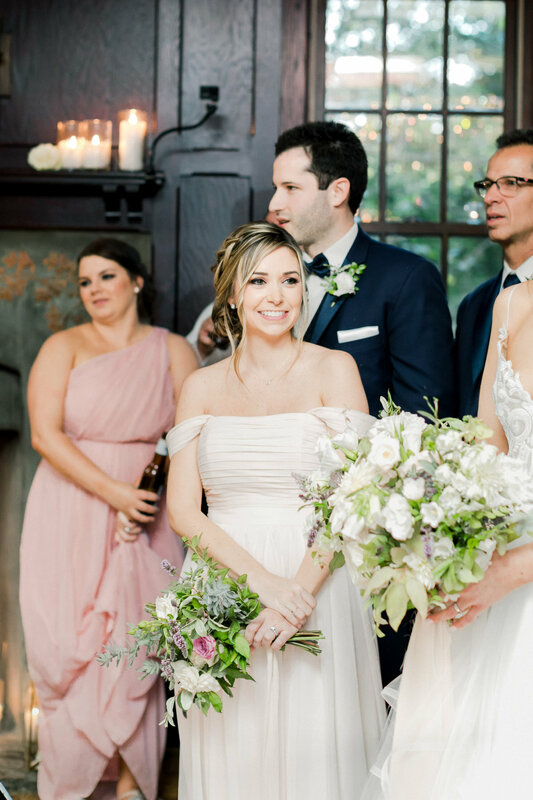 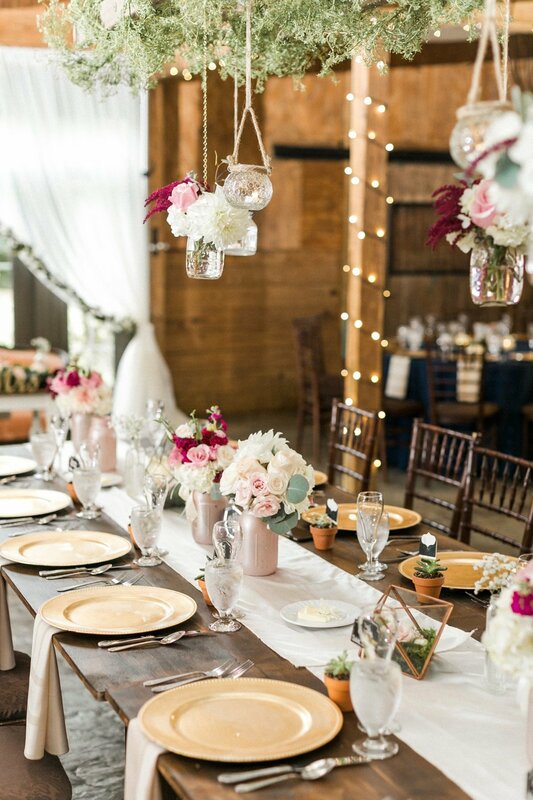 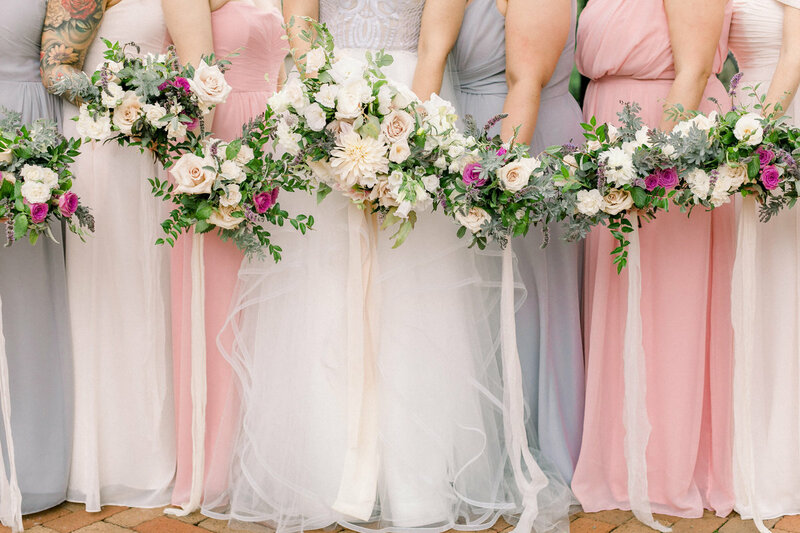 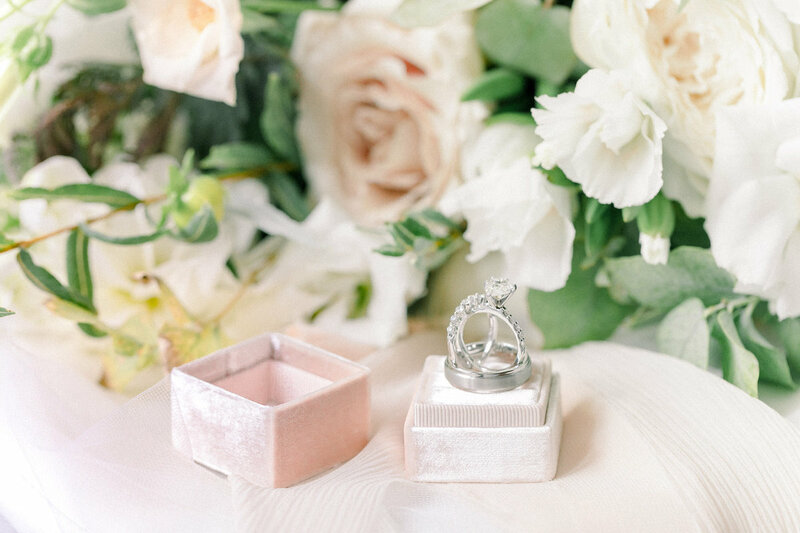 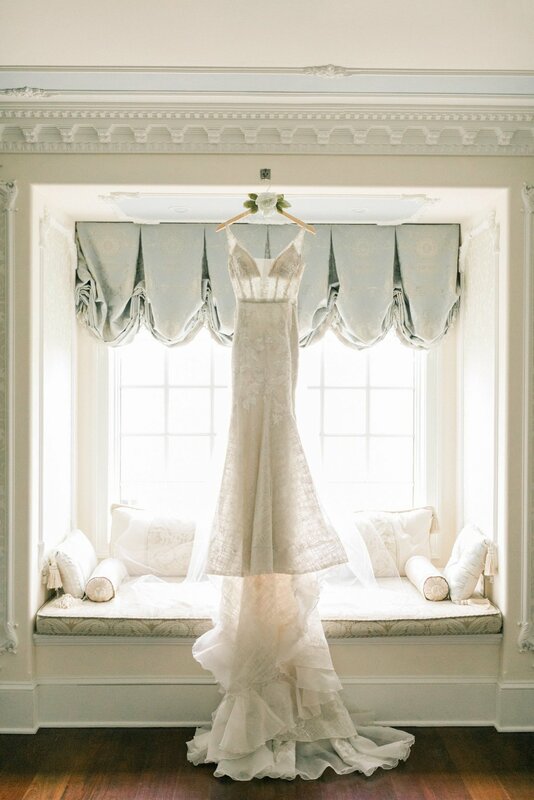 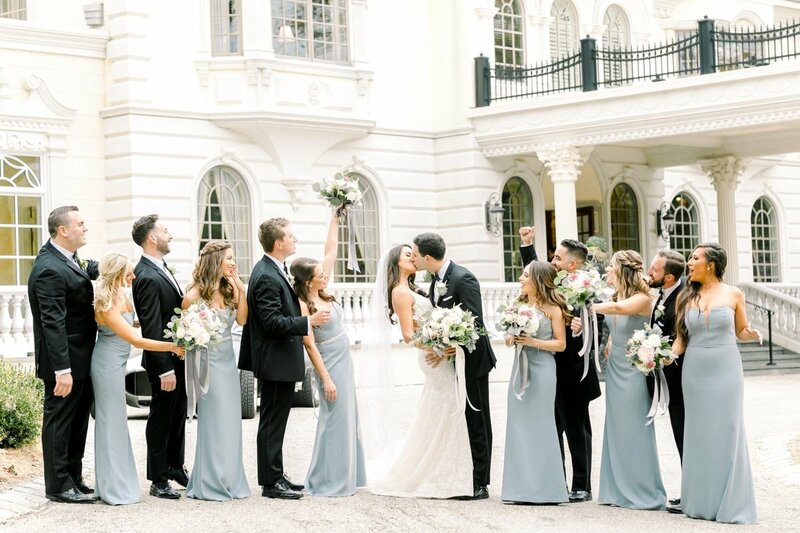 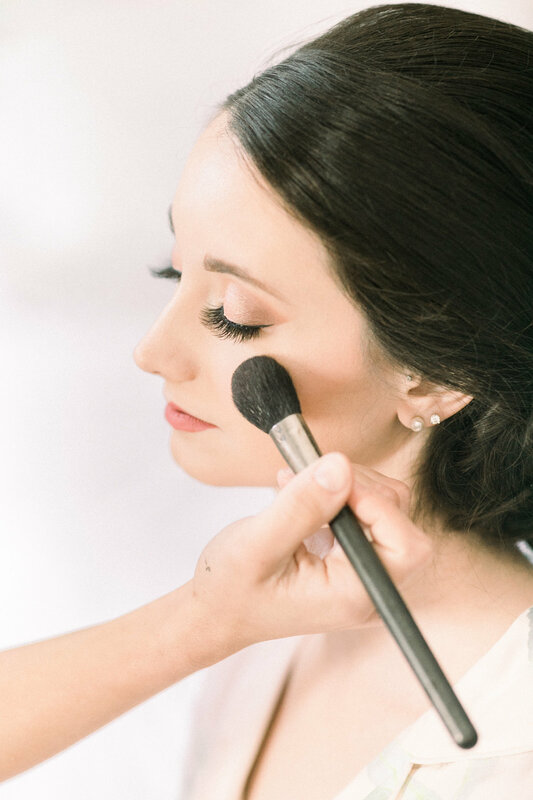 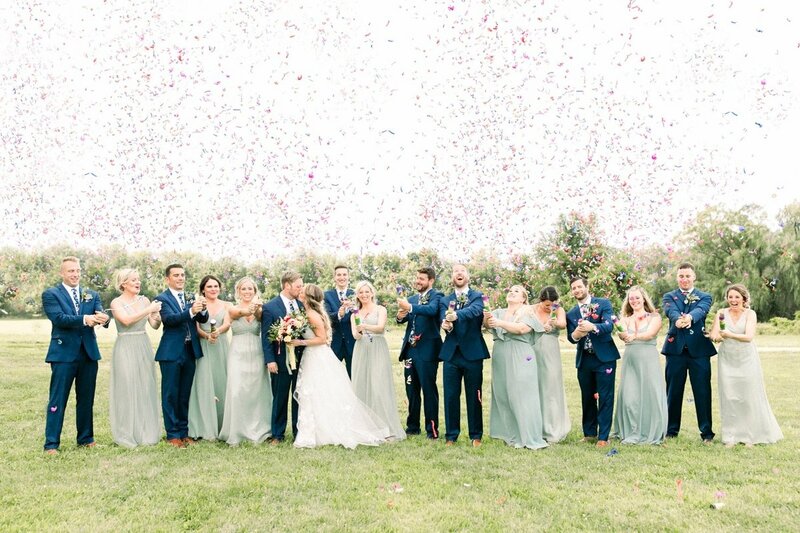 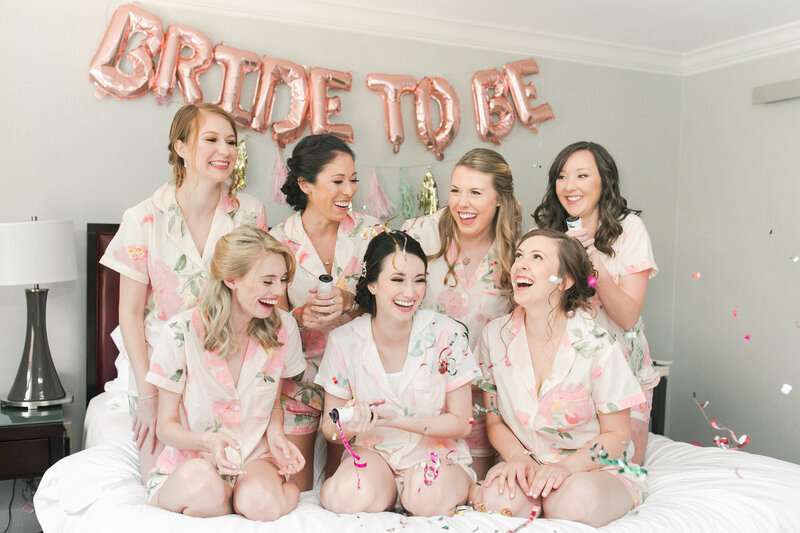 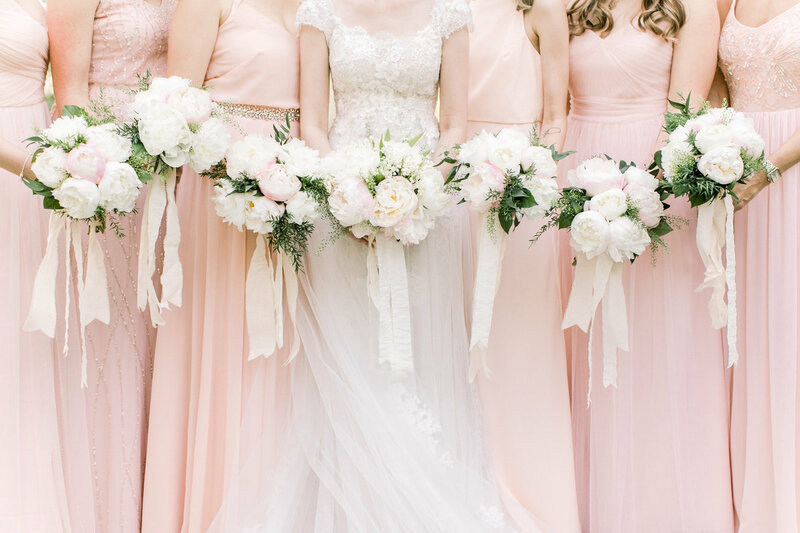 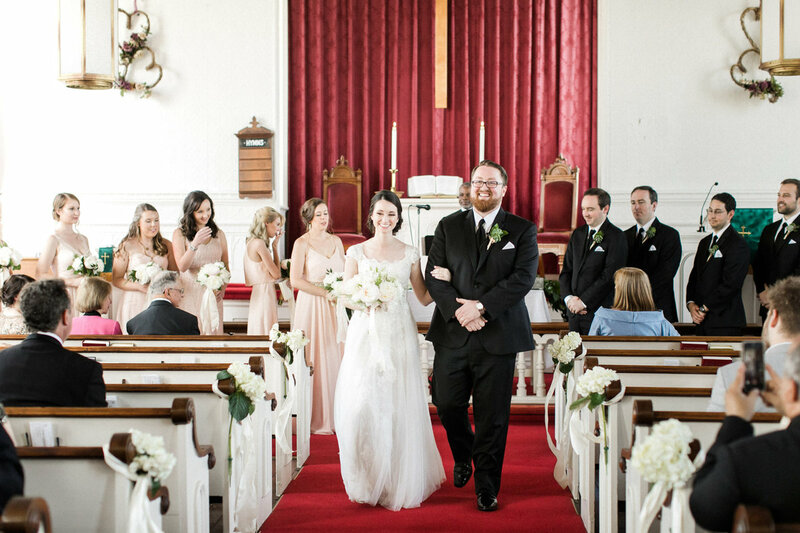 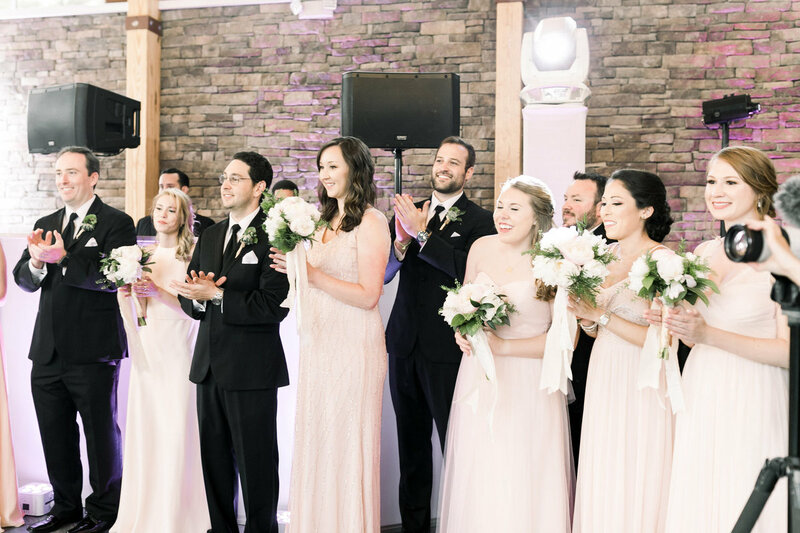 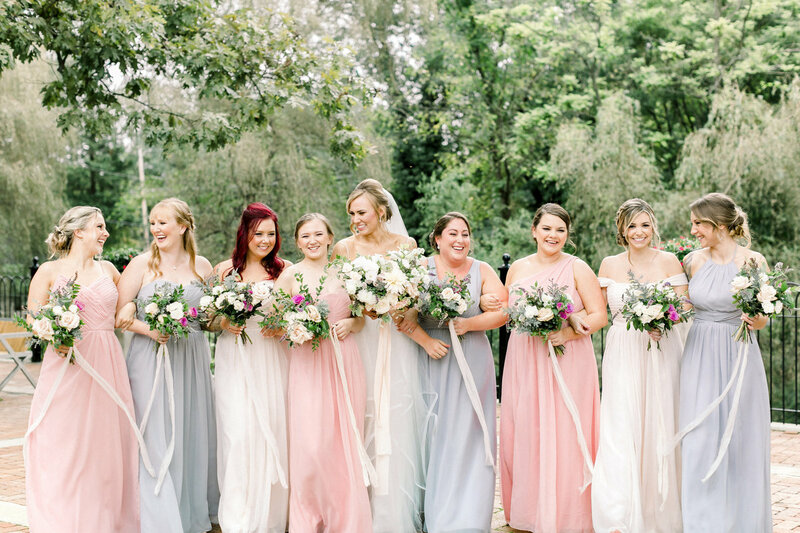 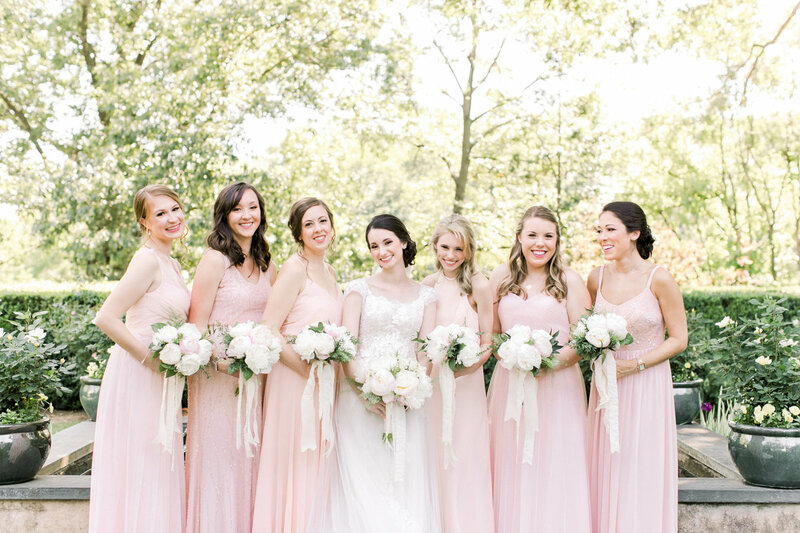 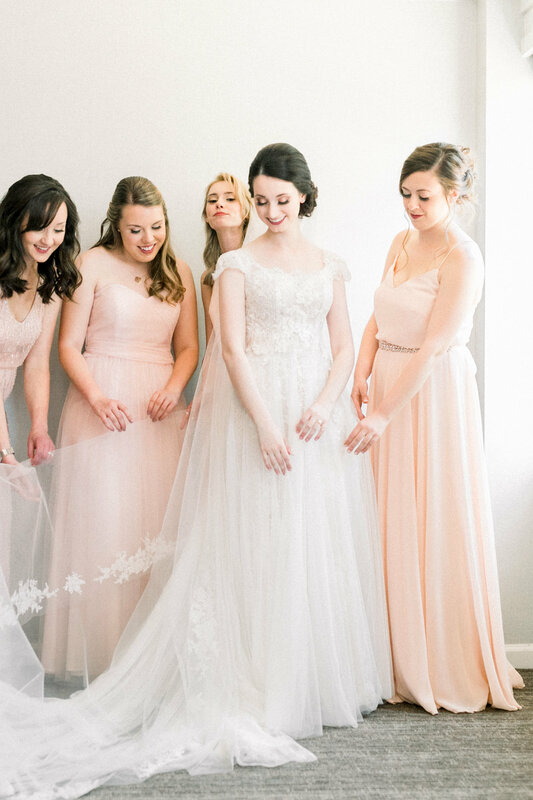 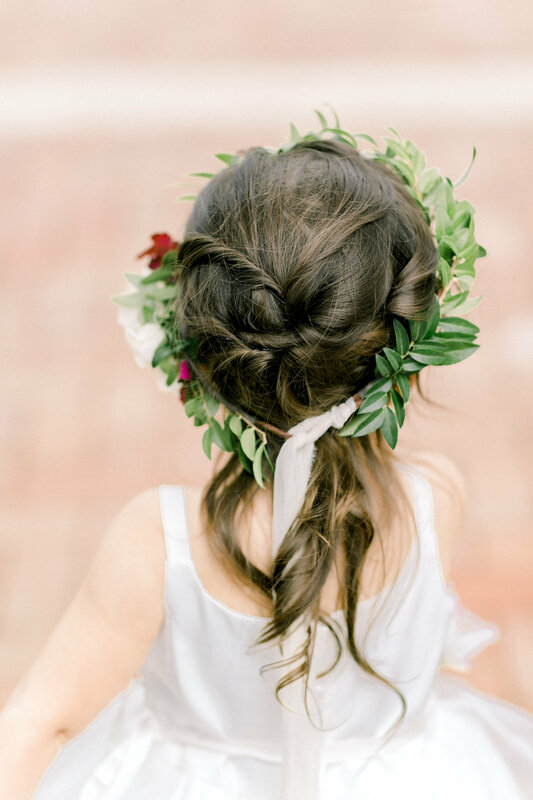 The color palette included soft pastels with hints of dusty rose, light grey and cream. 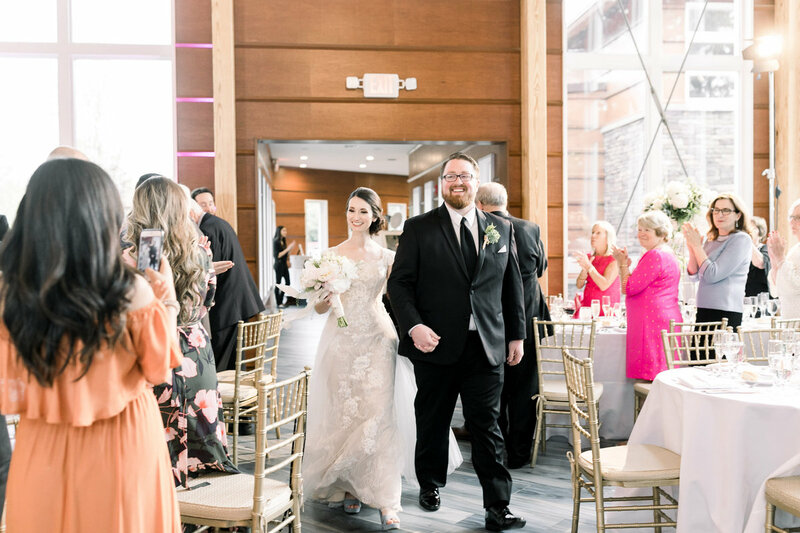 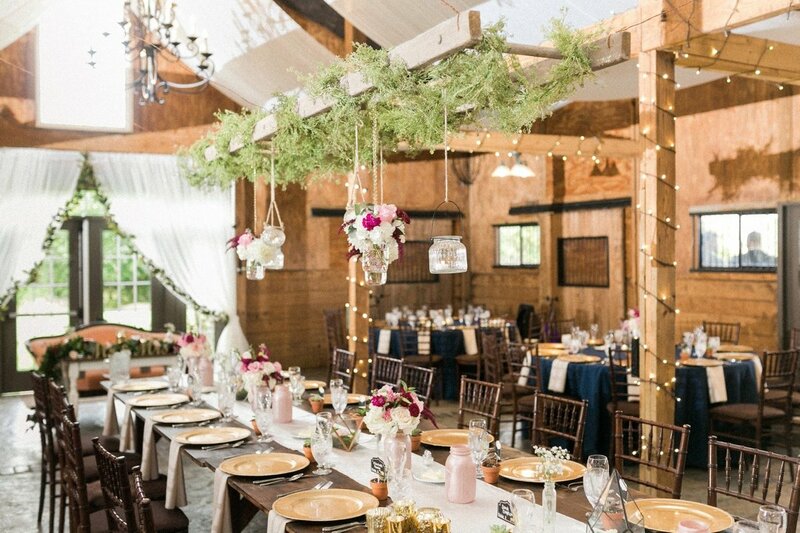 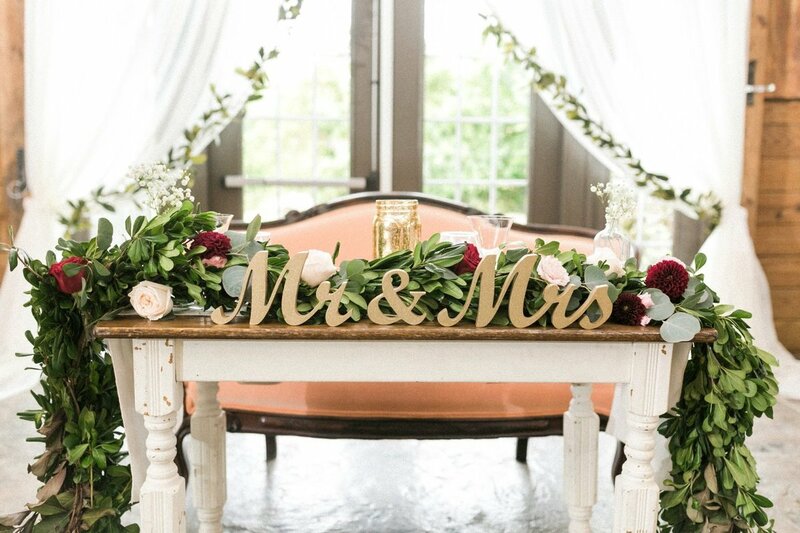 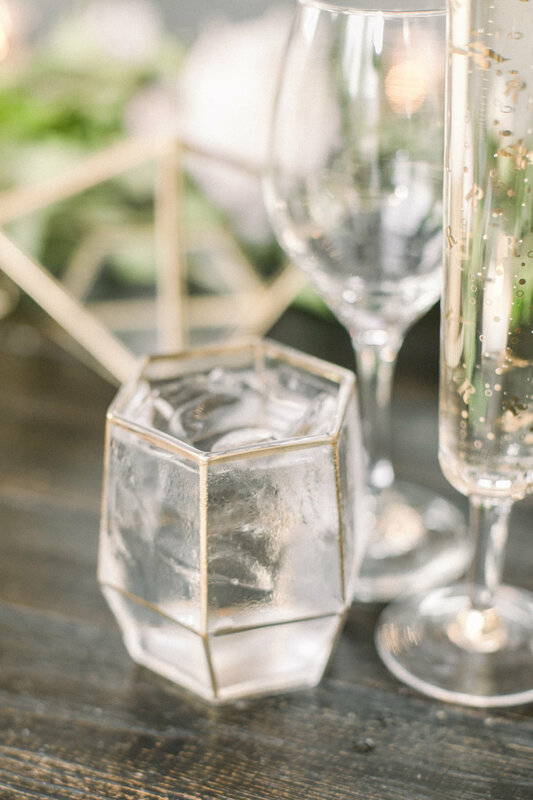 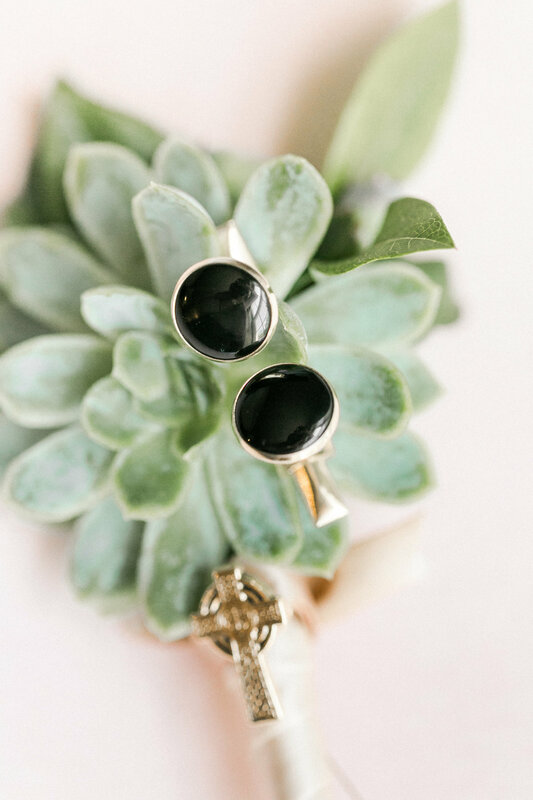 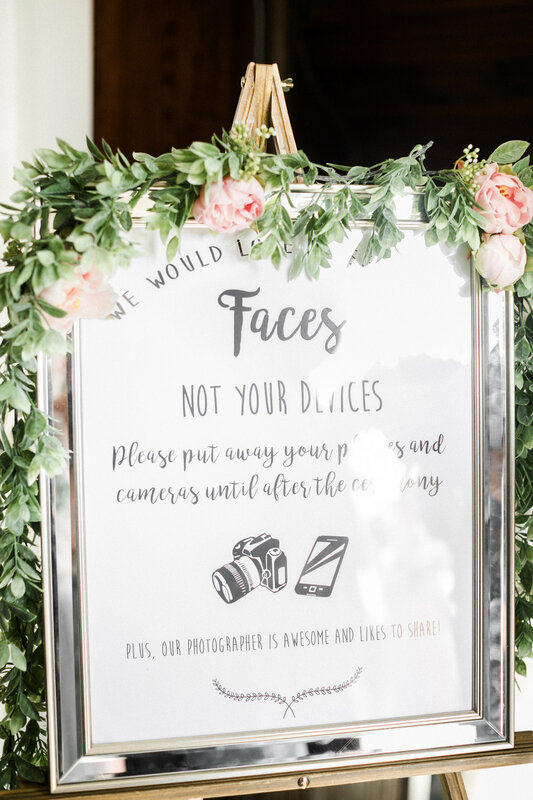 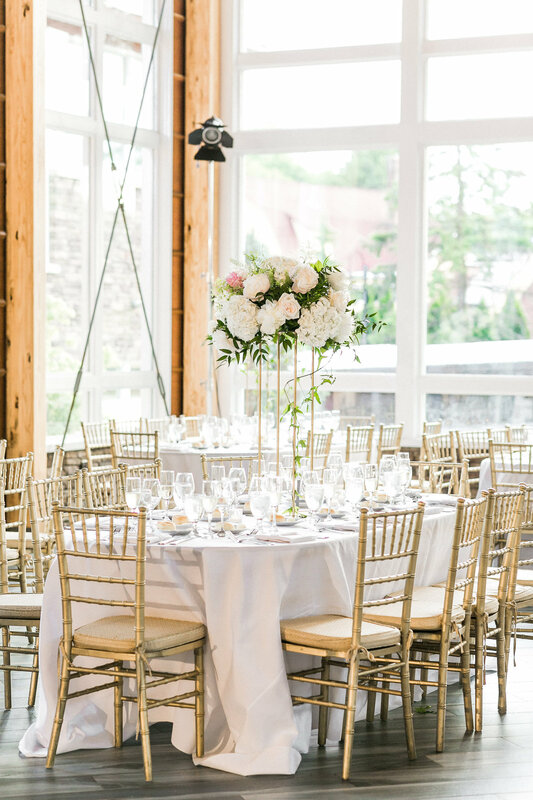 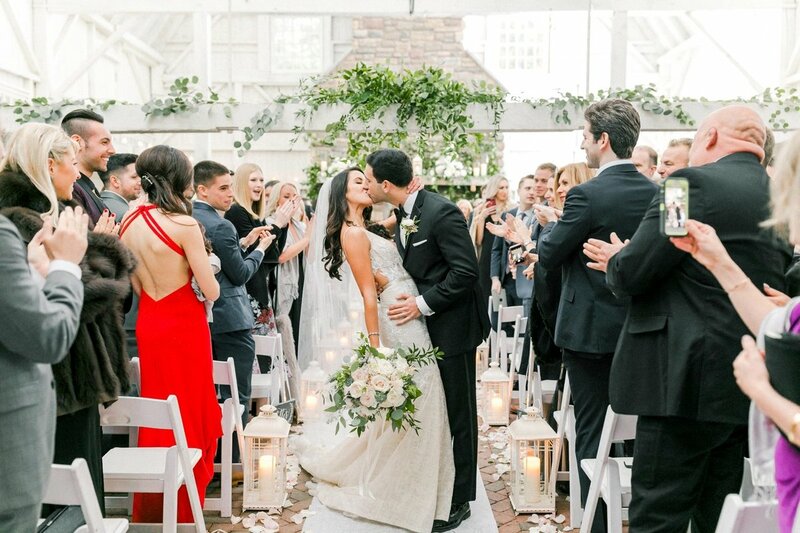 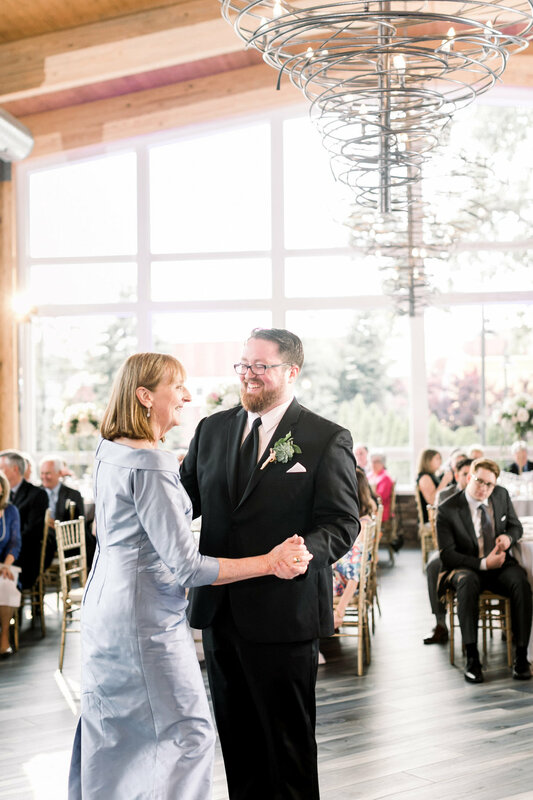 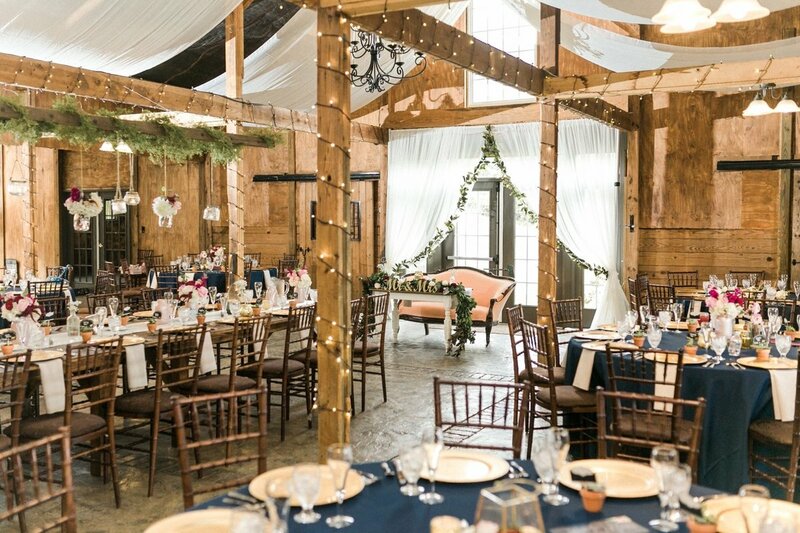 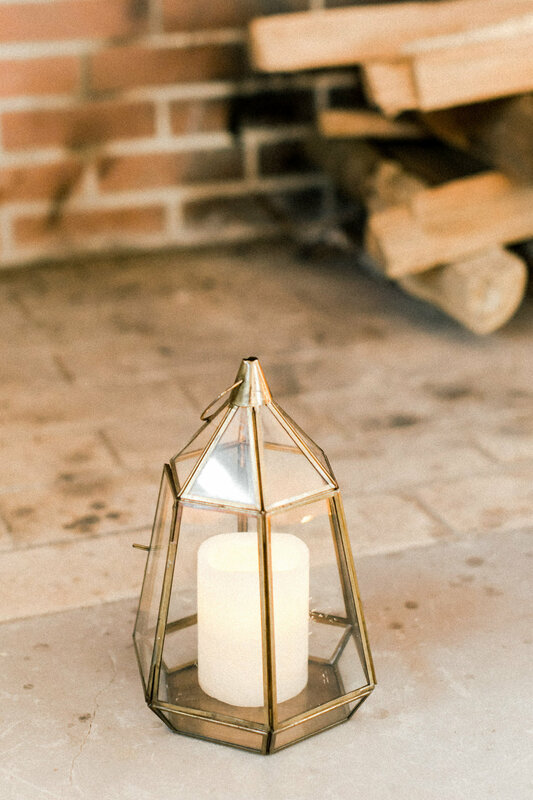 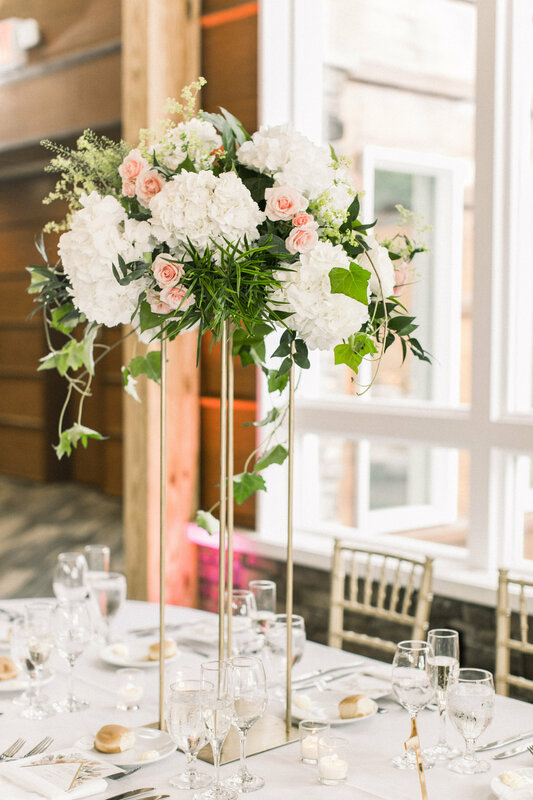 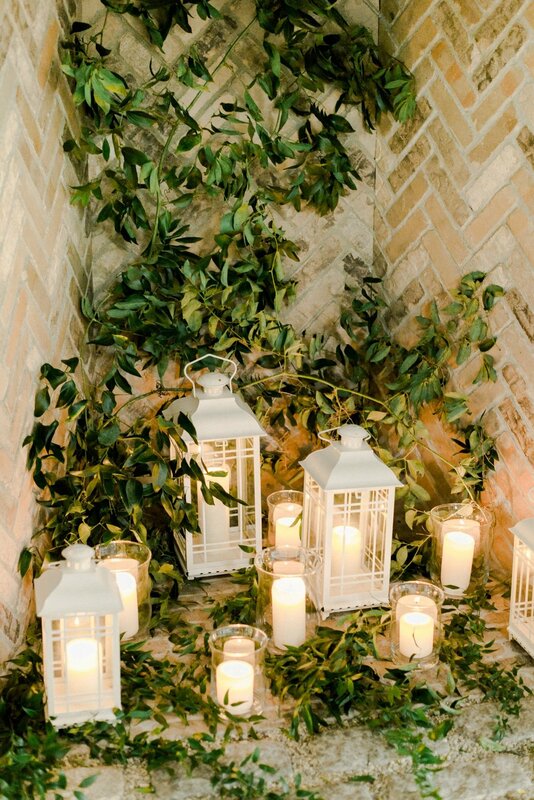 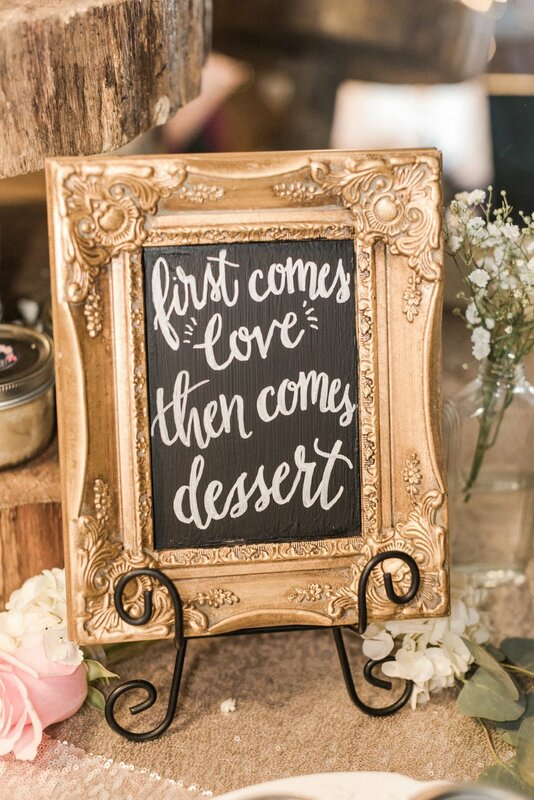 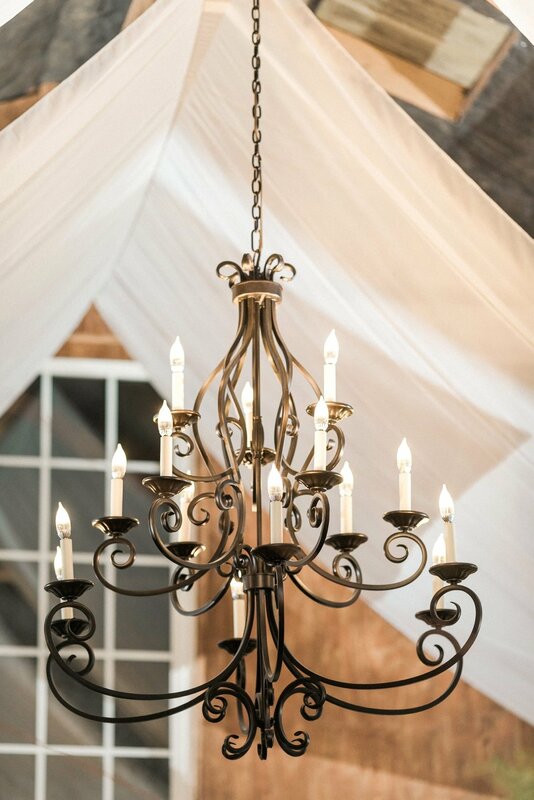 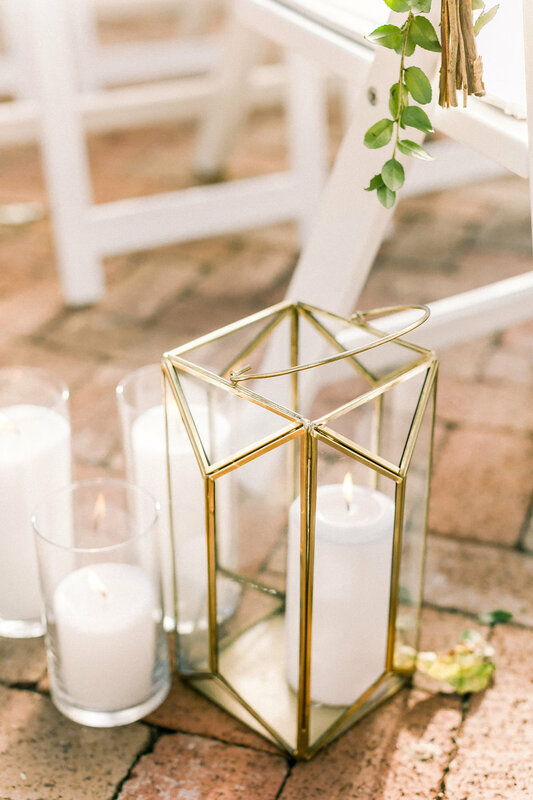 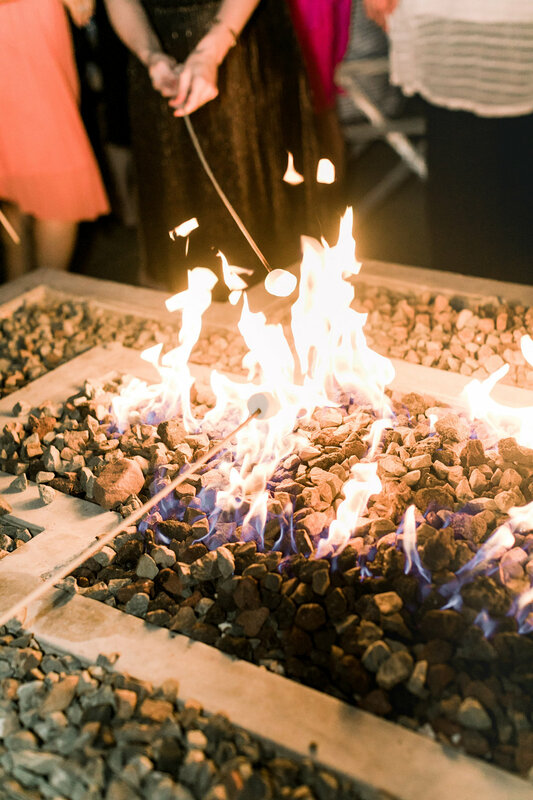 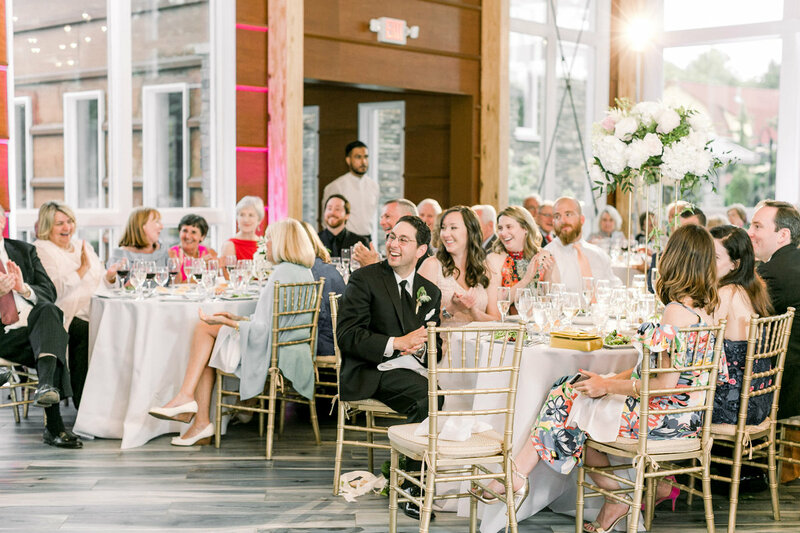 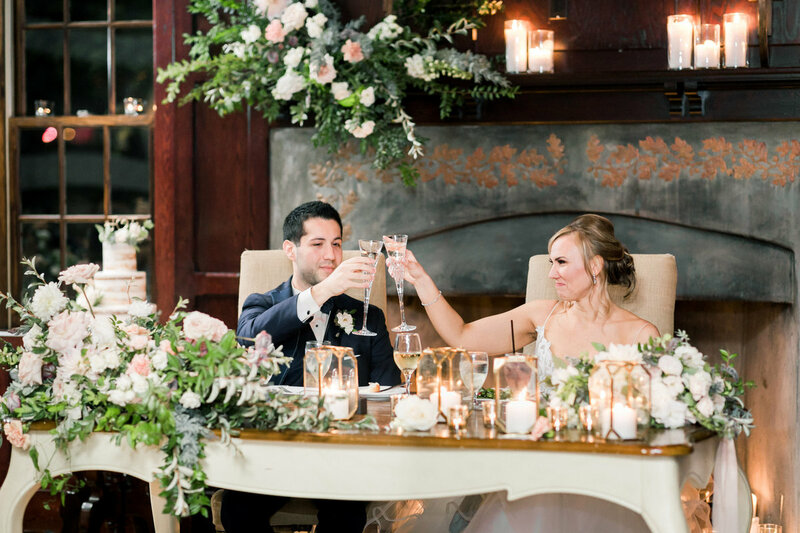 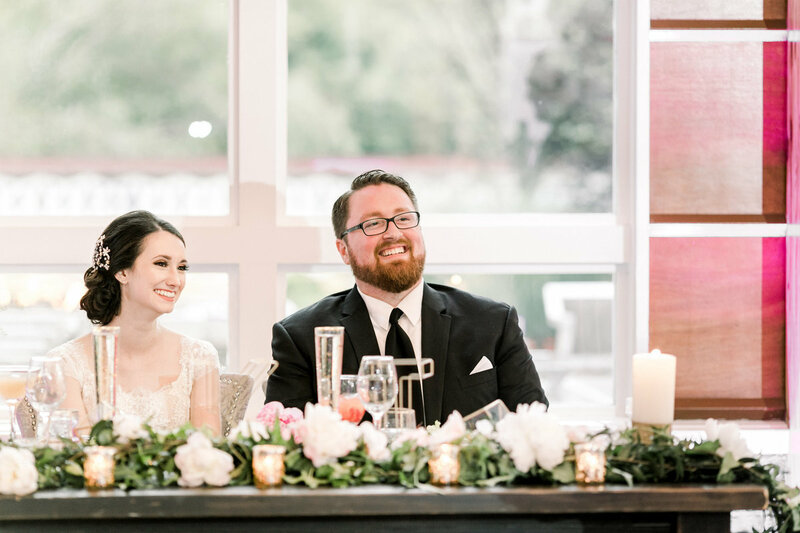 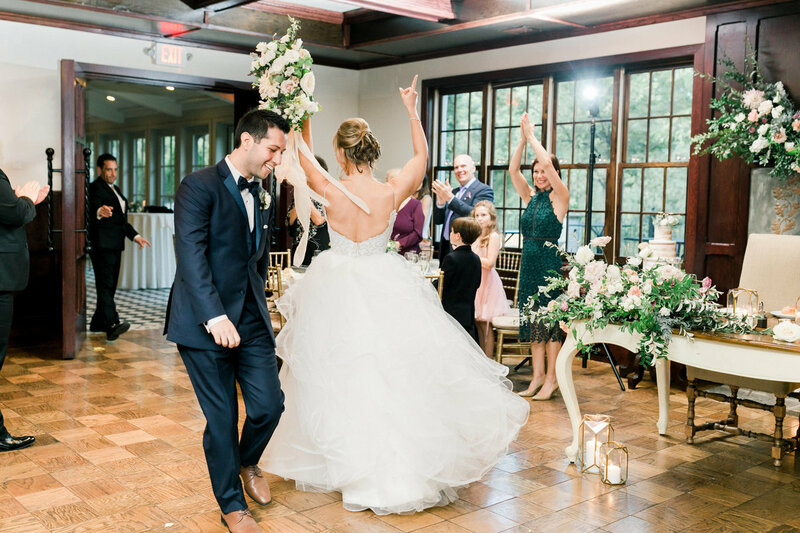 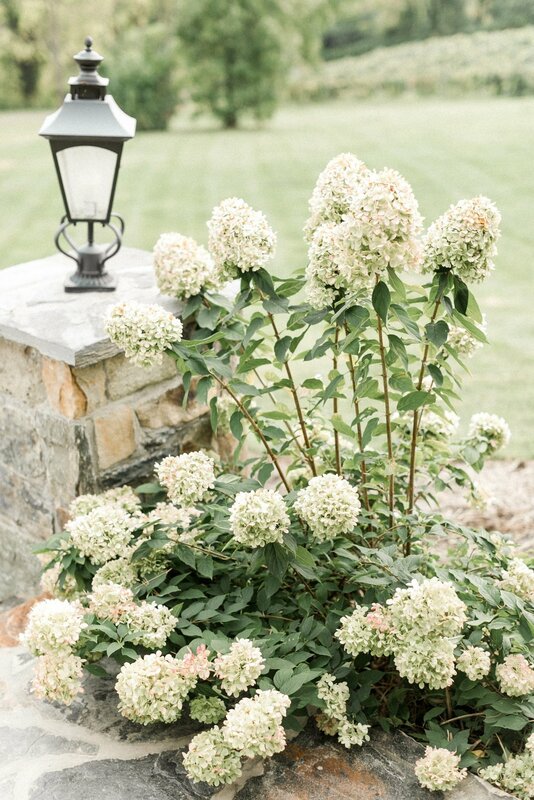 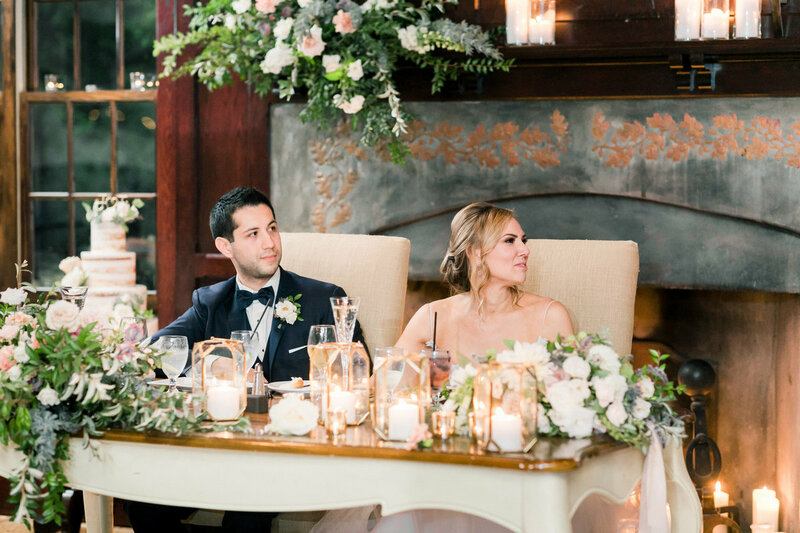 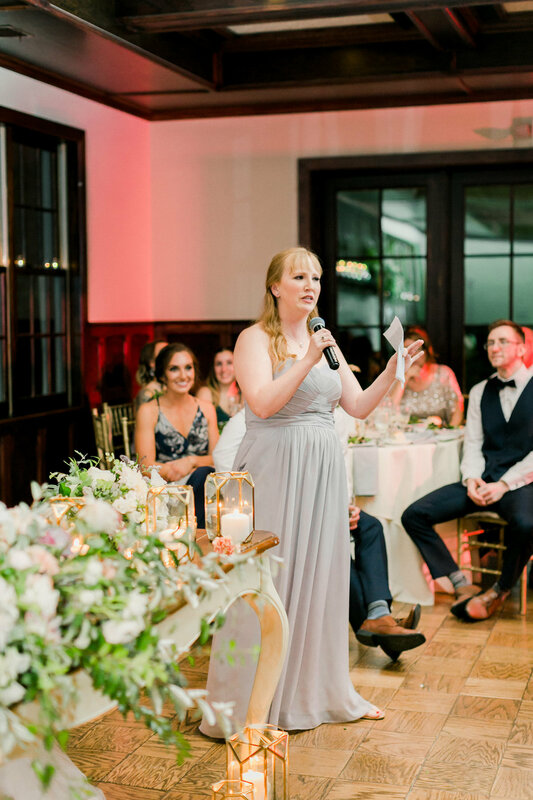 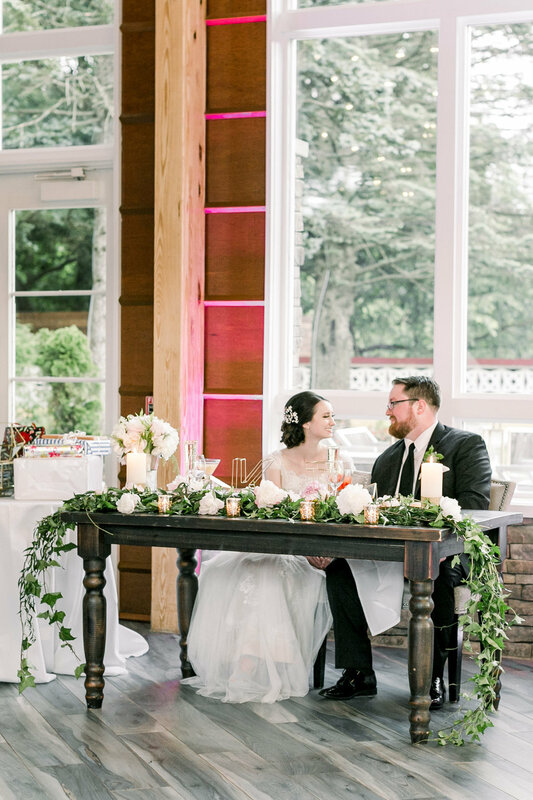 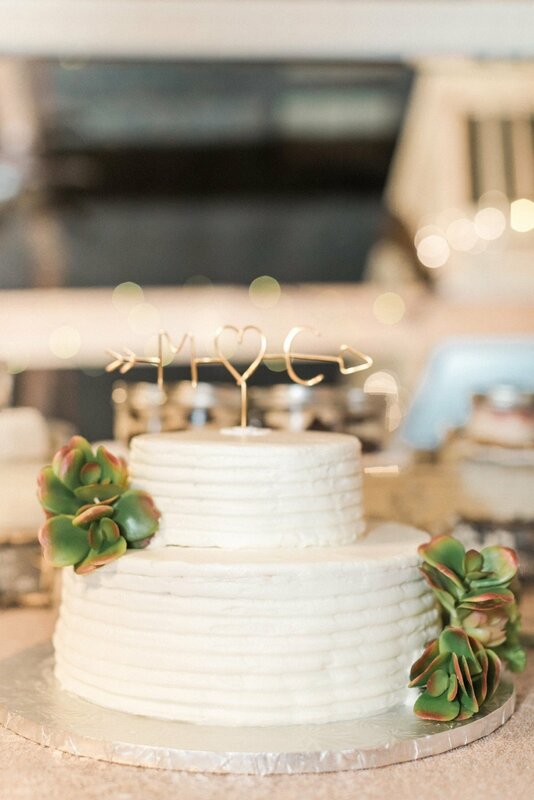 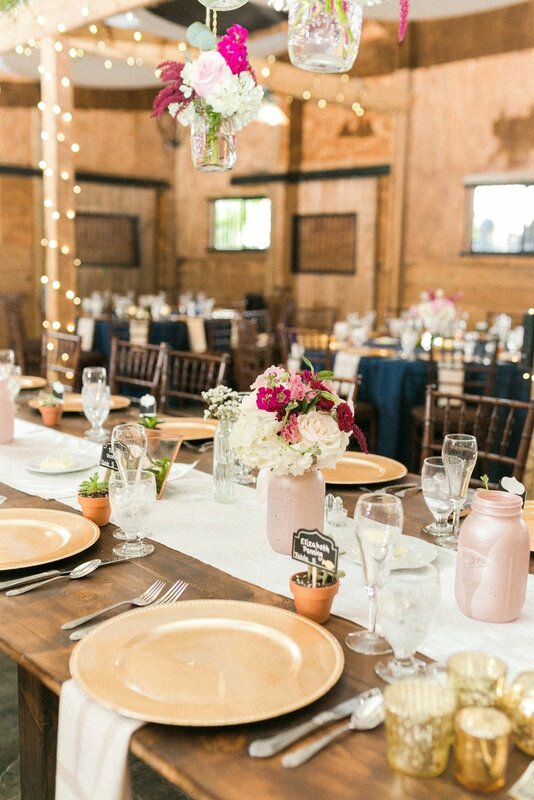 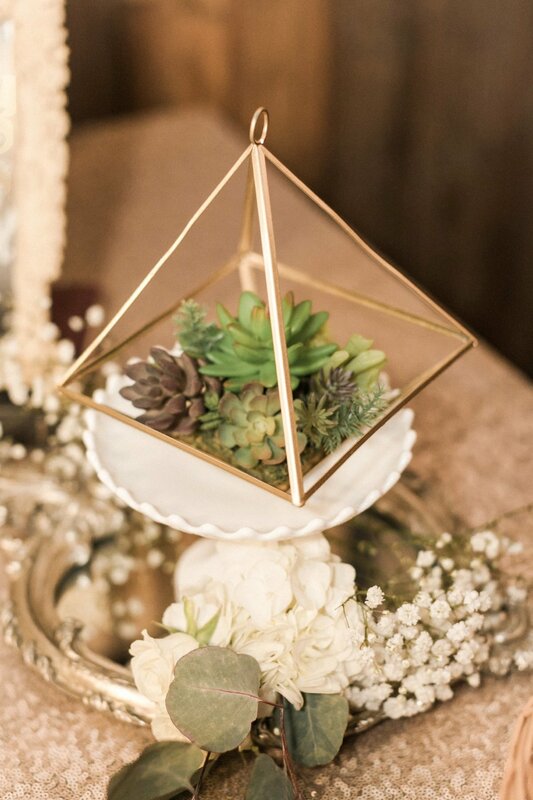 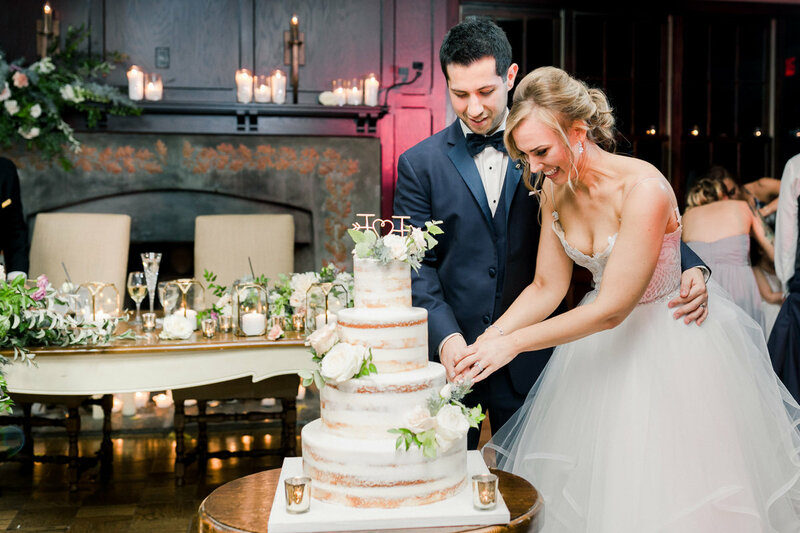 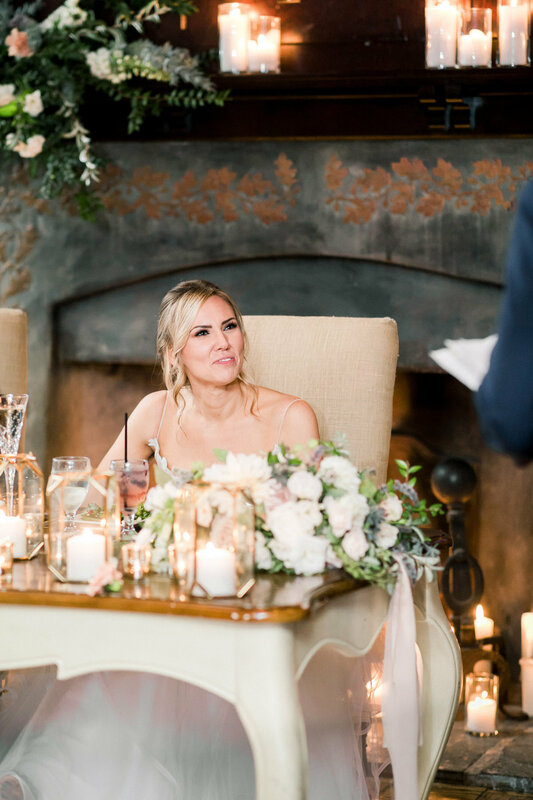 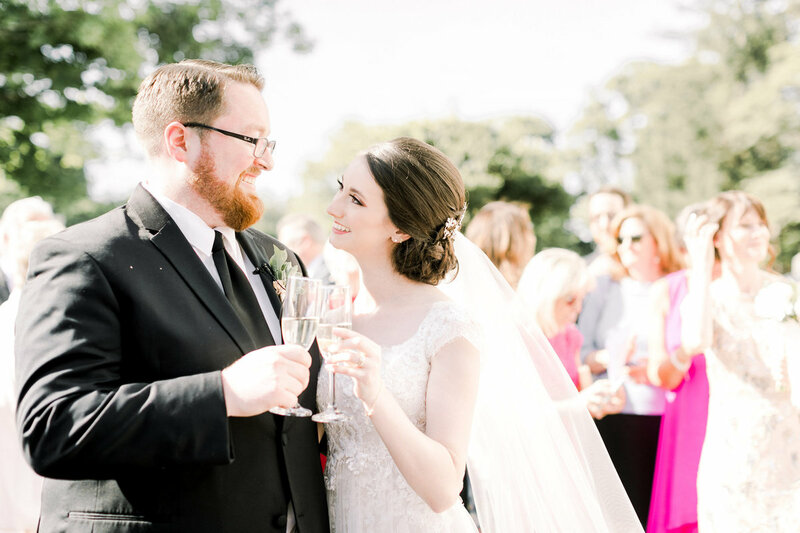 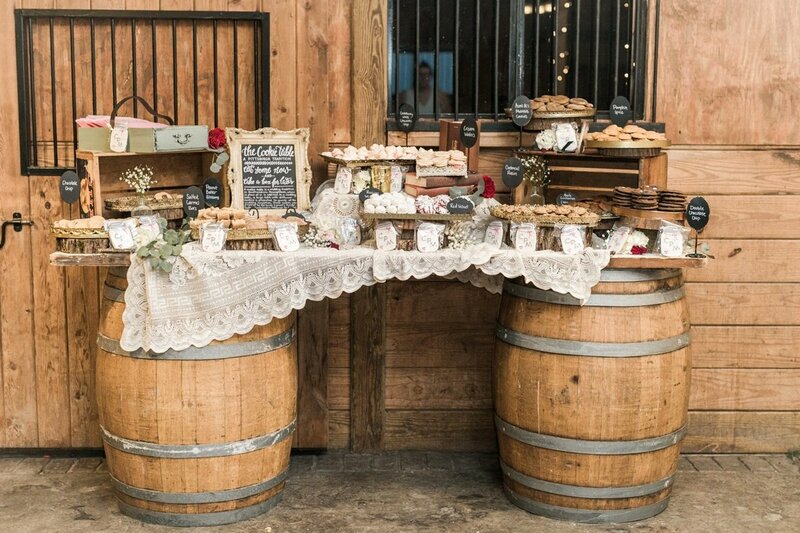 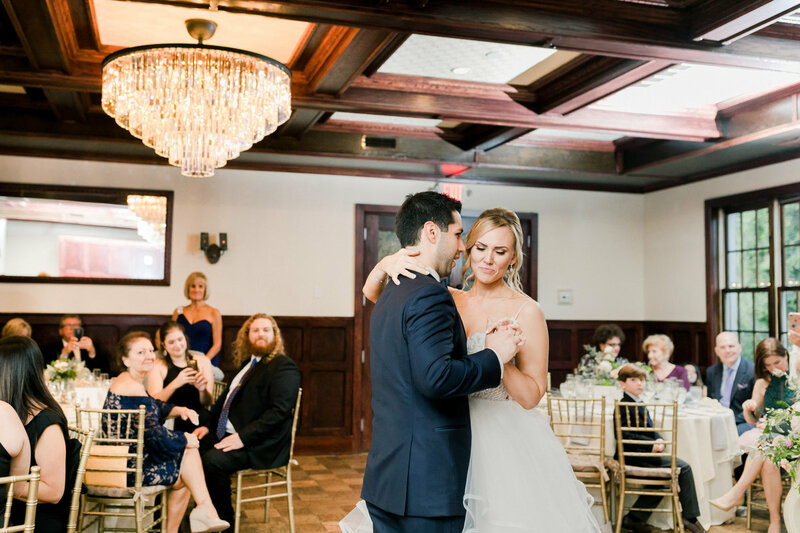 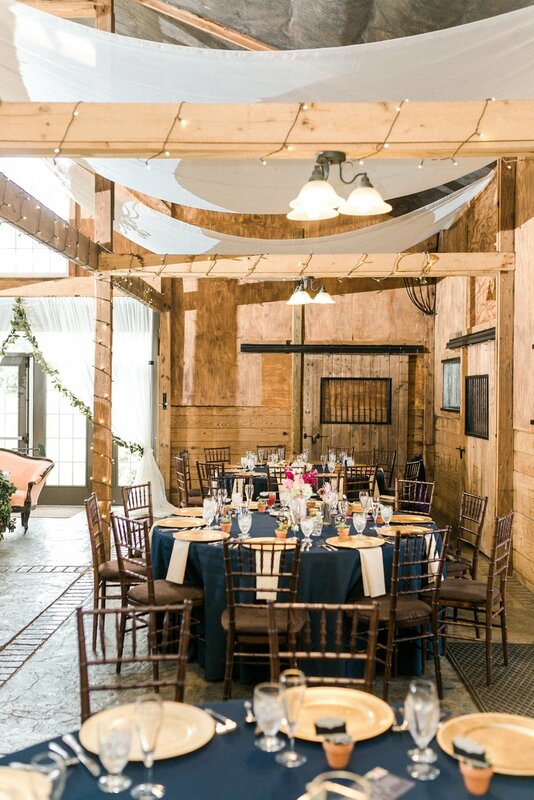 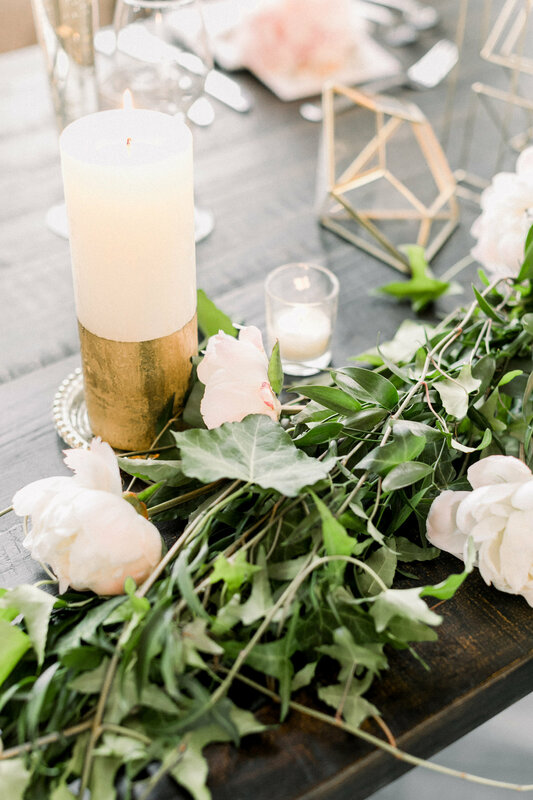 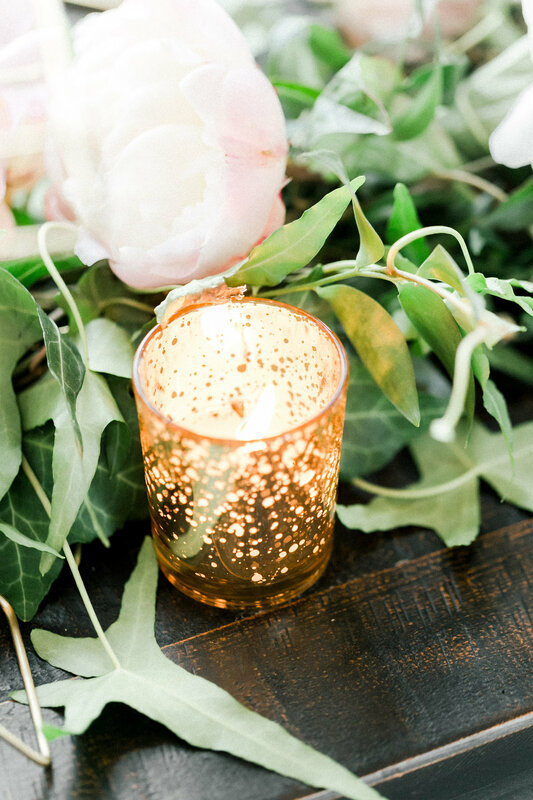 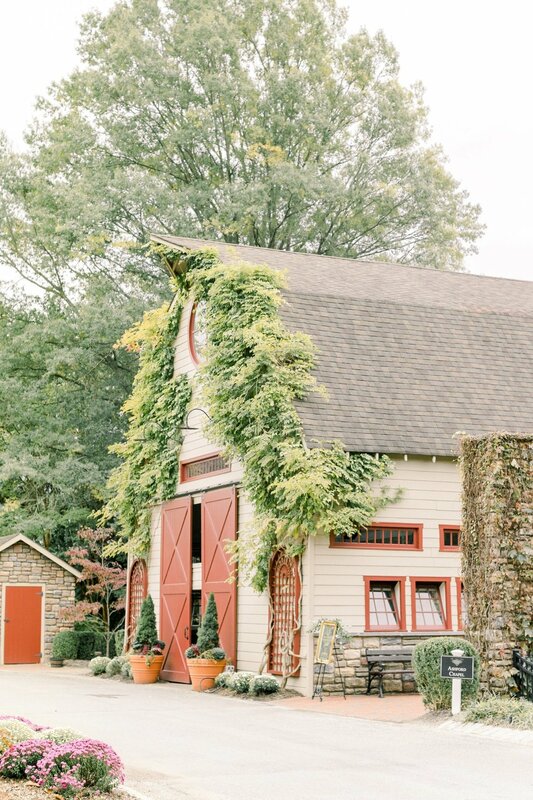 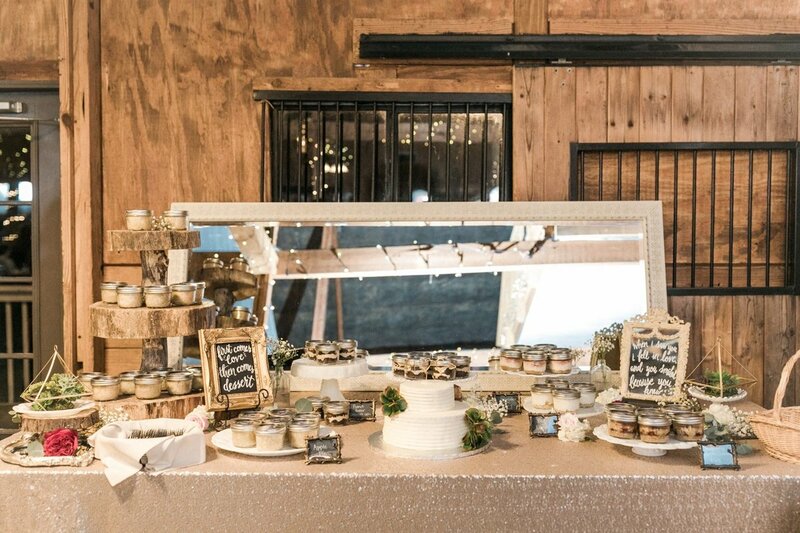 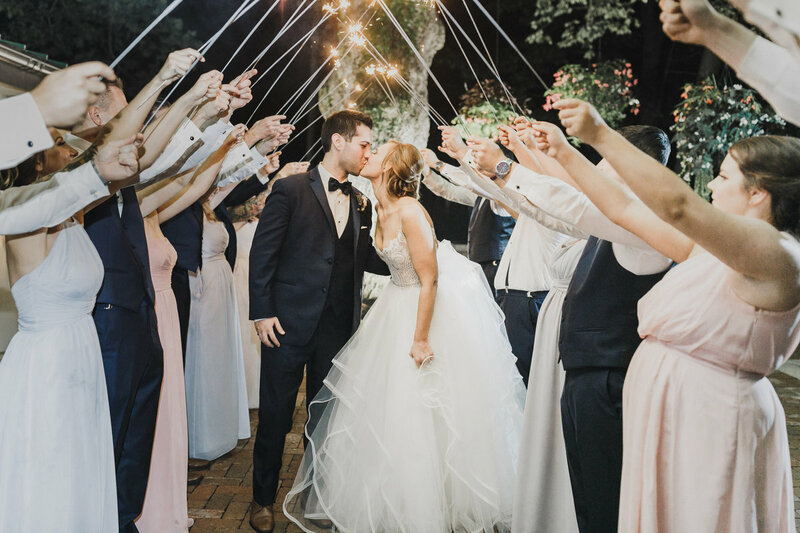 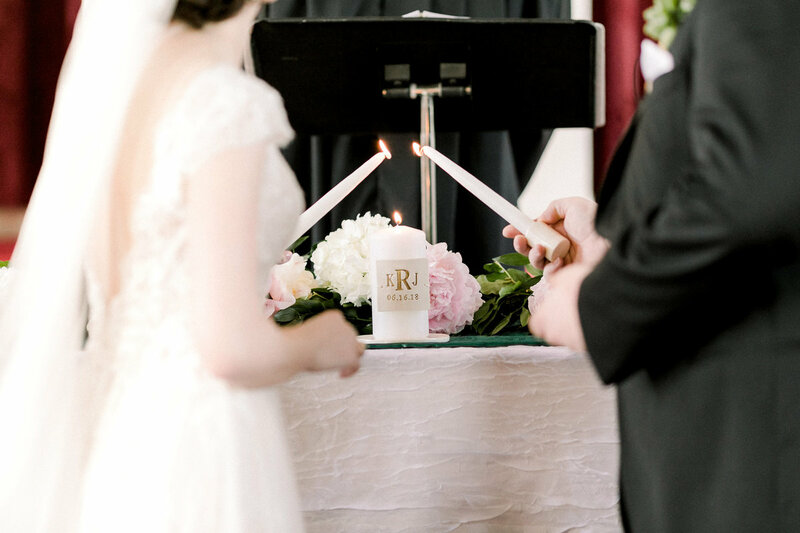 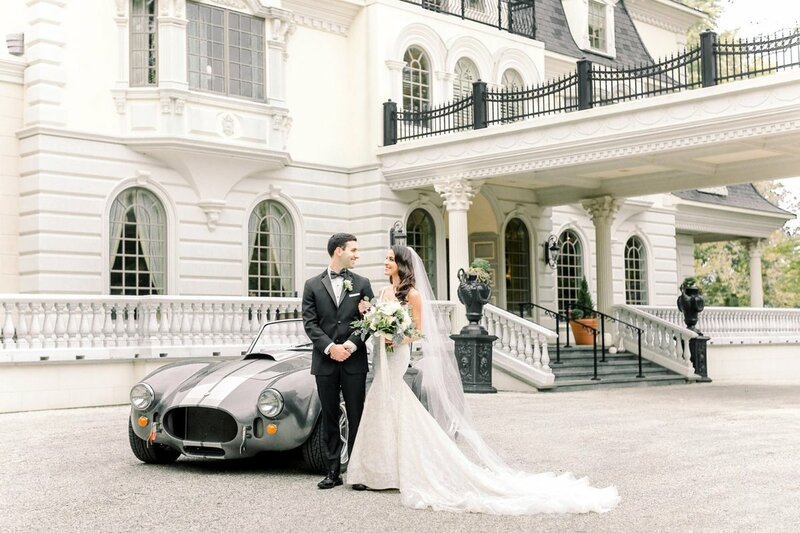 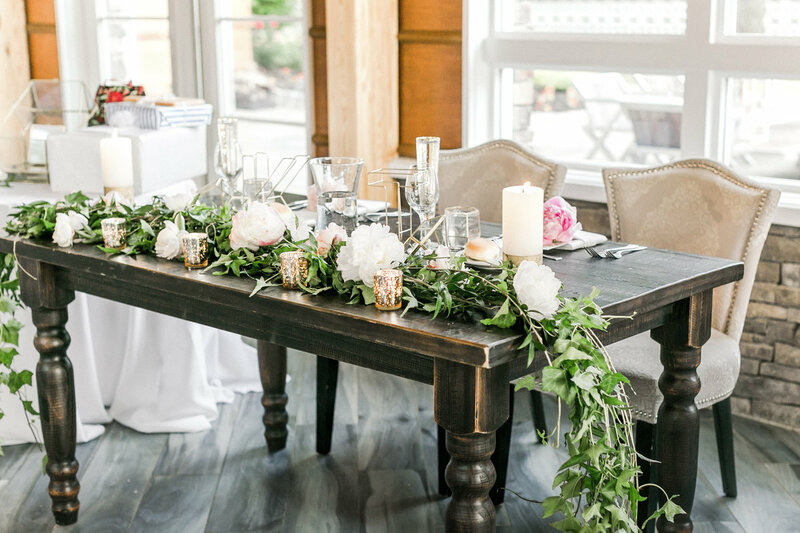 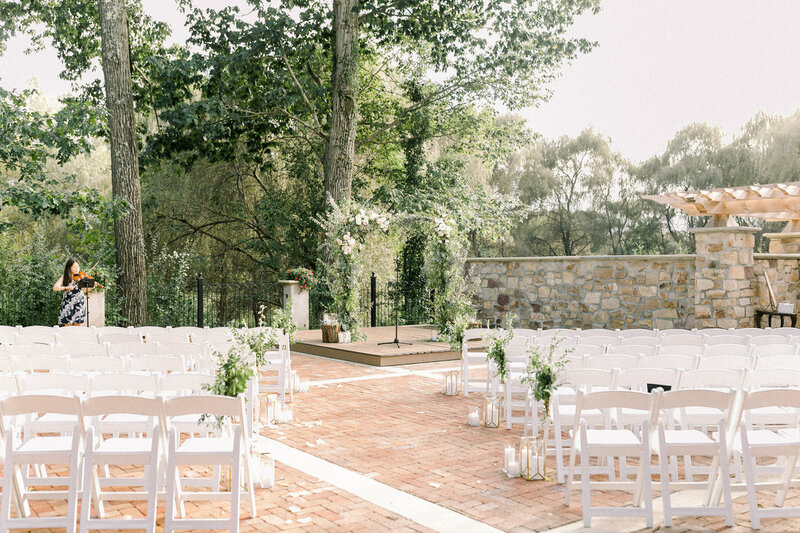 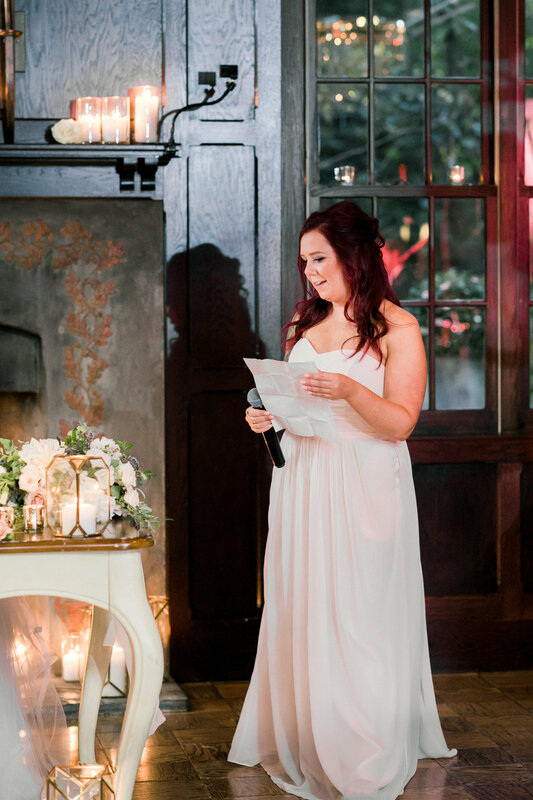 The wedding was decorated with lush greens with cafe Au lait delilah's accented with candles, giving everything a more feel romantic and intimate feel. 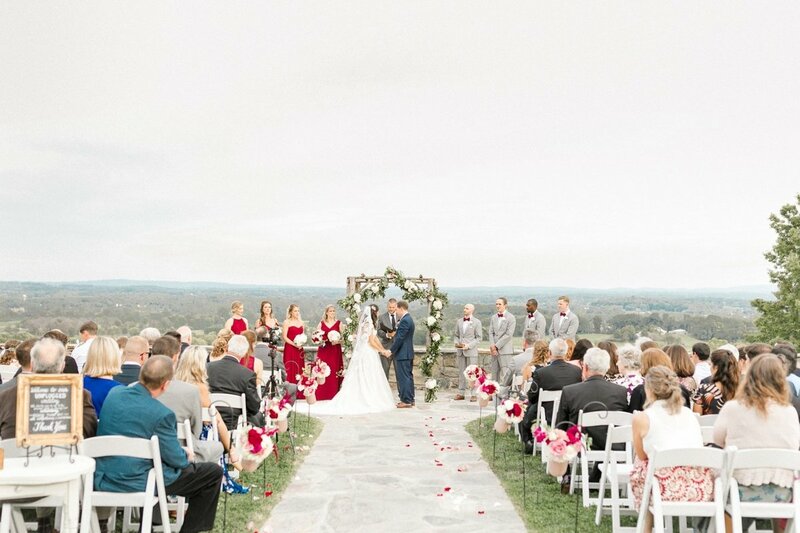 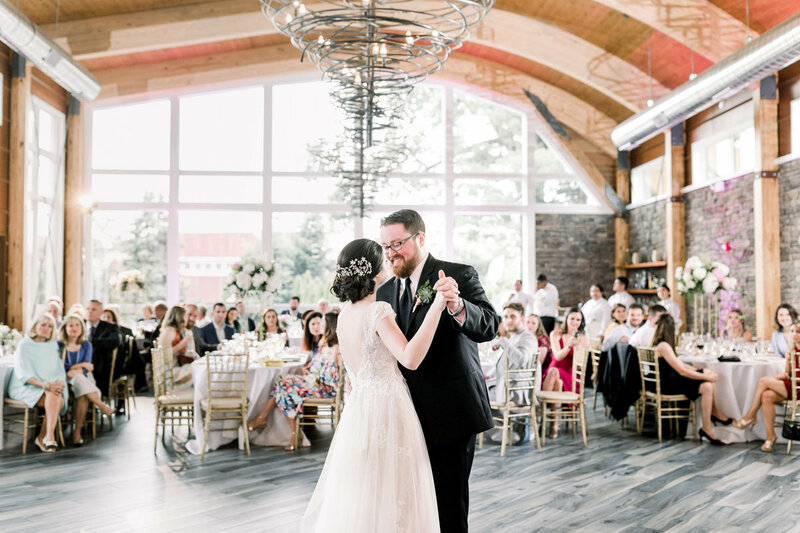 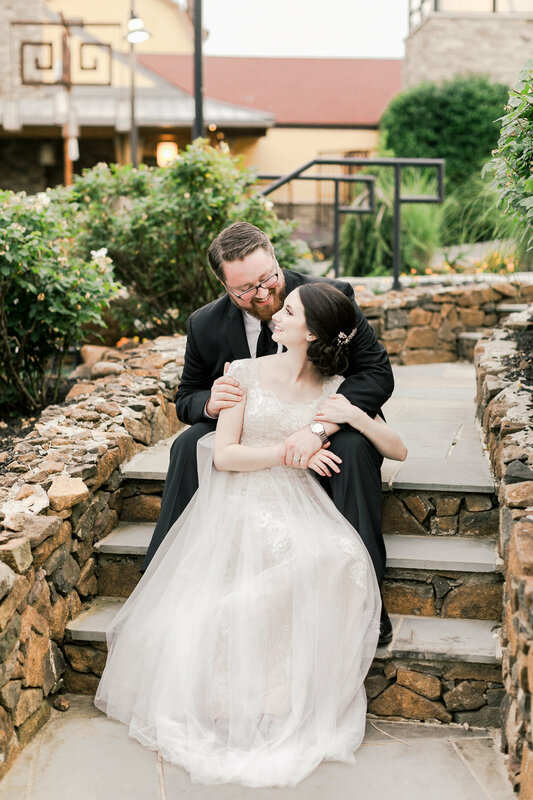 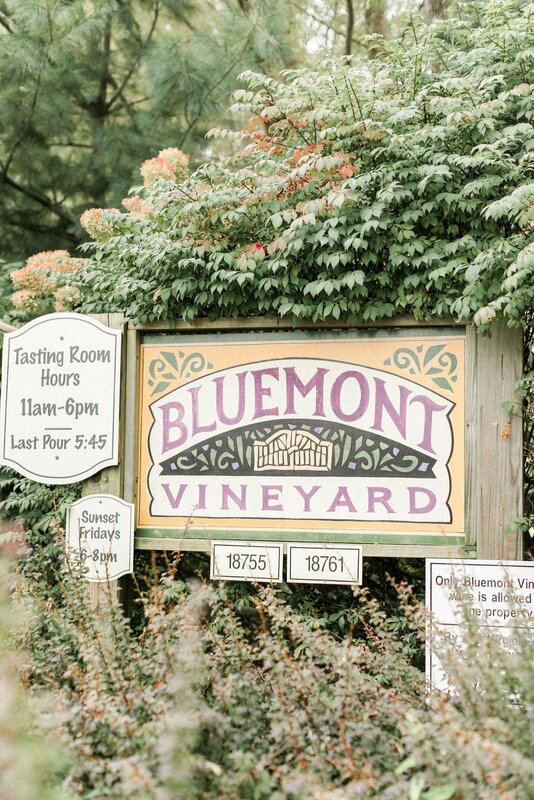 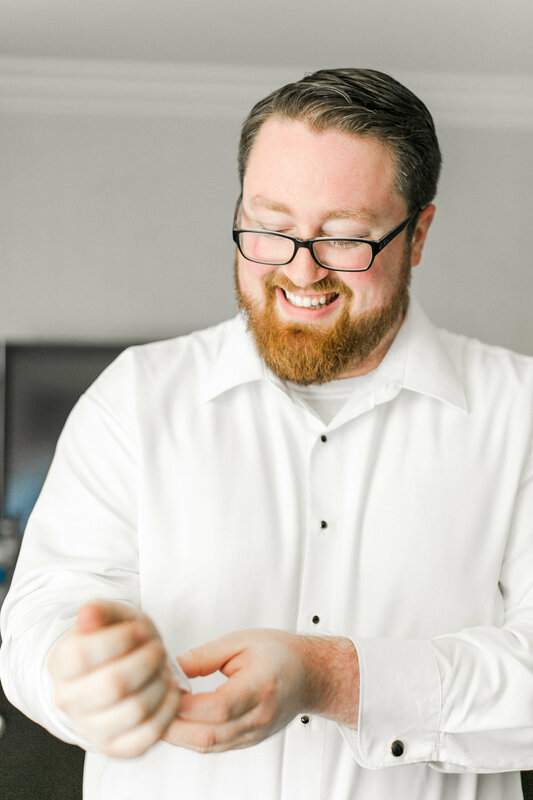 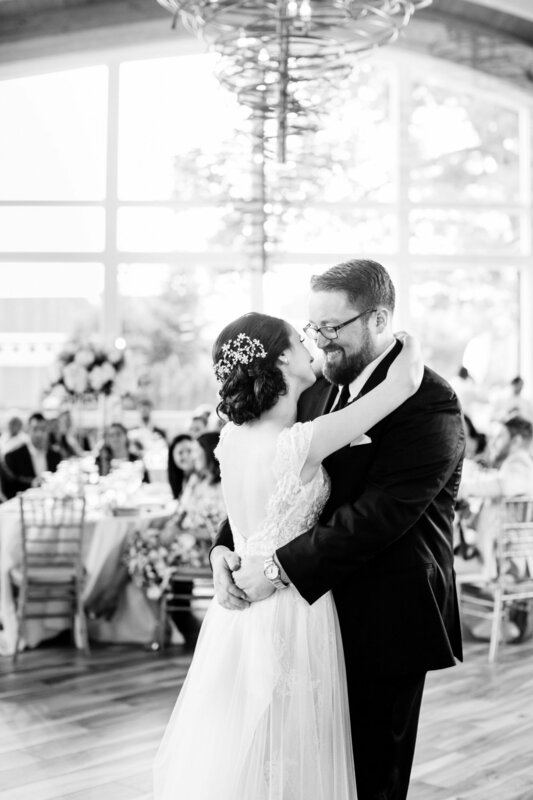 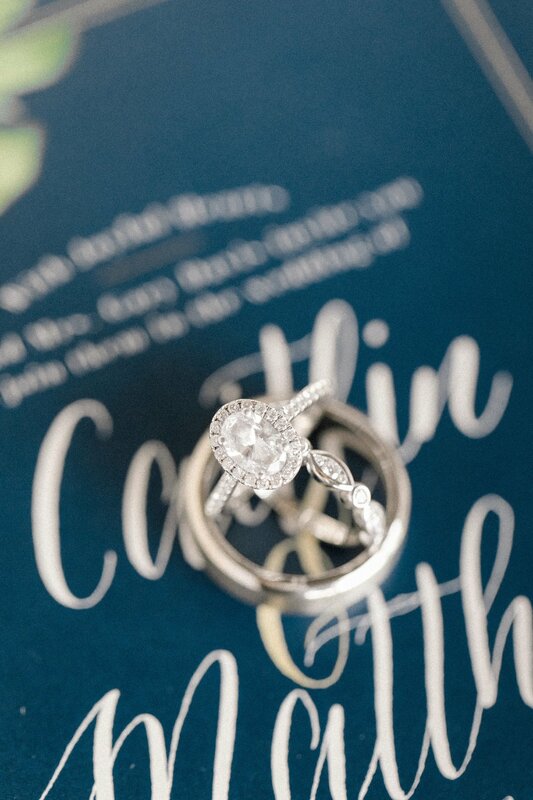 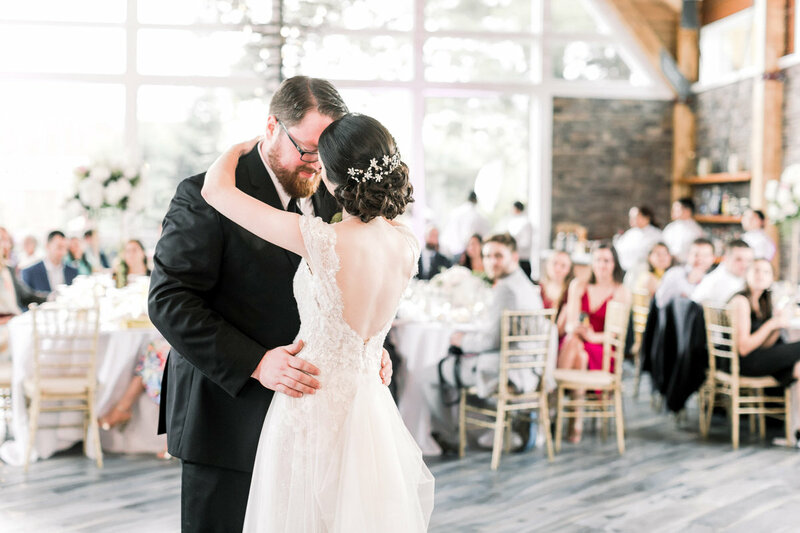 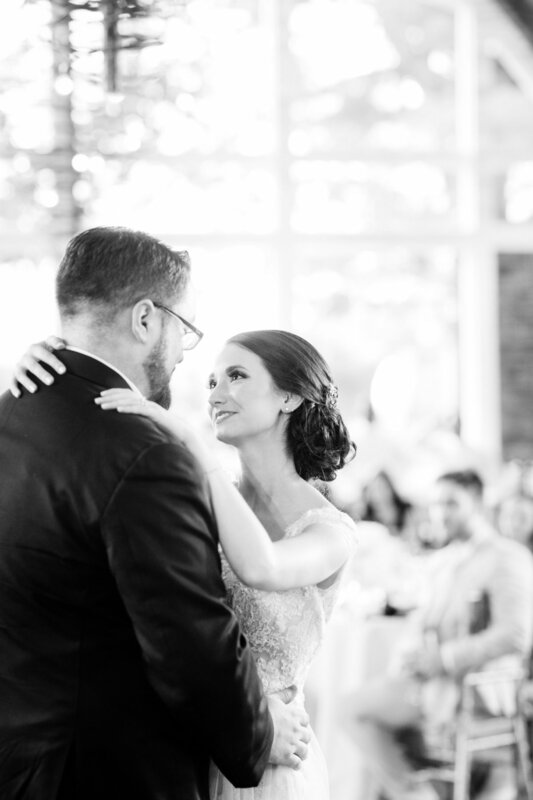 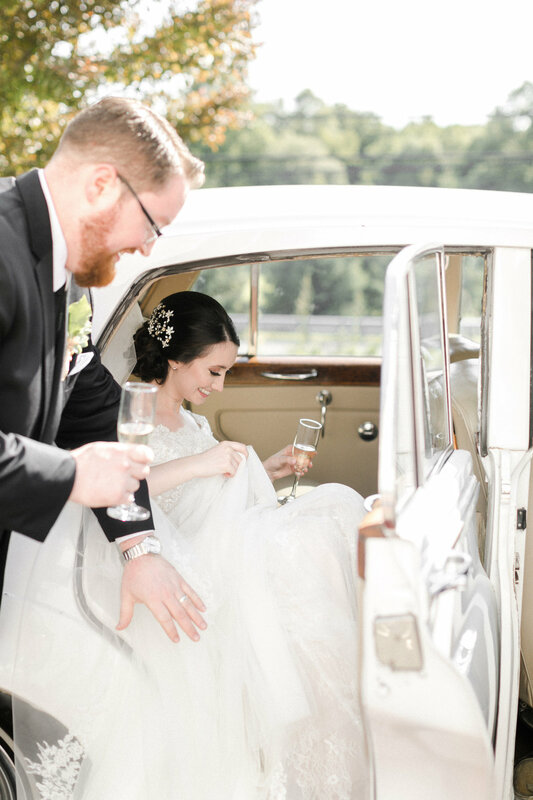 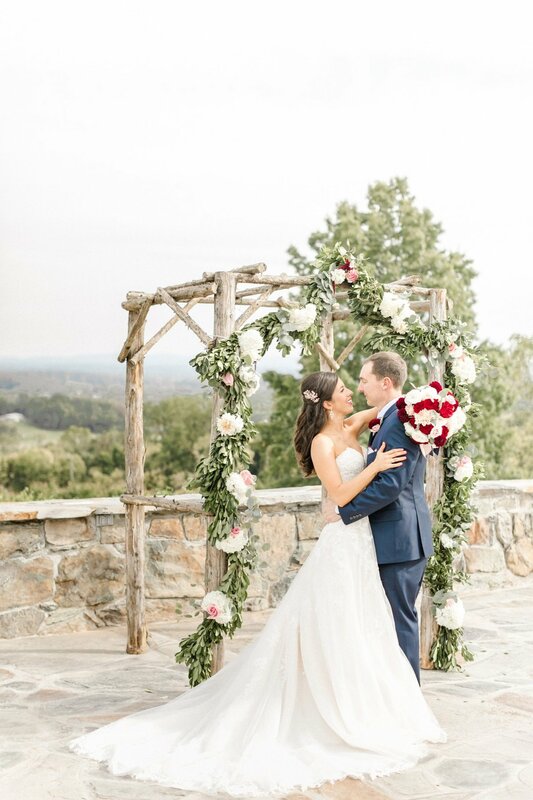 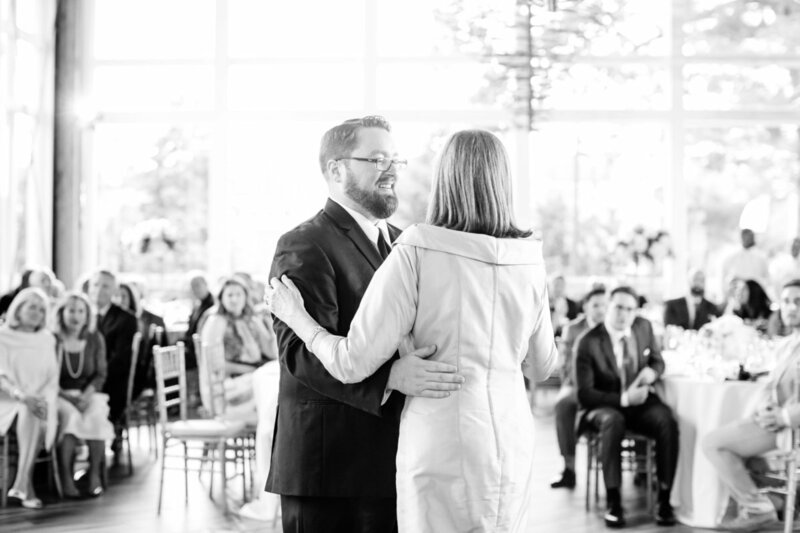 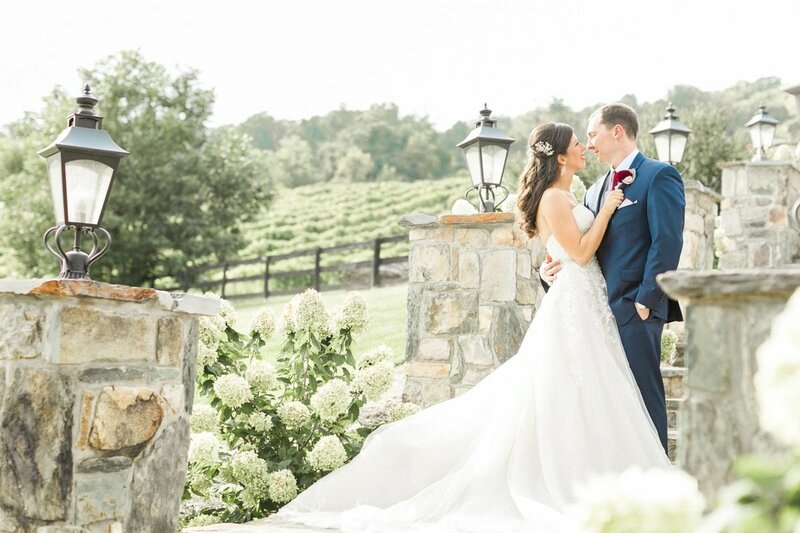 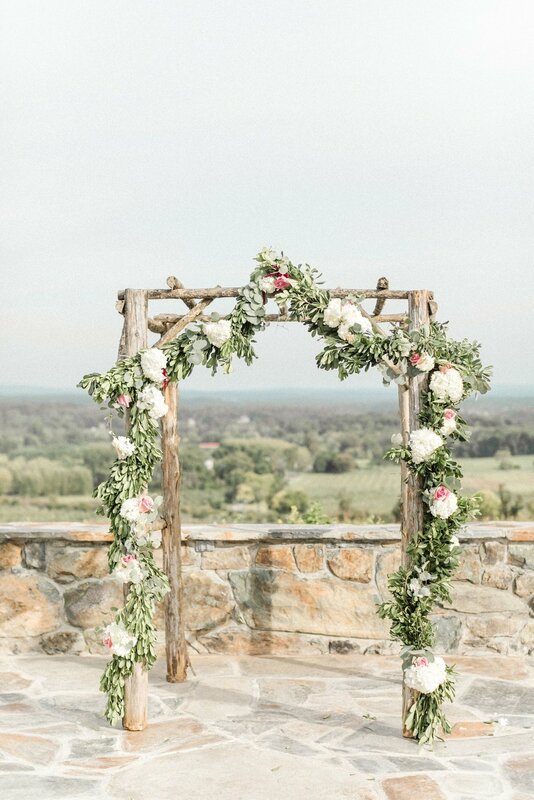 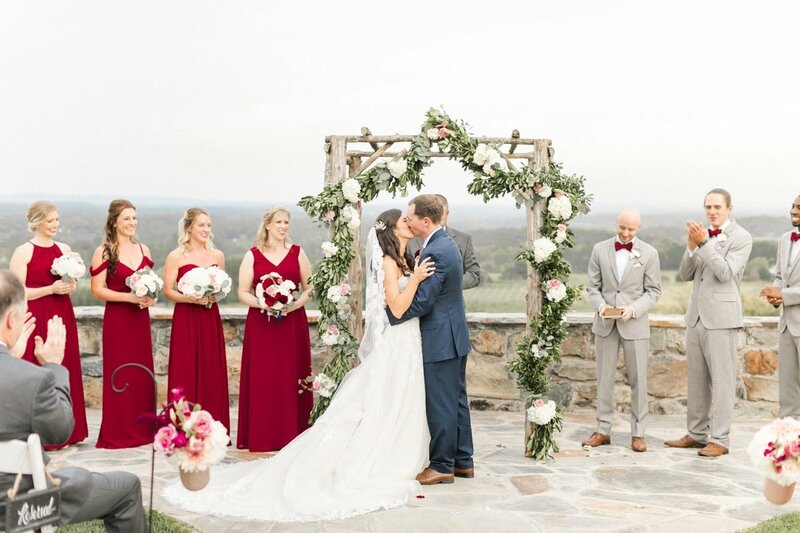 They said their vows while over looking the Blue Ridge mountains in Northern Virginia. 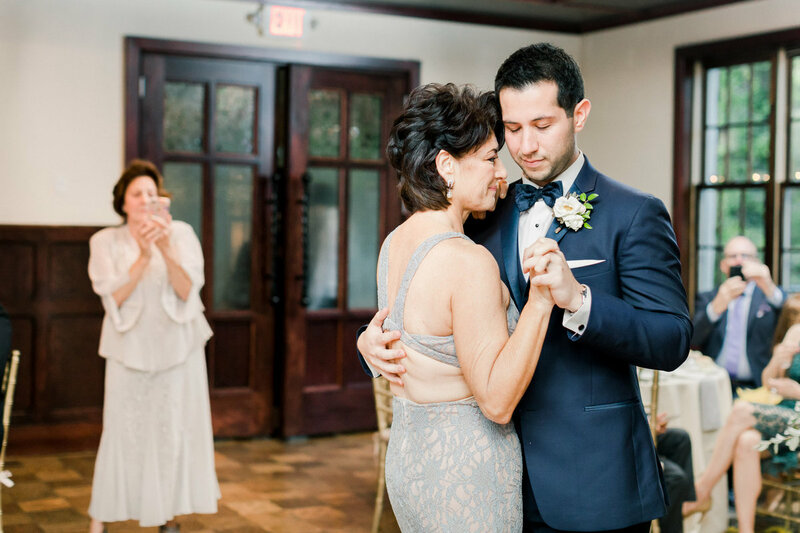 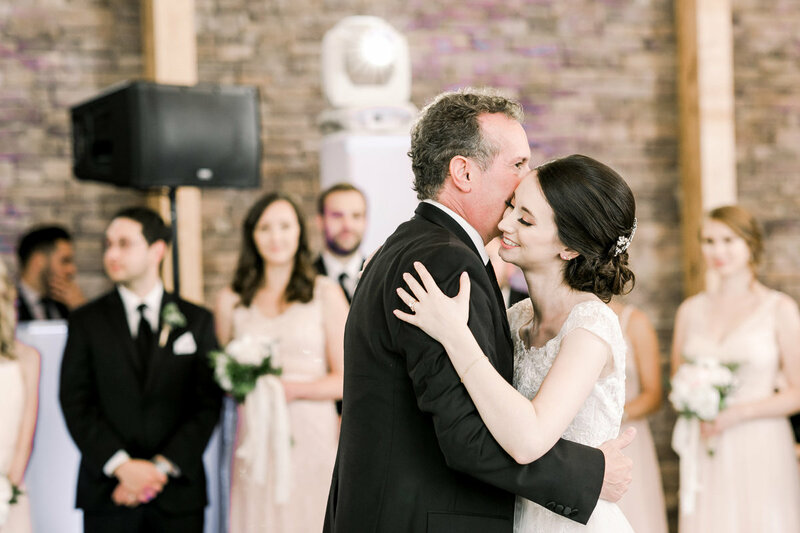 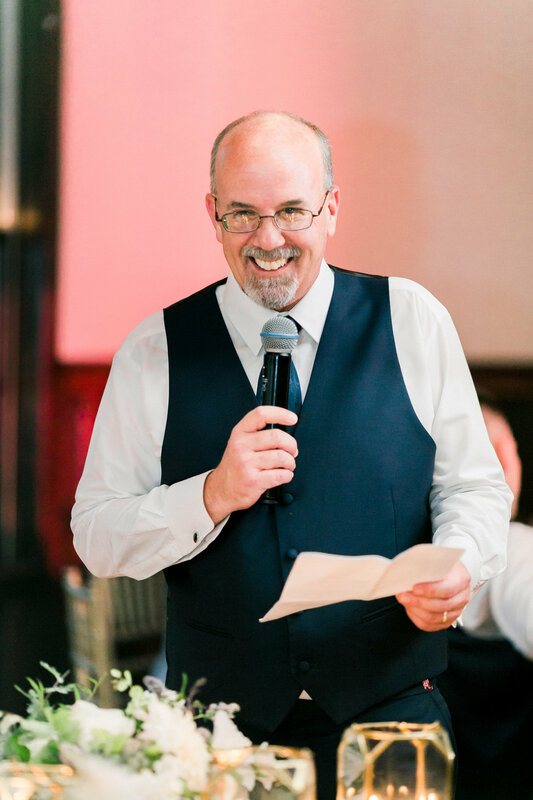 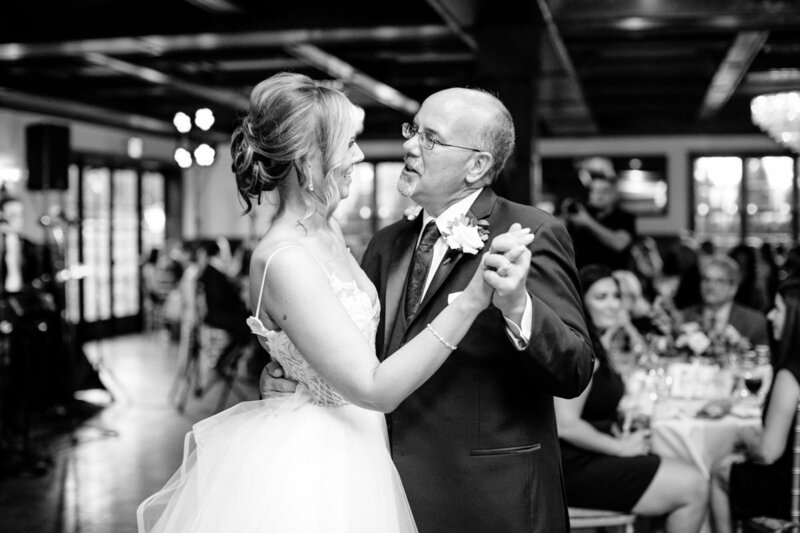 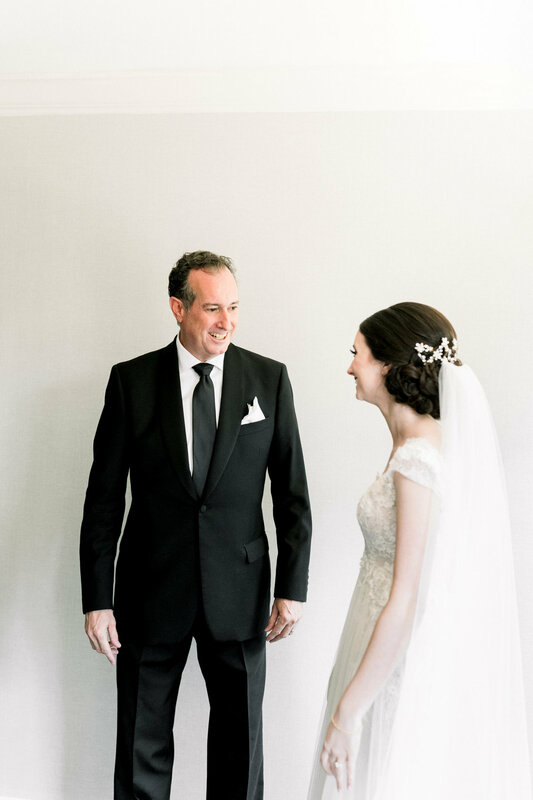 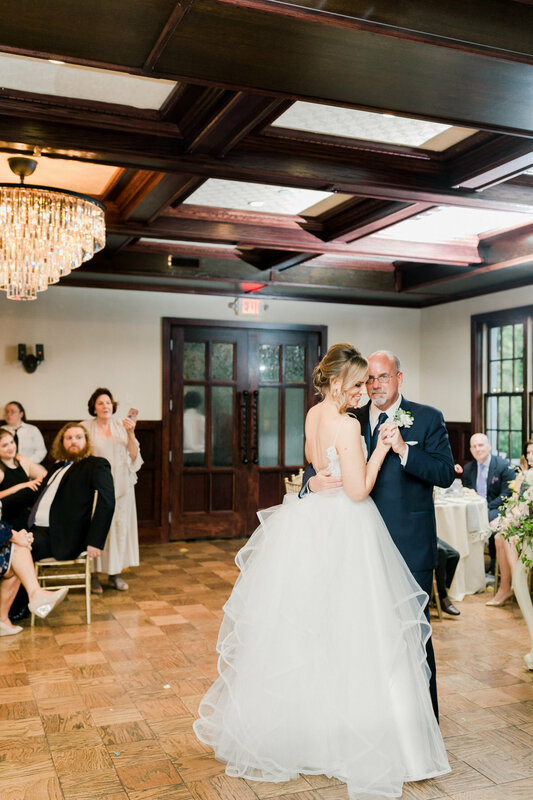 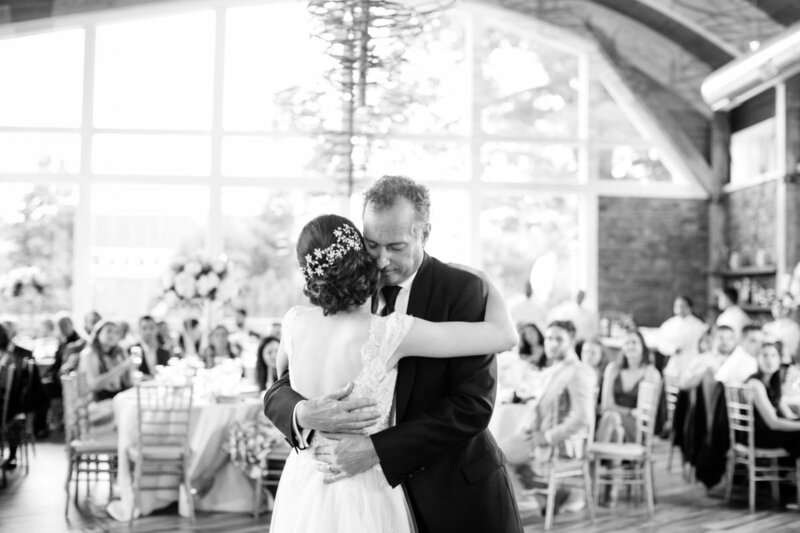 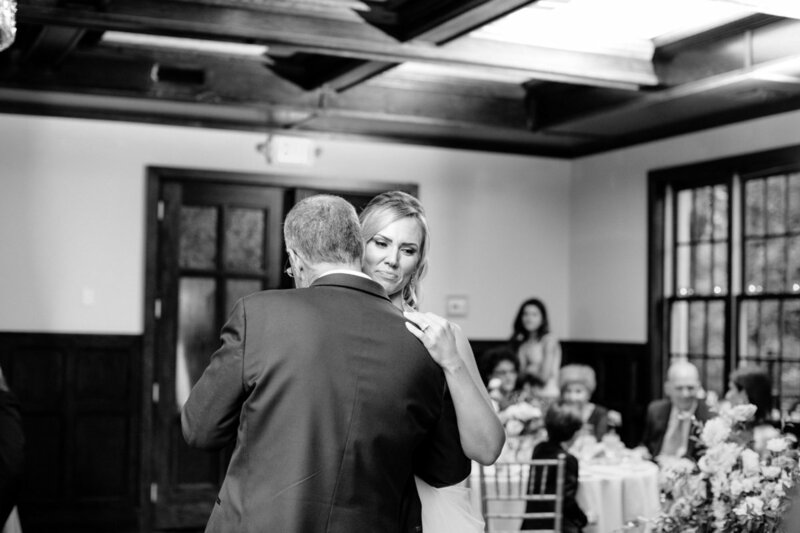 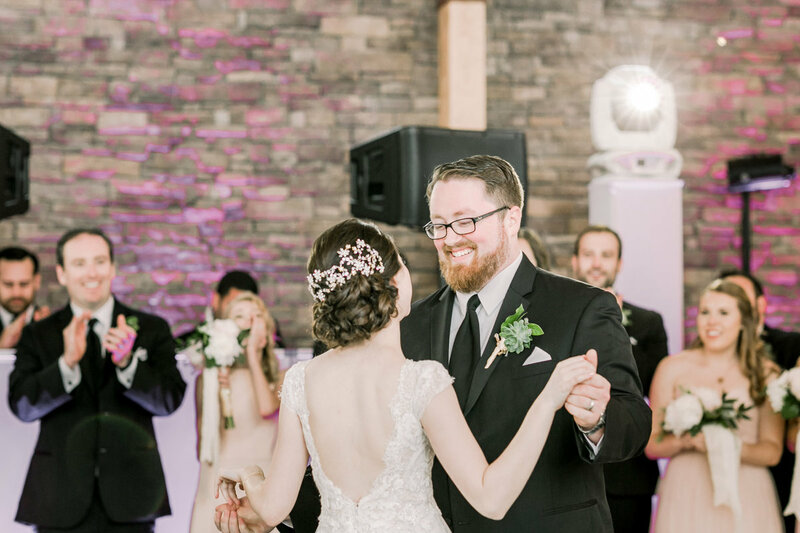 Caitlin’s had a little message embroidered on the back for her dad’s tie and they even shared a fun choreographed dance during their reception. 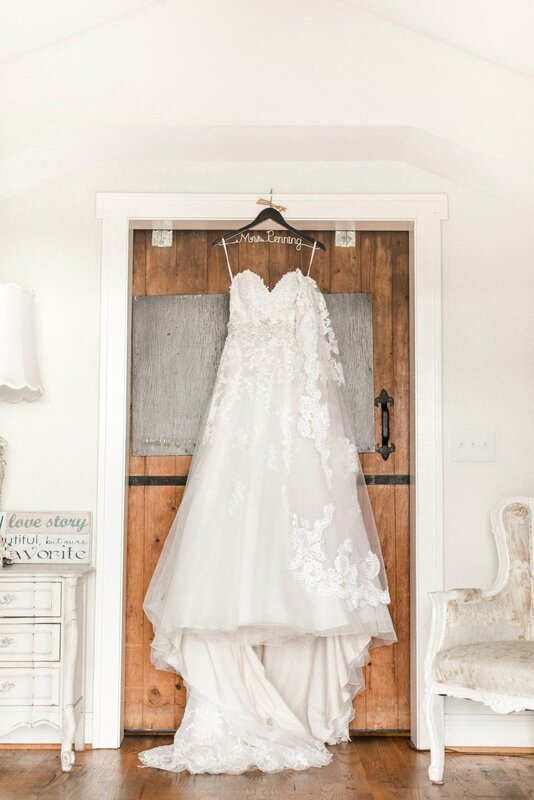 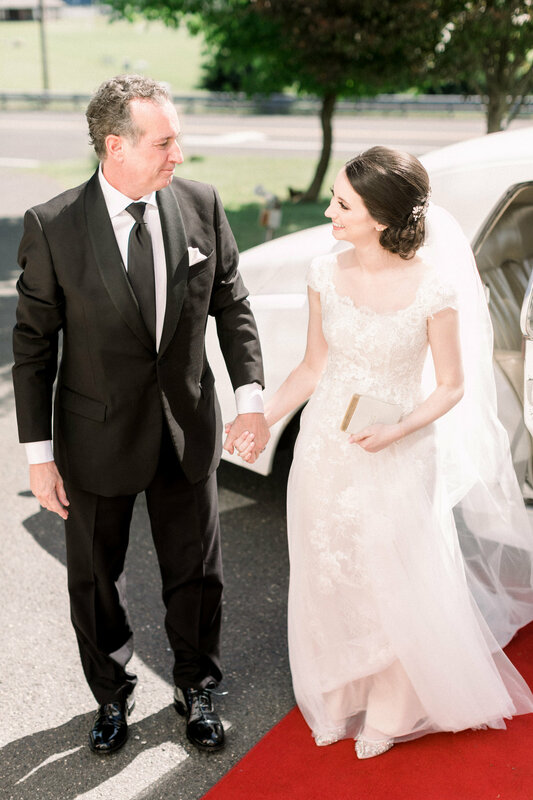 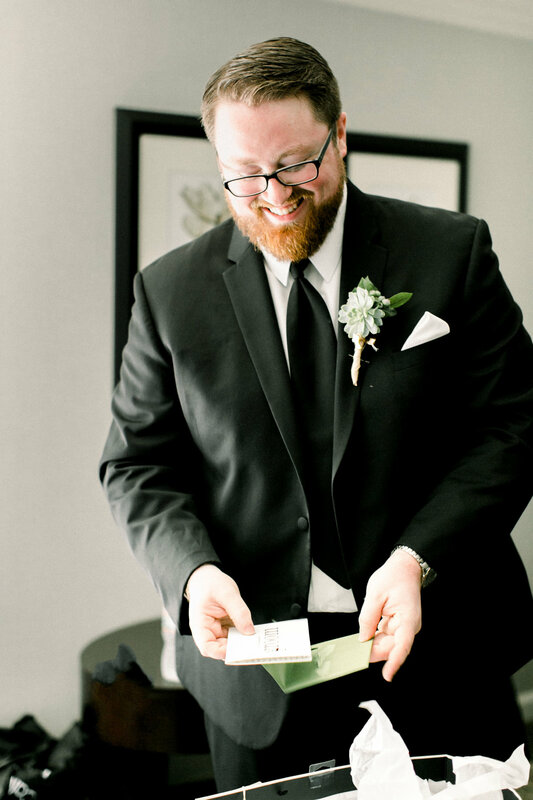 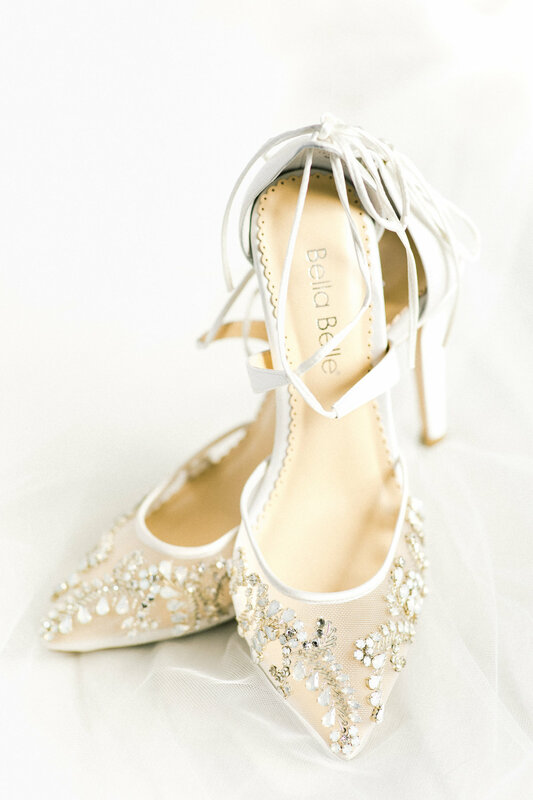 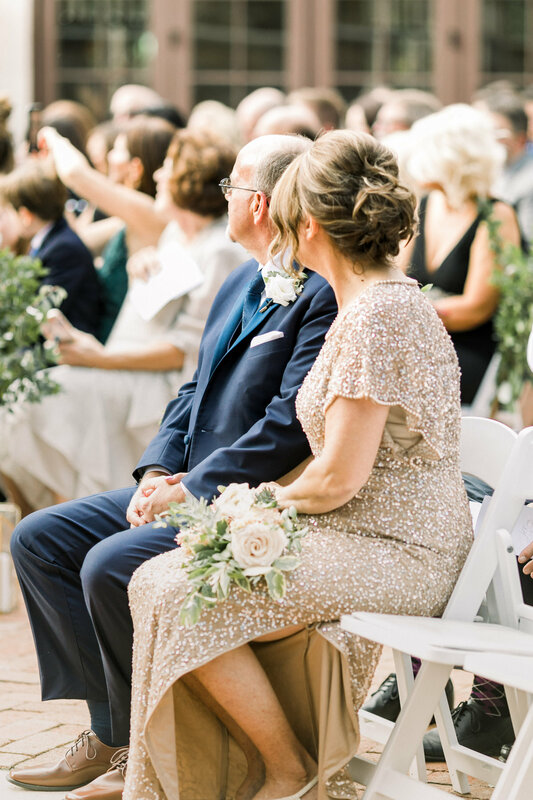 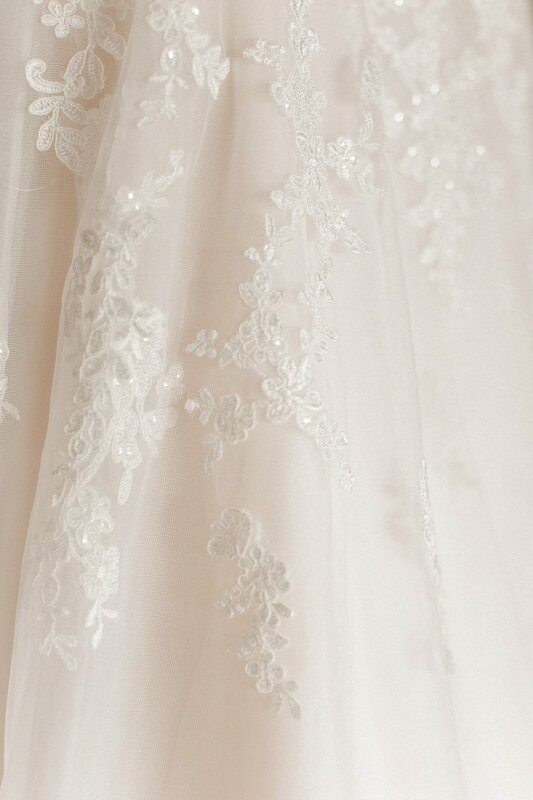 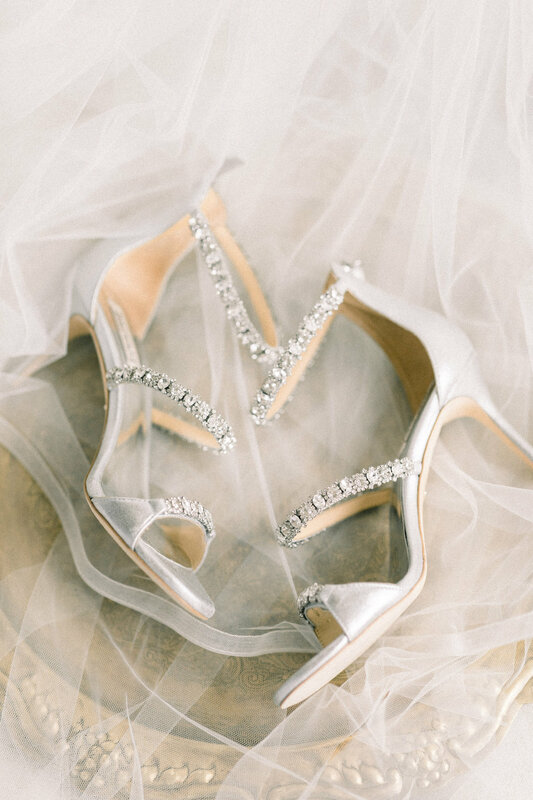 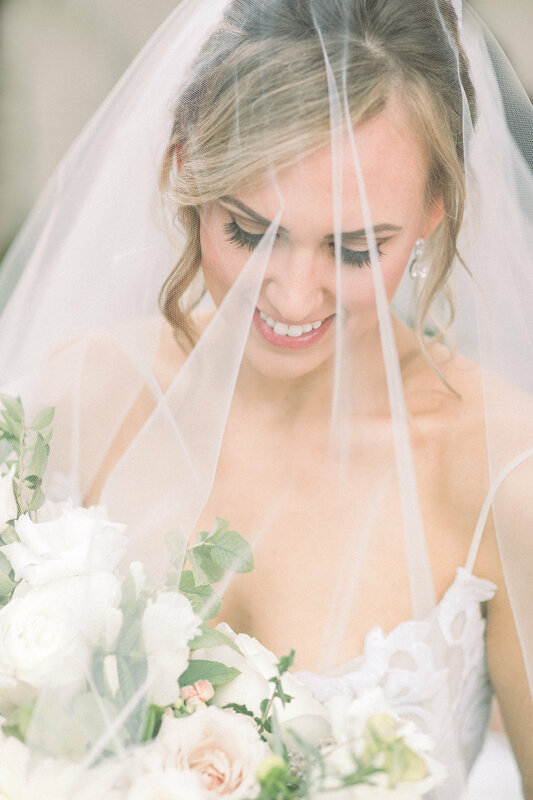 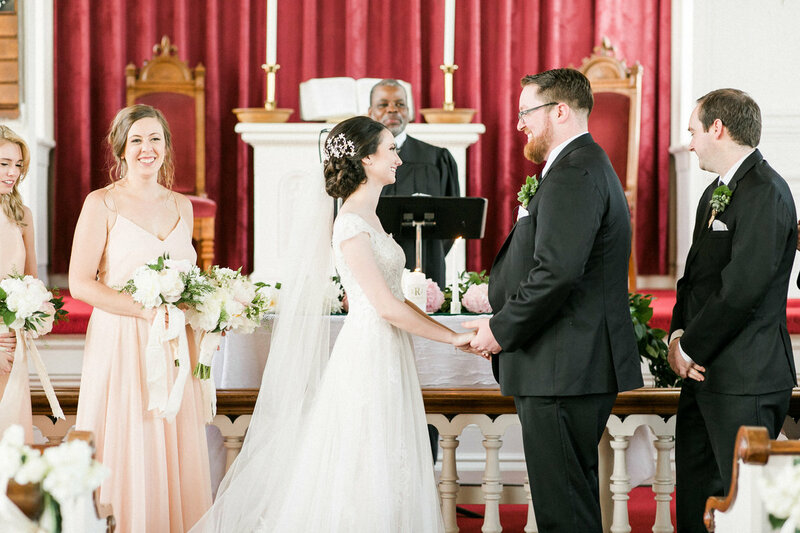 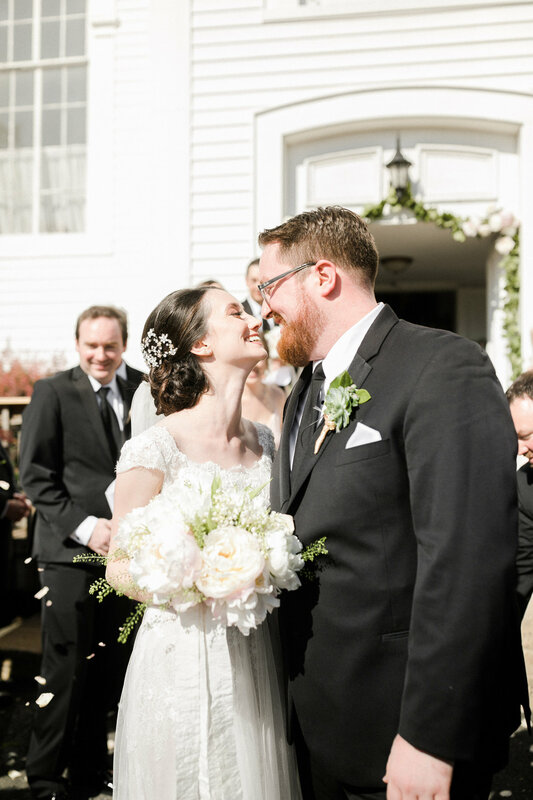 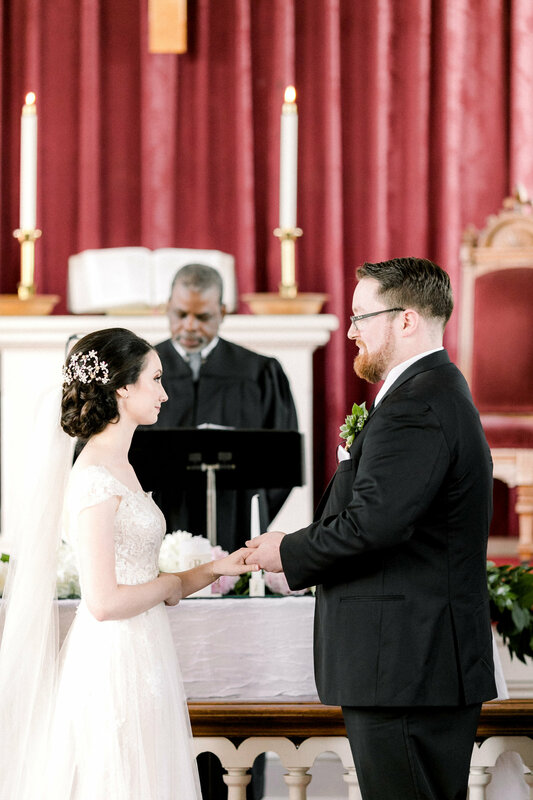 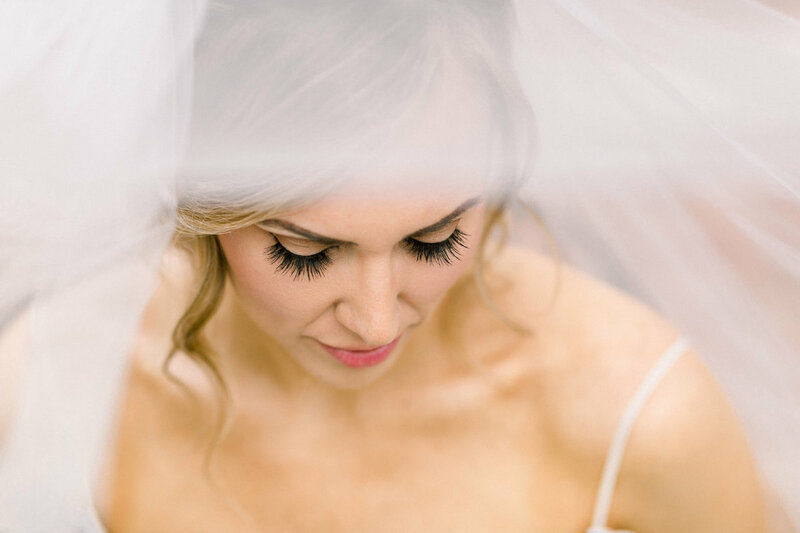 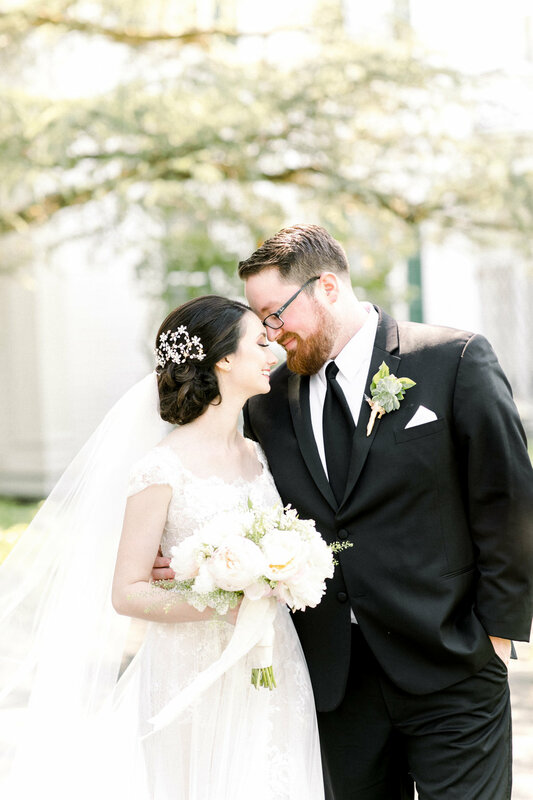 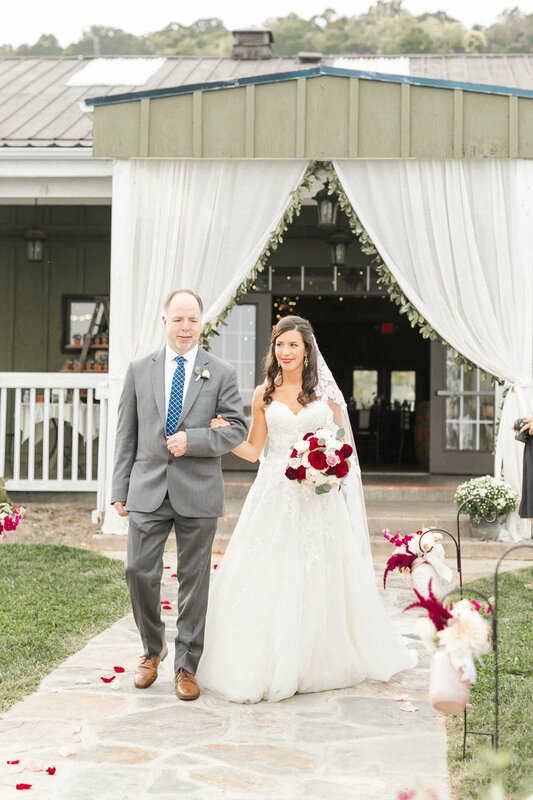 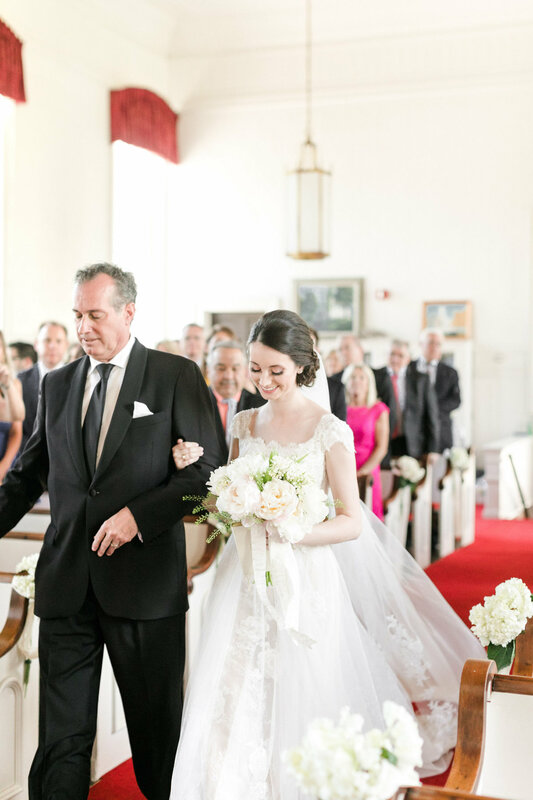 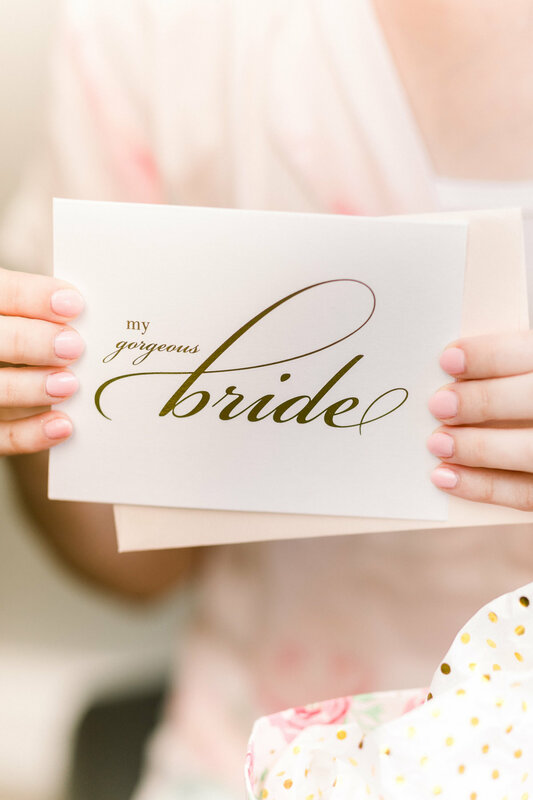 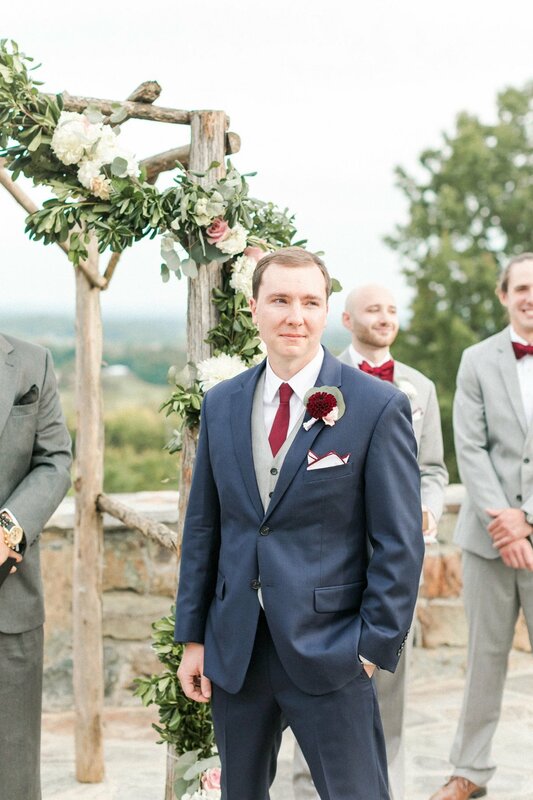 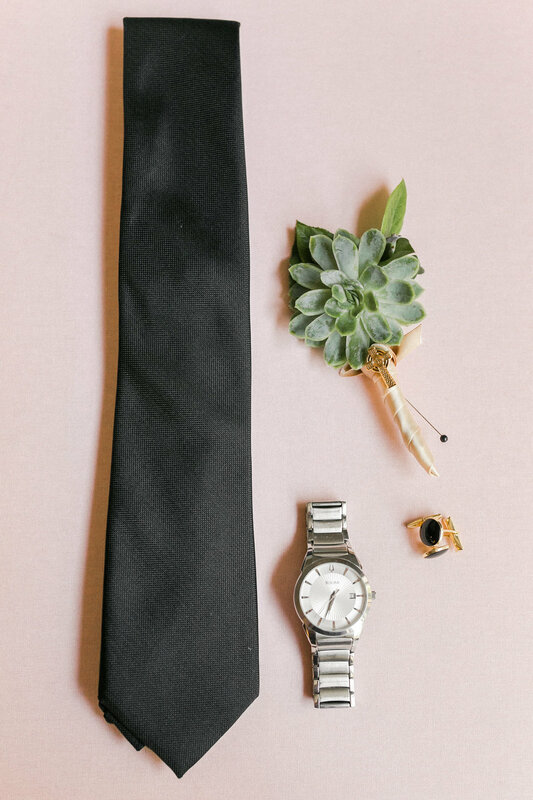 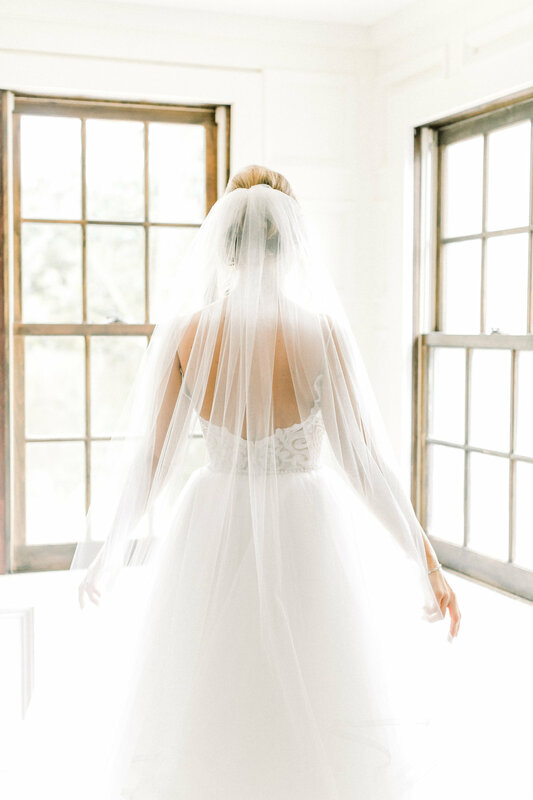 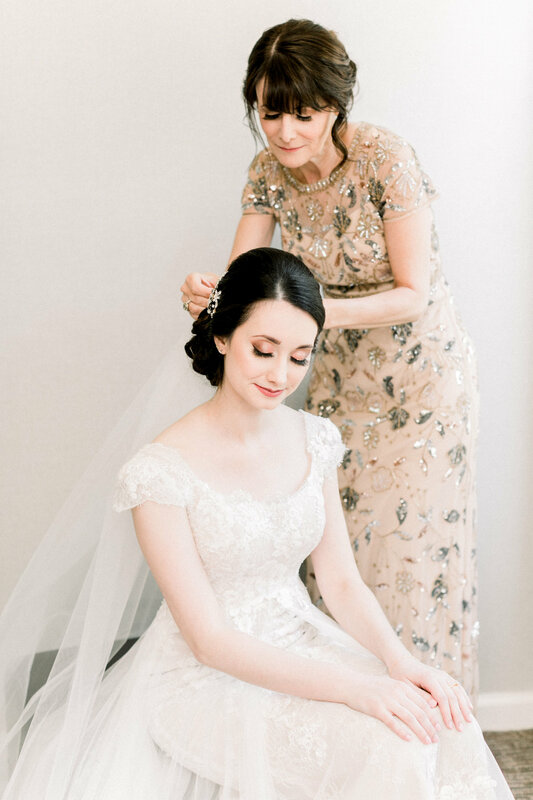 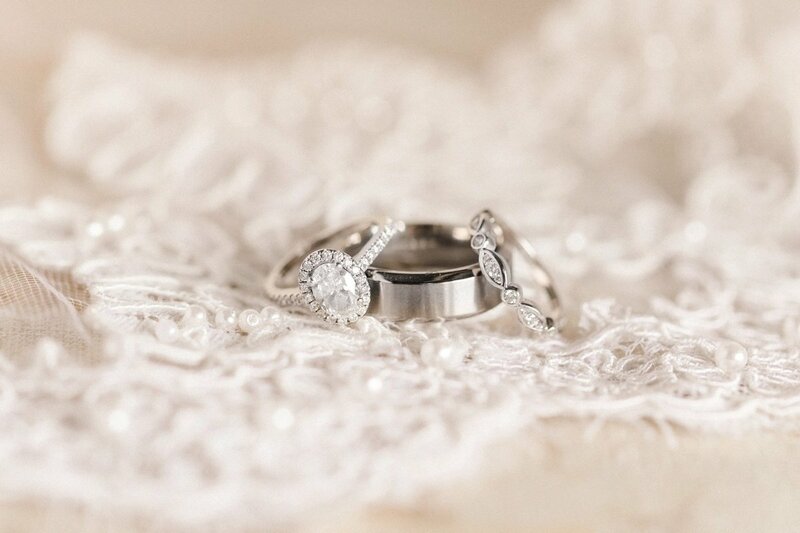 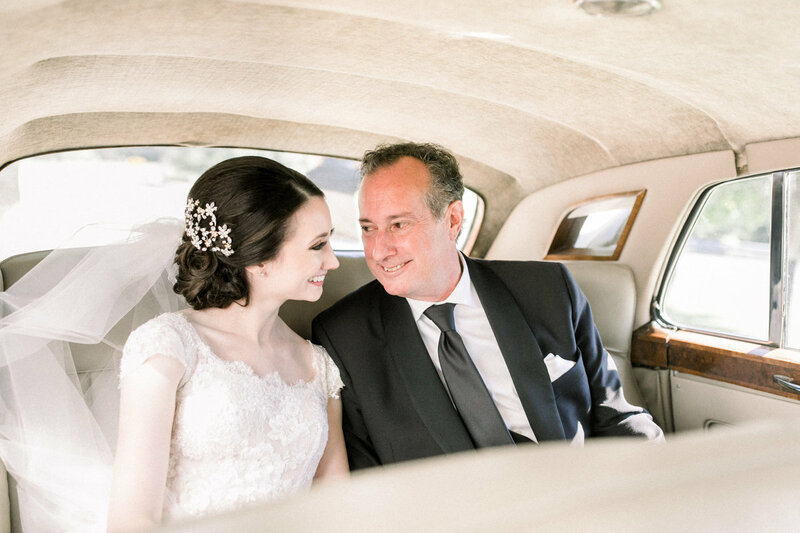 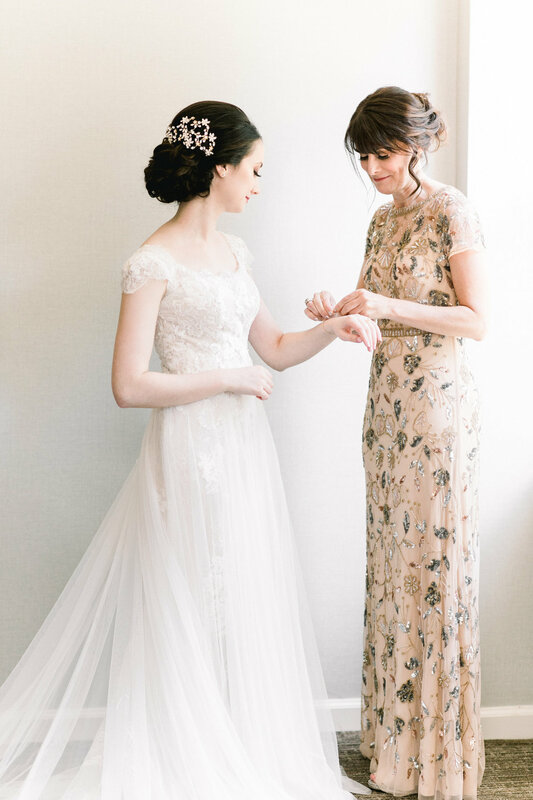 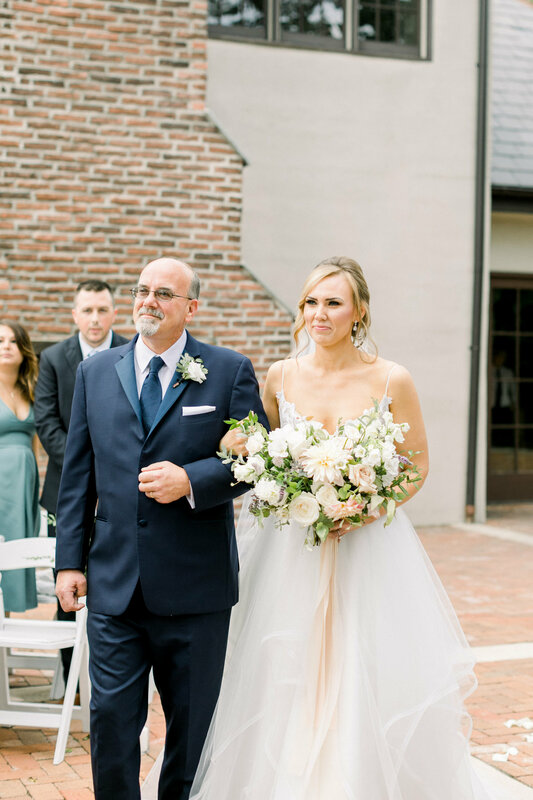 Bridal details included some Kate Spade elements and mom’s veil for the ceremony. 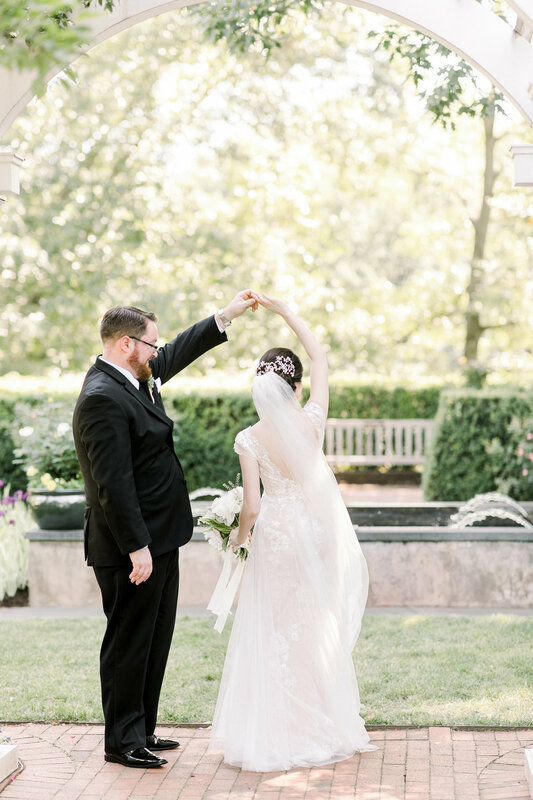 There were lawn games during cocktail hour and they danced their first dance to the classic, Nat King Cole “Unforgettable”. 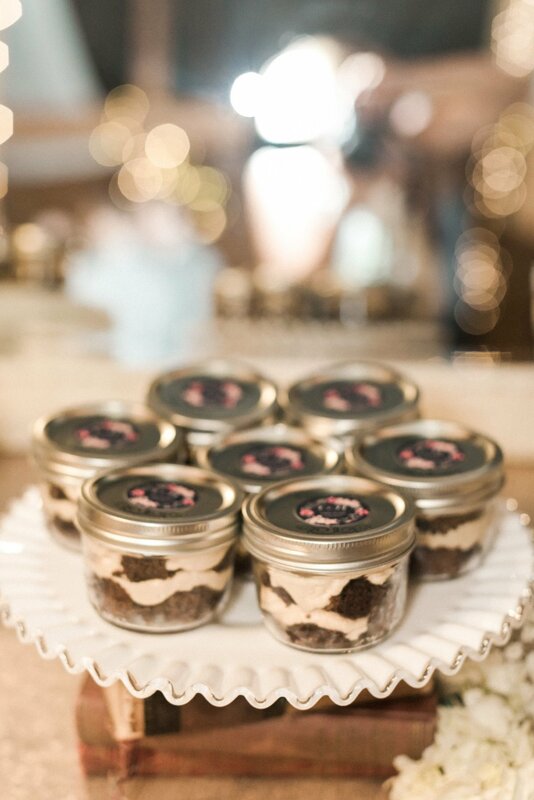 They ended the night with custom little dessert pies in a jar.